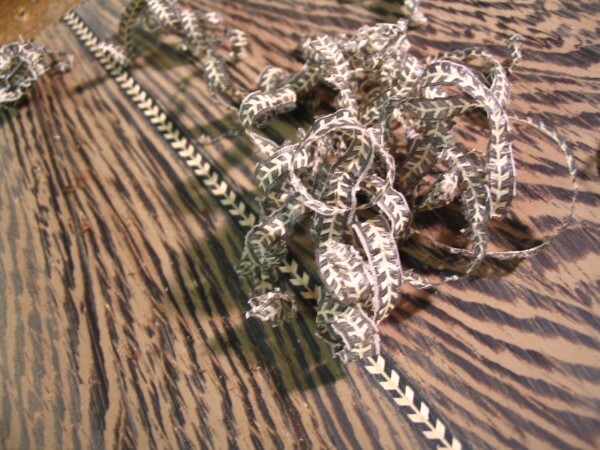 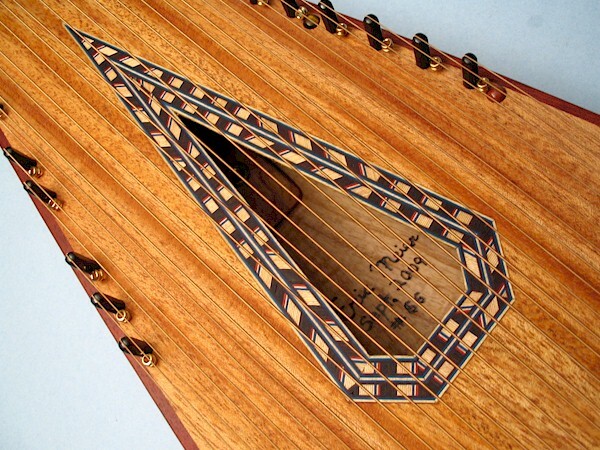 Below is a gallery of psalteries that I made from approximately 2007 to 2010. 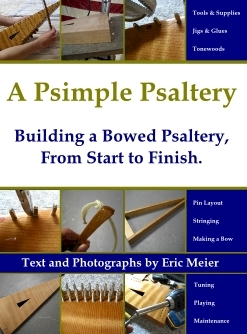 My first four psalteries could be considered experiments in trial and error! 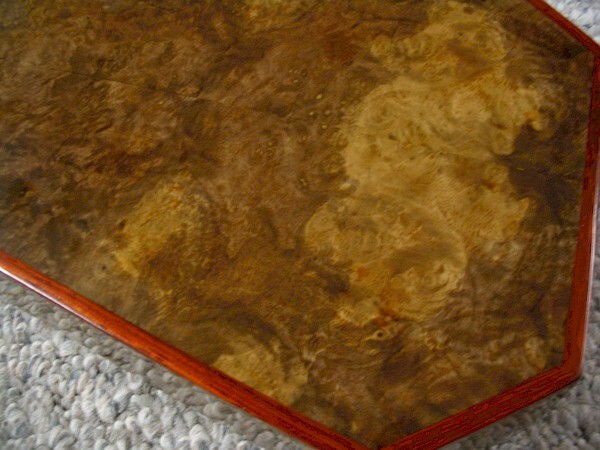 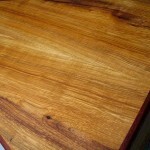 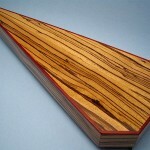 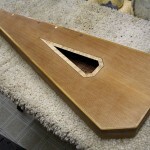 001: My first was for personal use, and was painted plywood. 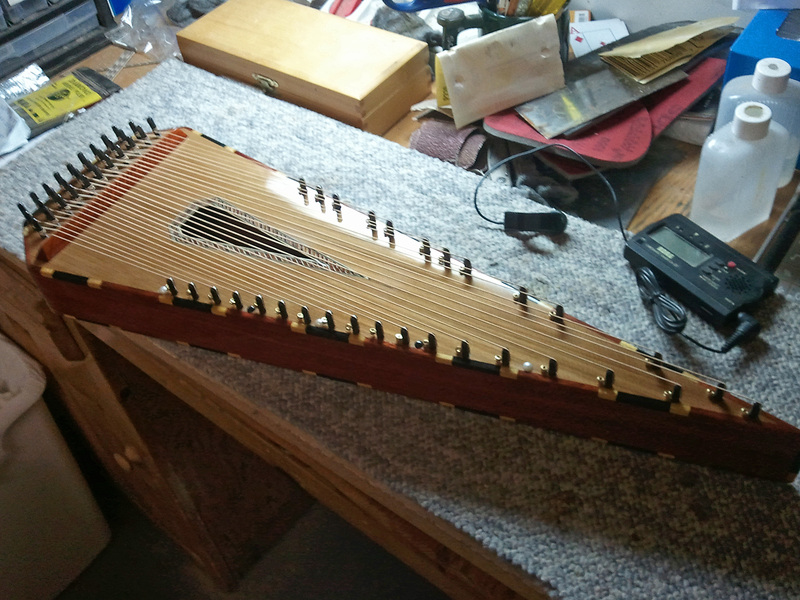 002: Very similar to 006, but I was getting the bugs worked out on variable hitch pin spacing, and it was never playable. 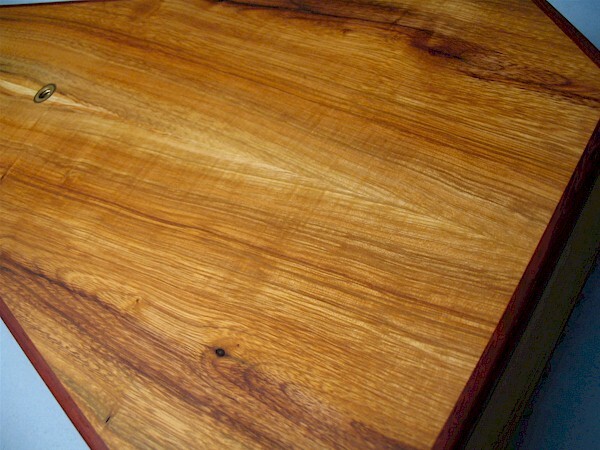 No pictures available. 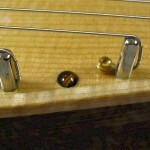 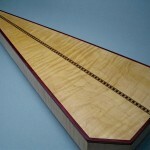 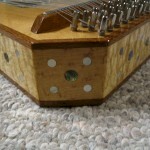 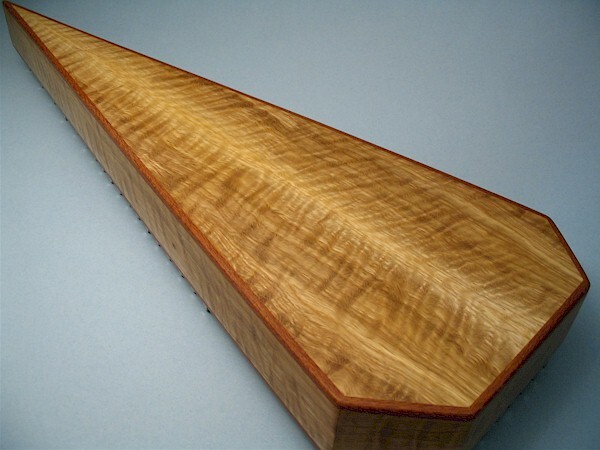 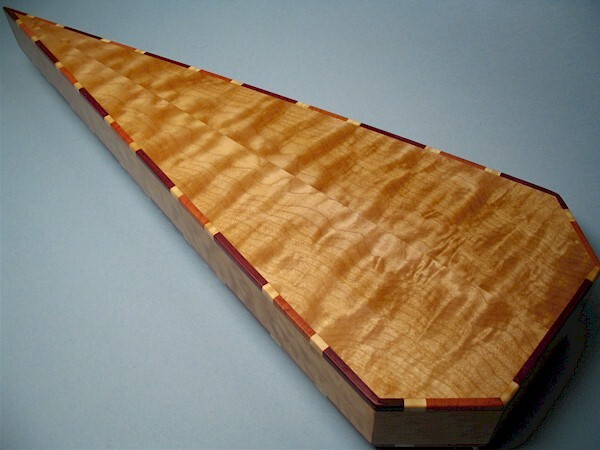 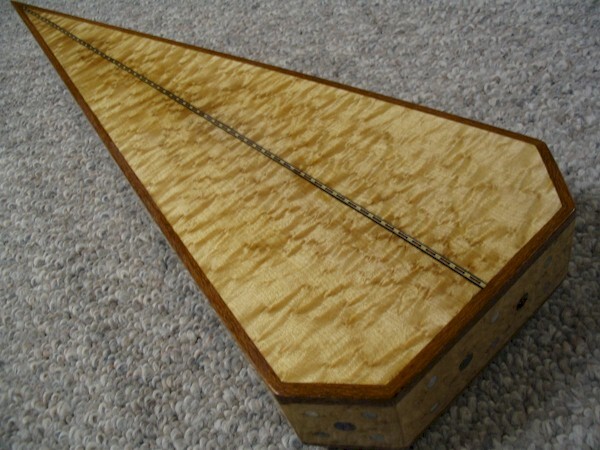 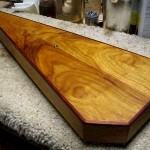 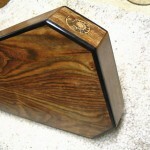 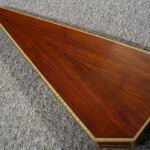 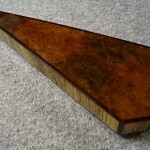 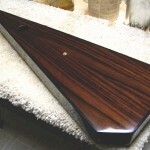 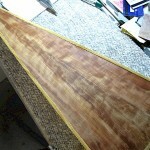 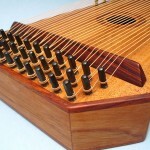 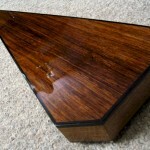 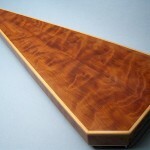 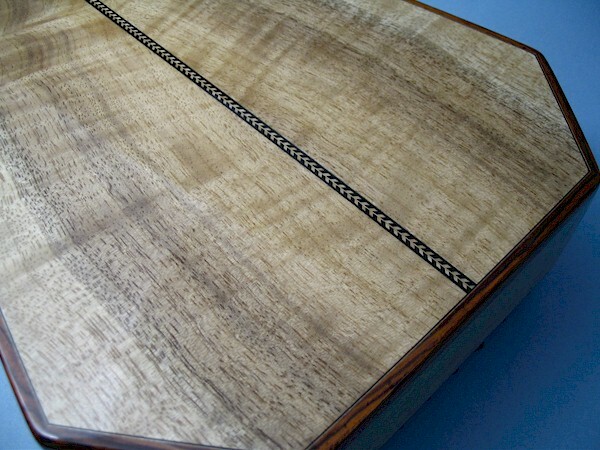 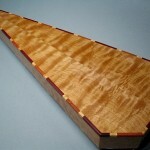 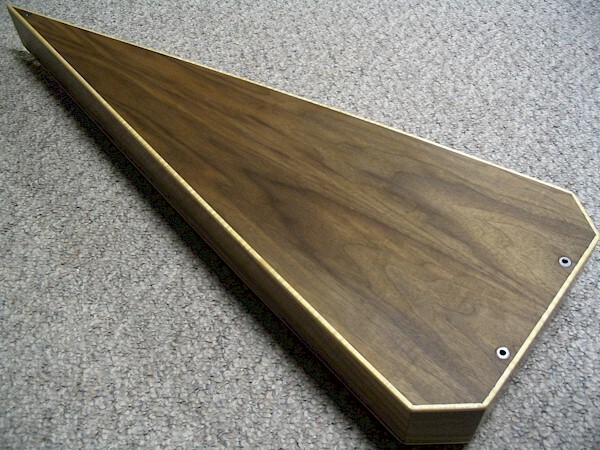 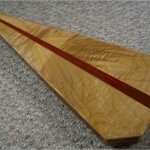 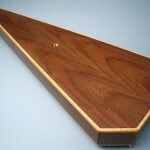 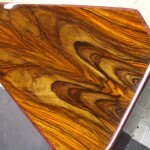 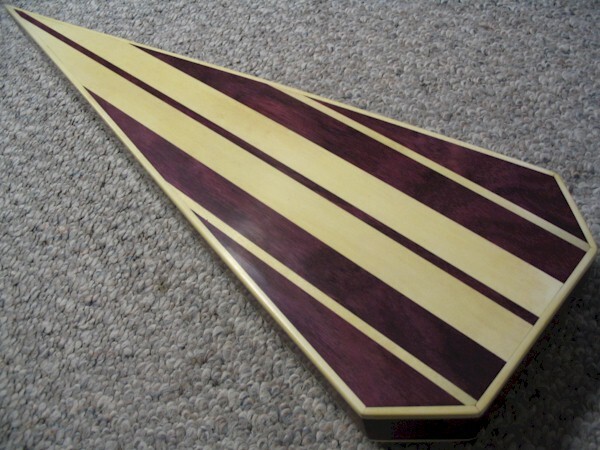 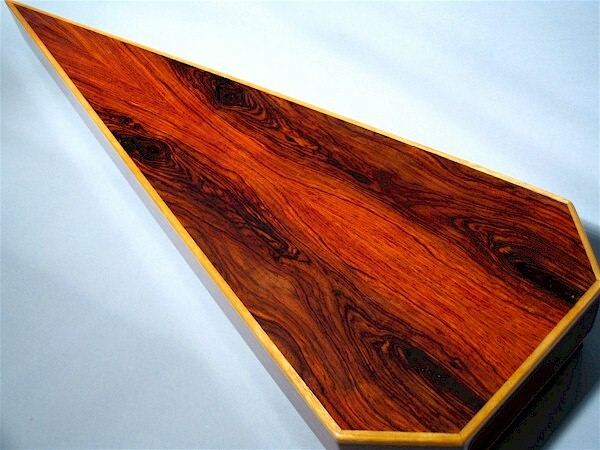 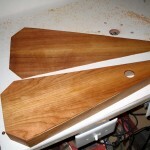 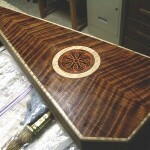 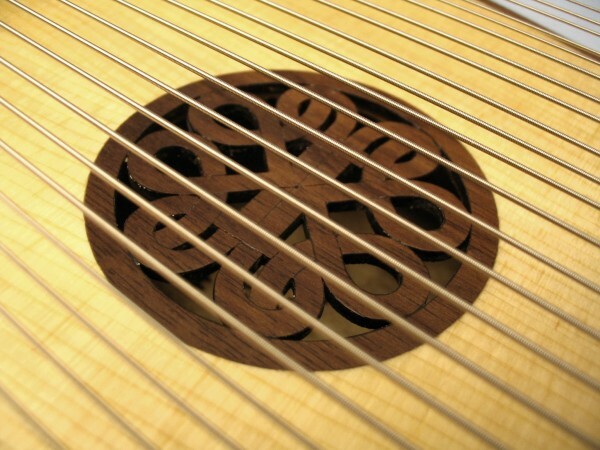 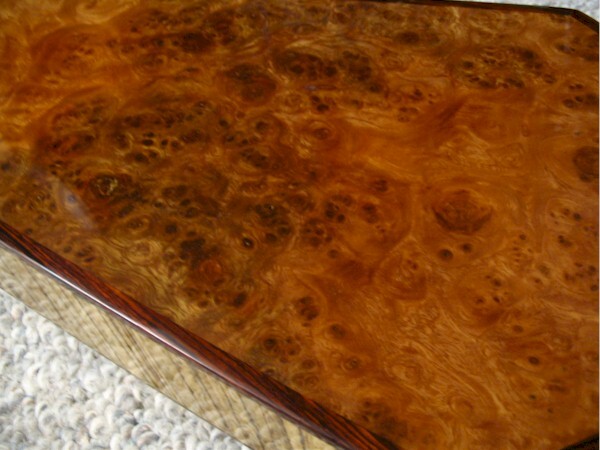 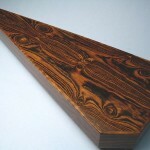 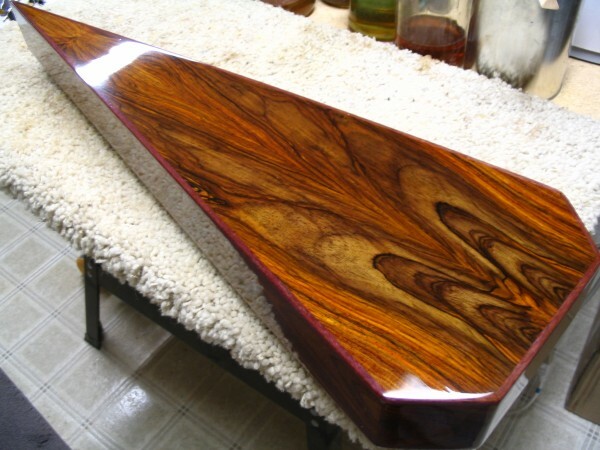 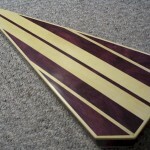 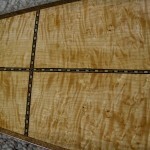 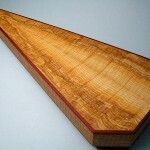 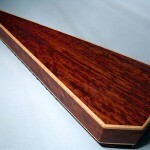 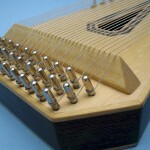 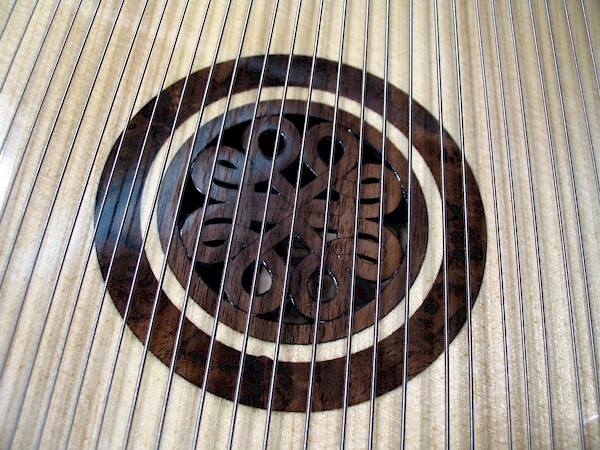 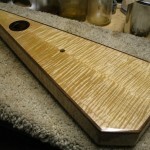 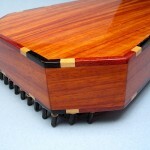 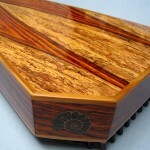 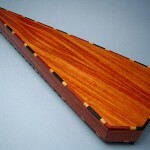 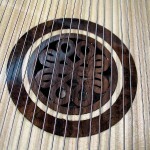 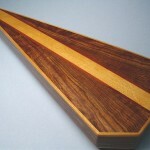 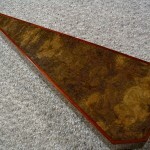 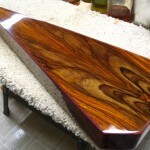 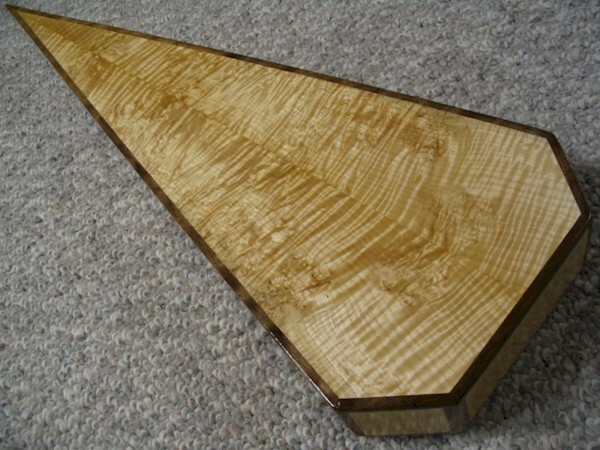 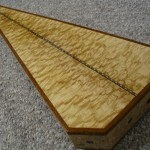 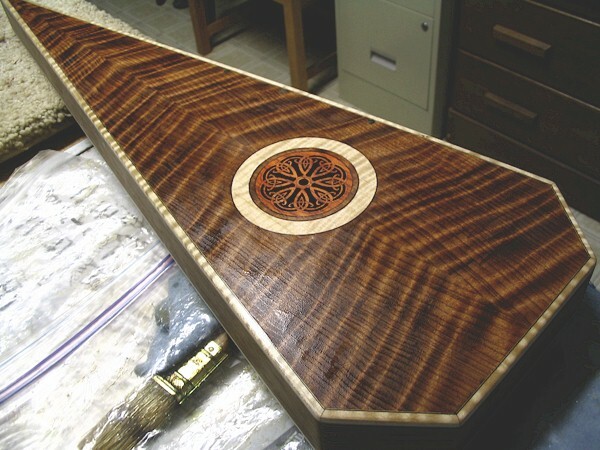 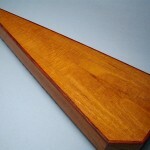 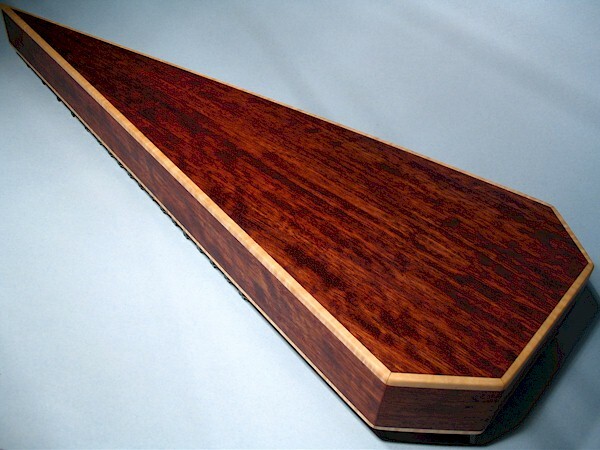 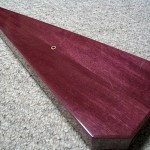 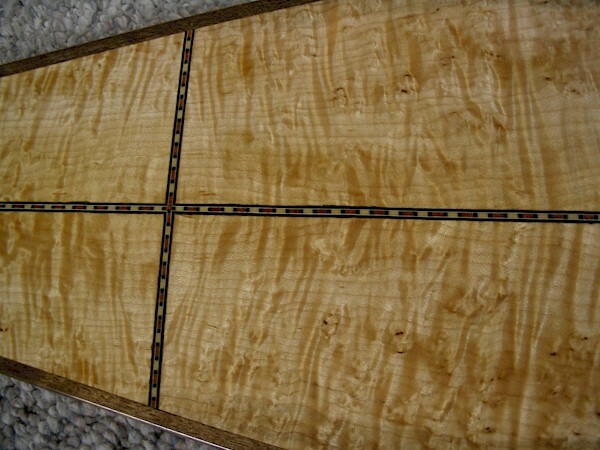 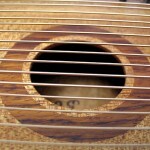 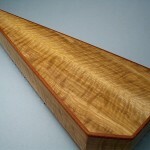 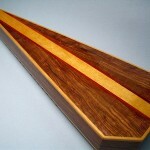 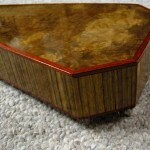 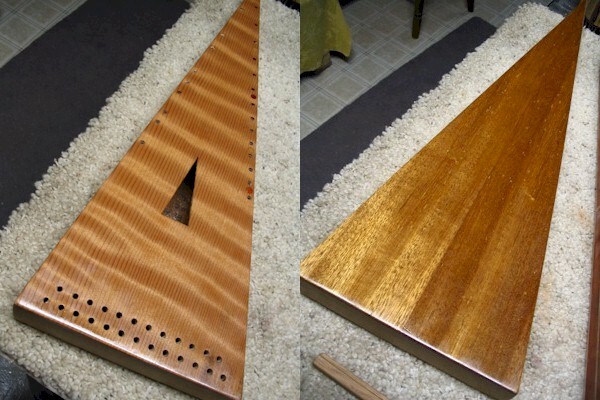 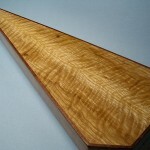 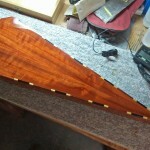 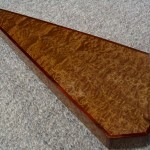 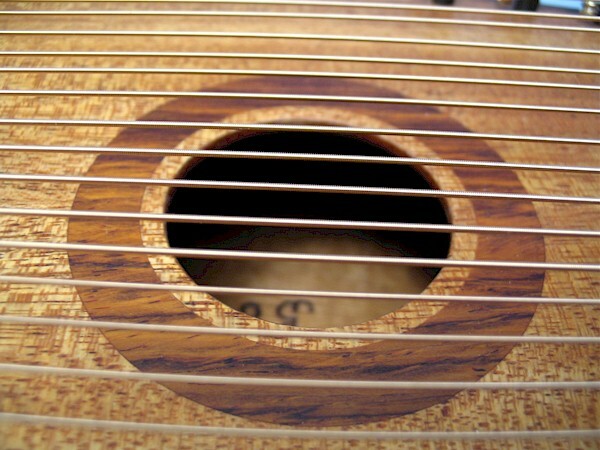 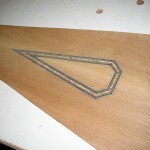 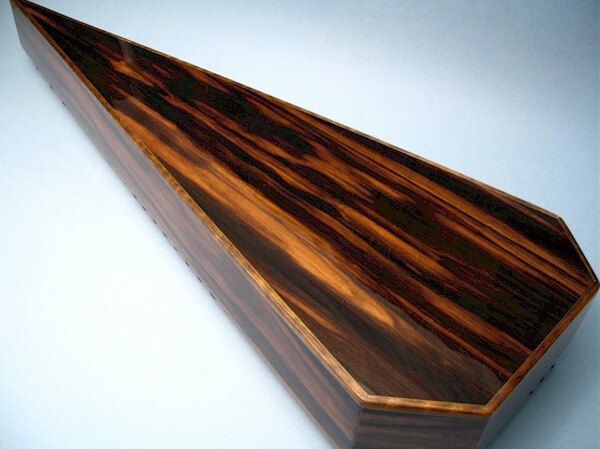 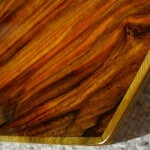 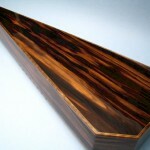 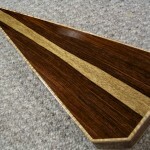 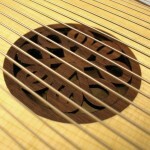 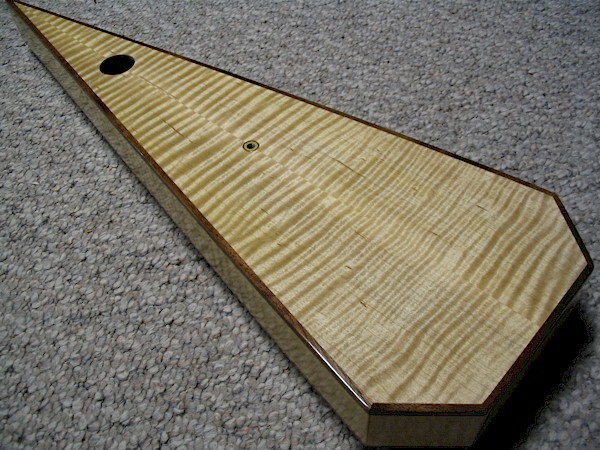 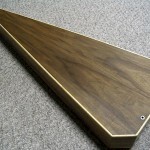 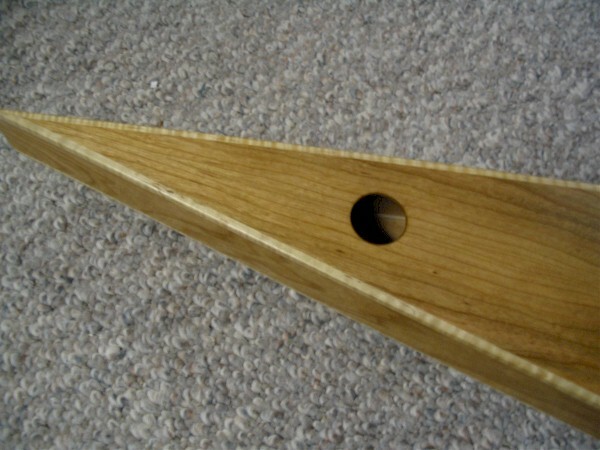 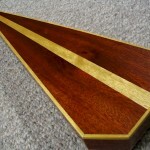 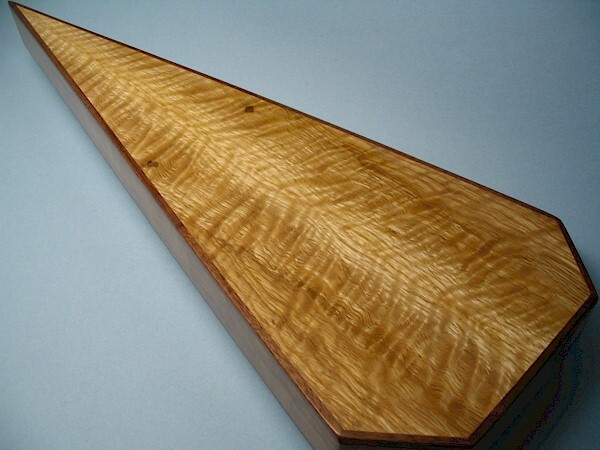 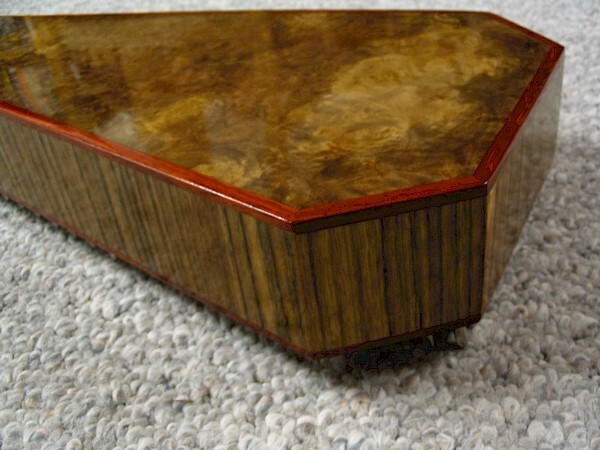 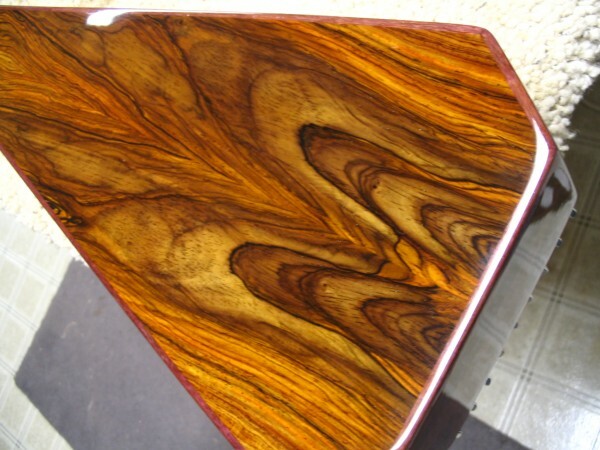 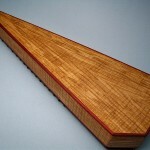 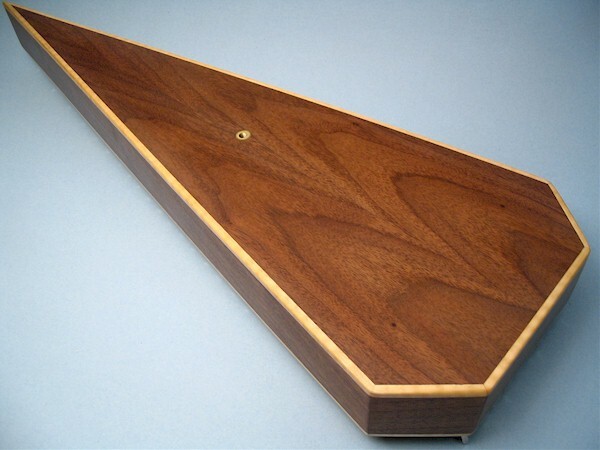 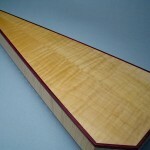 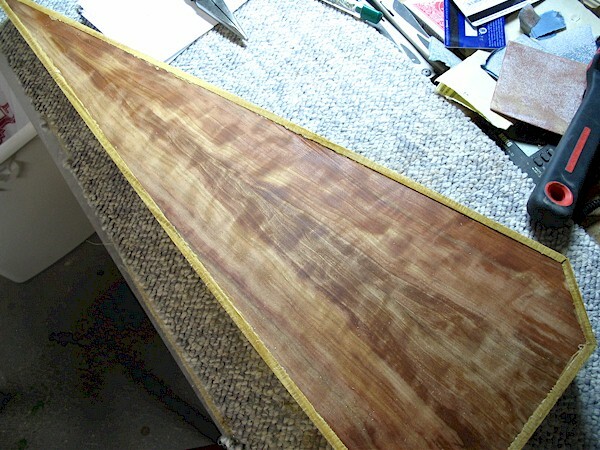 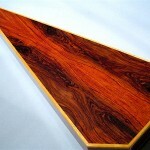 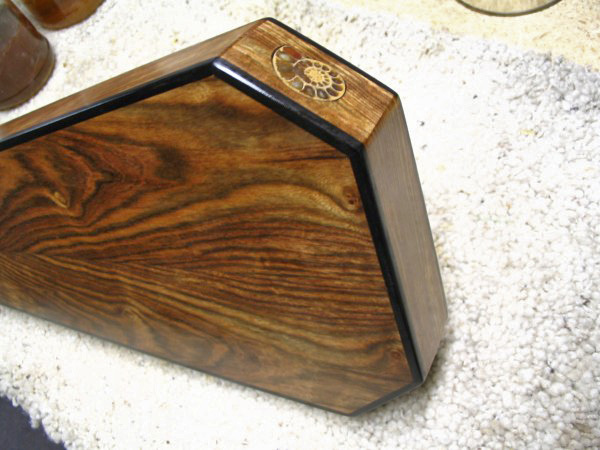 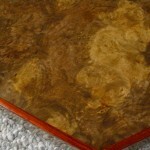 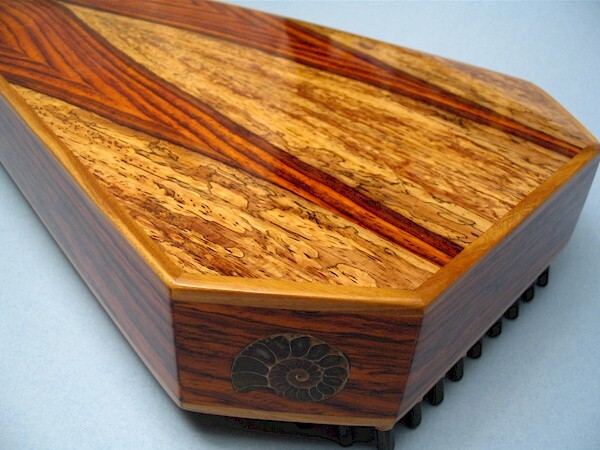 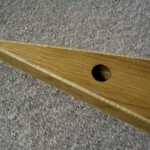 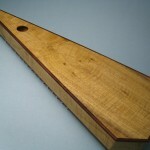 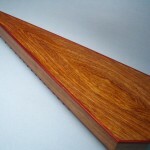 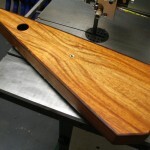 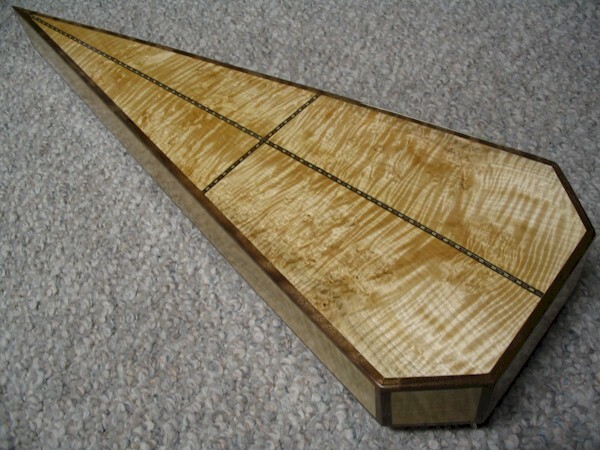 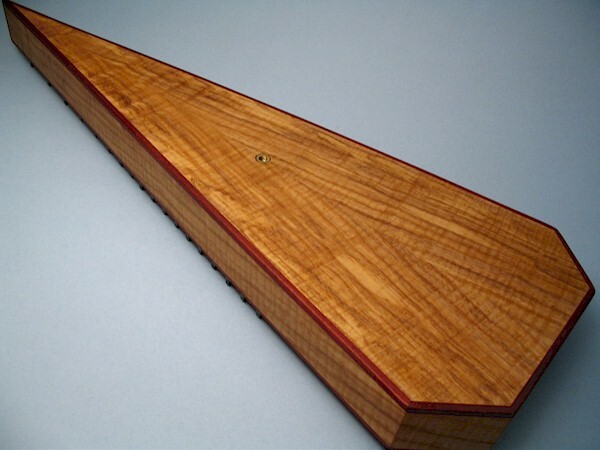 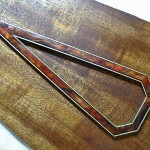 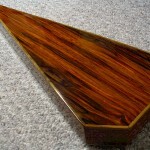 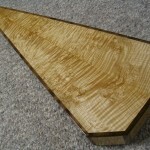 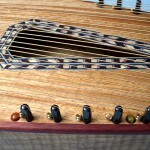 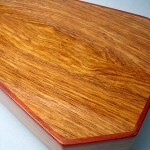 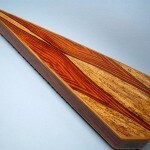 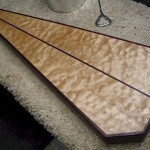 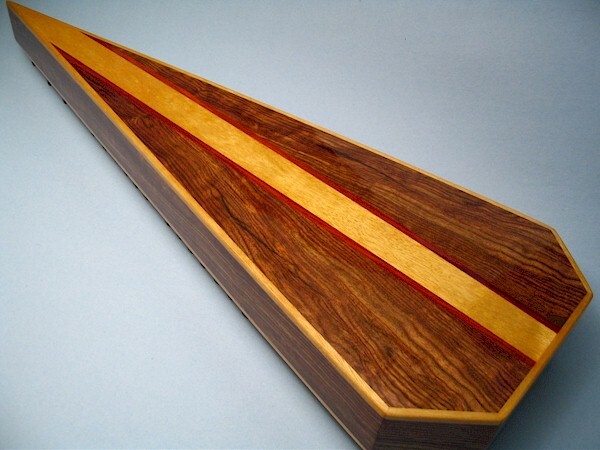 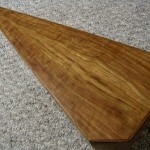 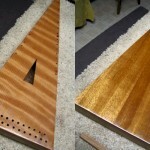 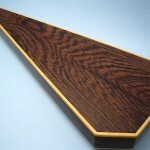 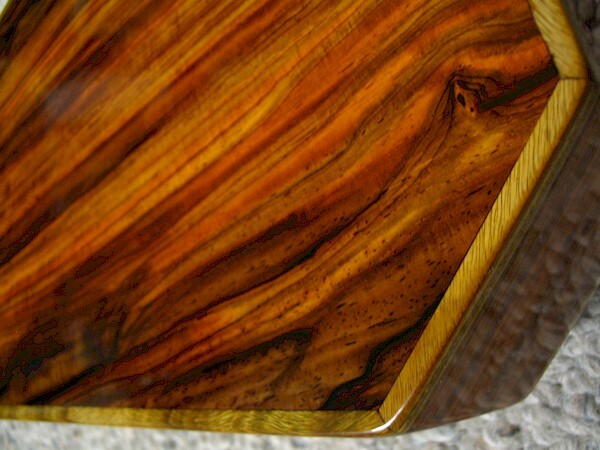 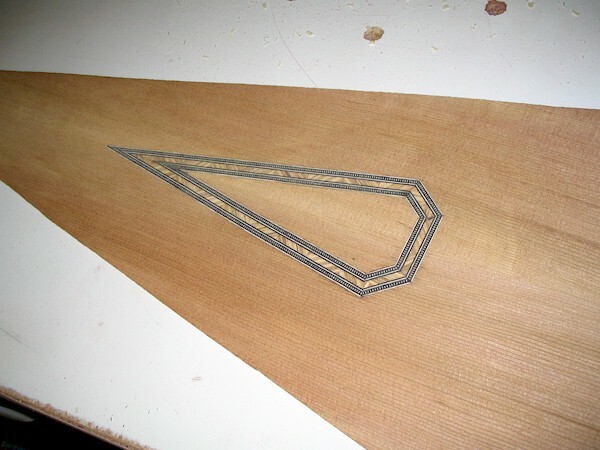 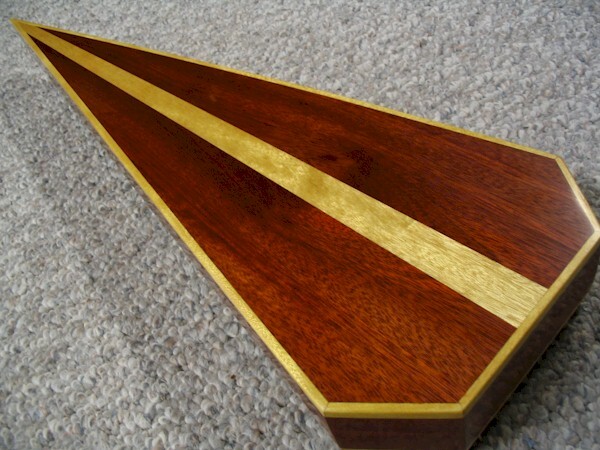 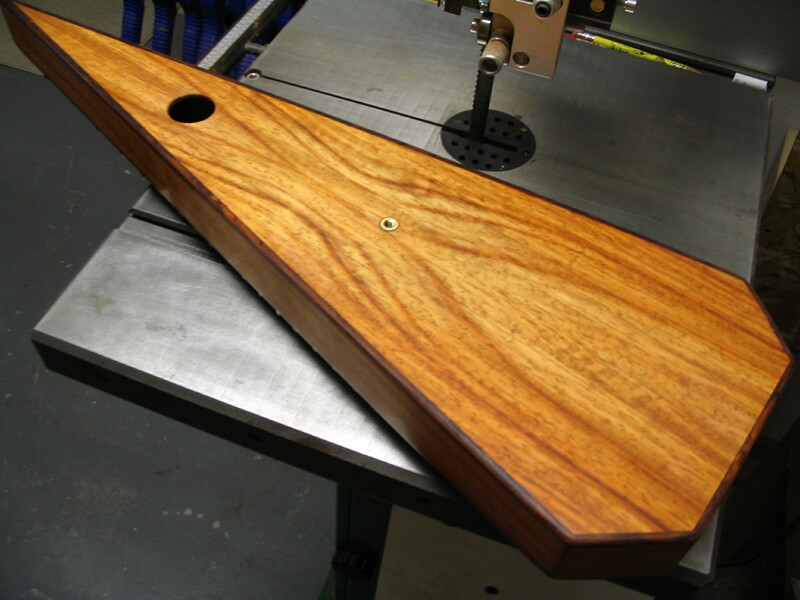 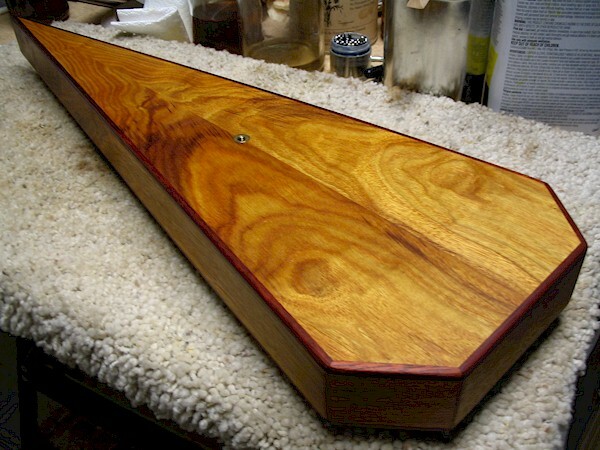 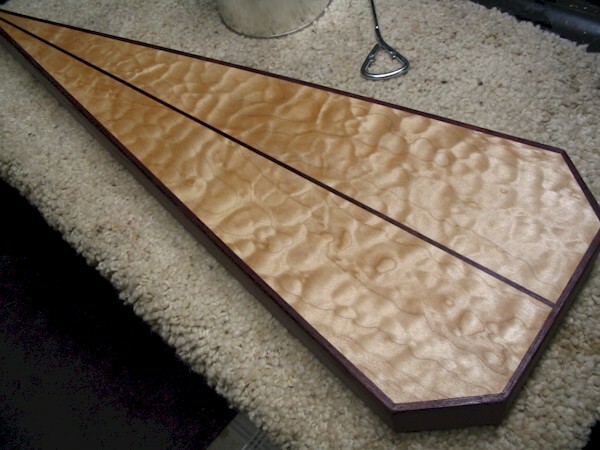 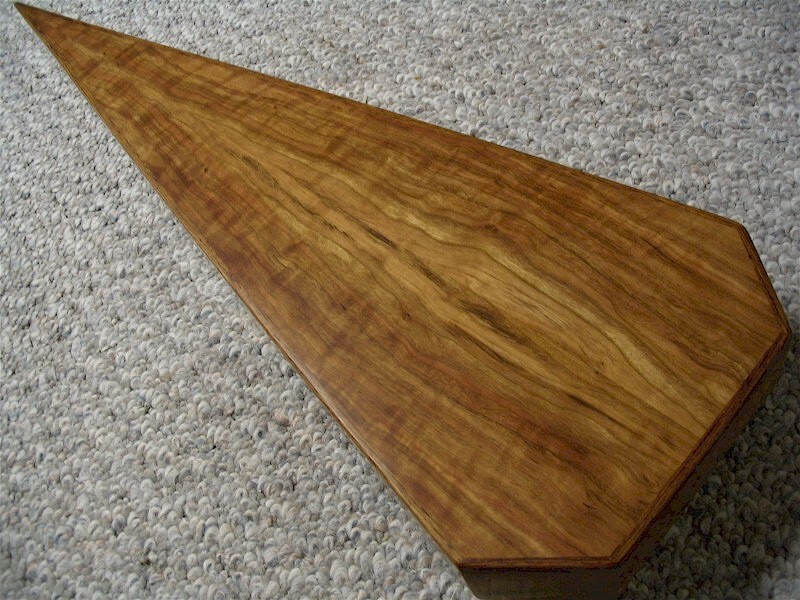 003: Very similar to 012, but my veneering skills weren’t up to par at the time, and the instrument was given to charity. 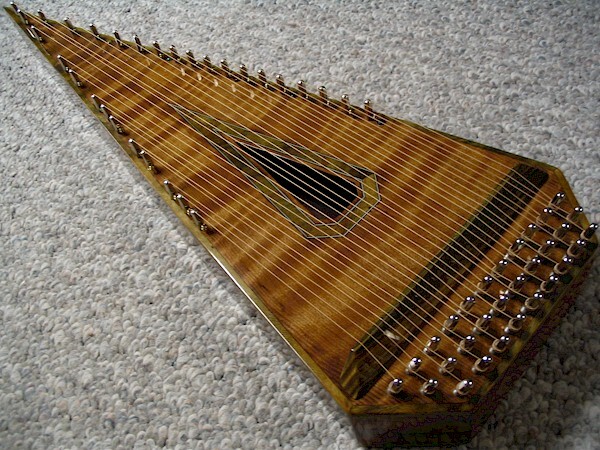 Only one picture available. 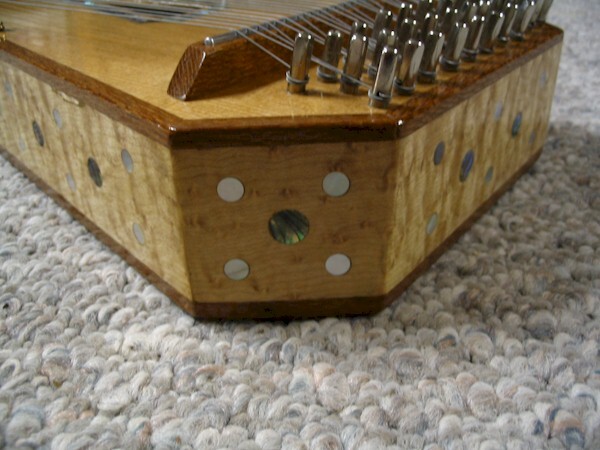 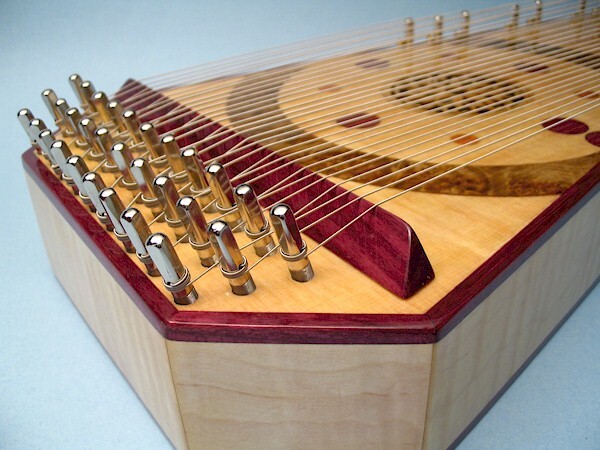 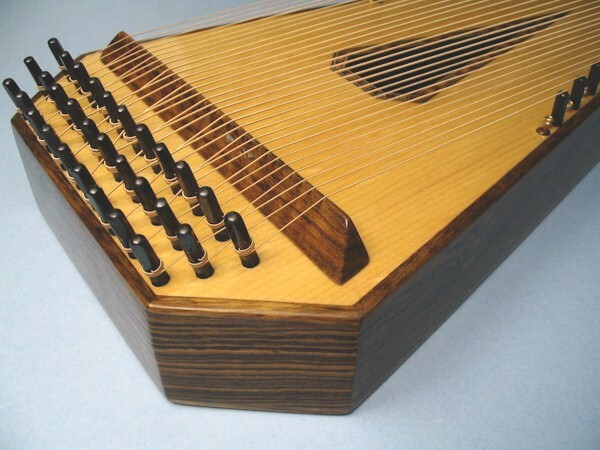 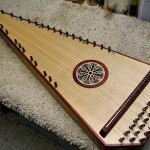 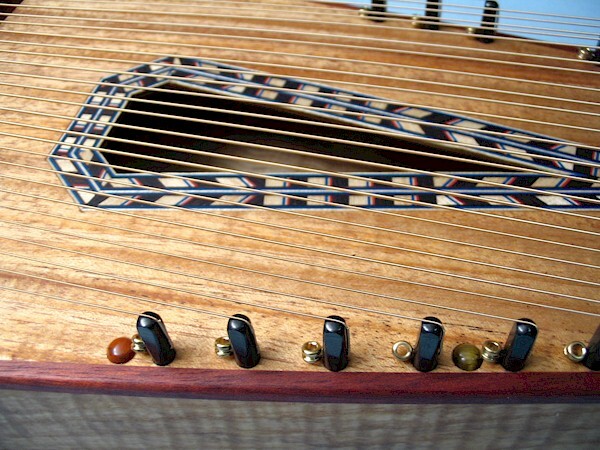 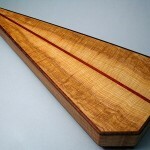 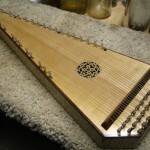 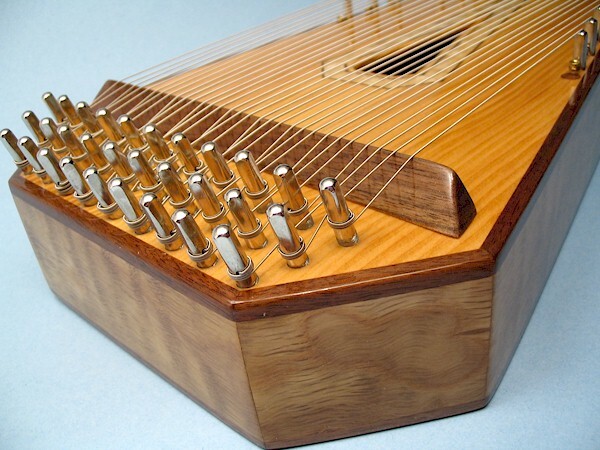 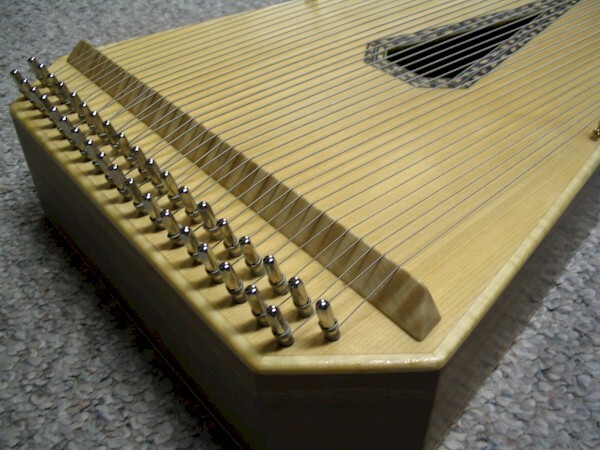 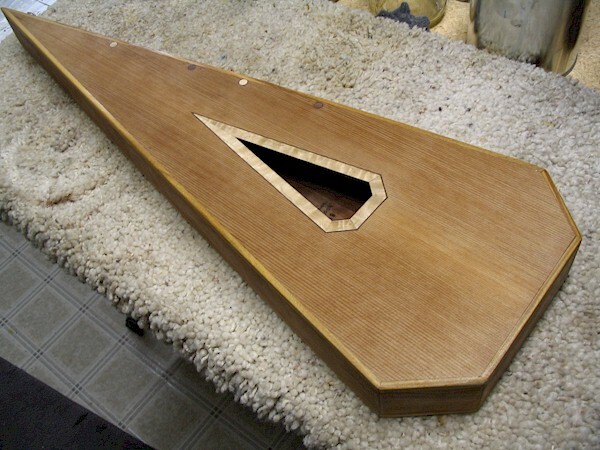 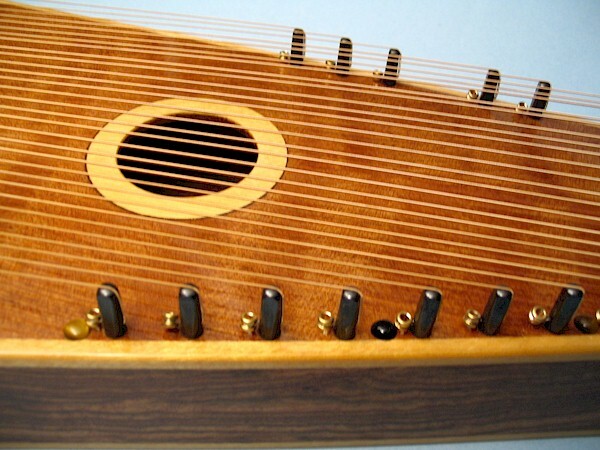 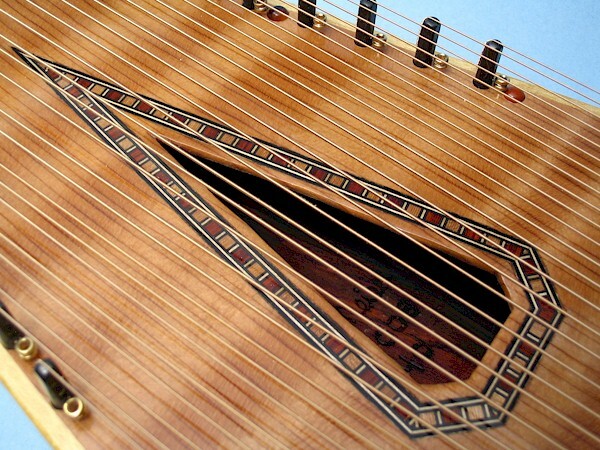 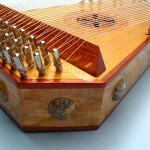 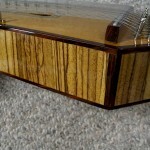 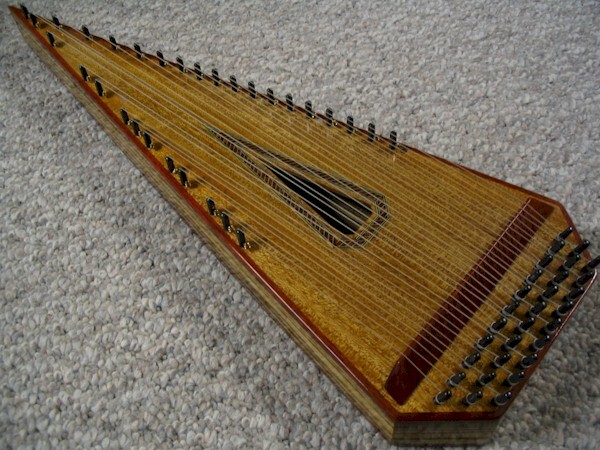 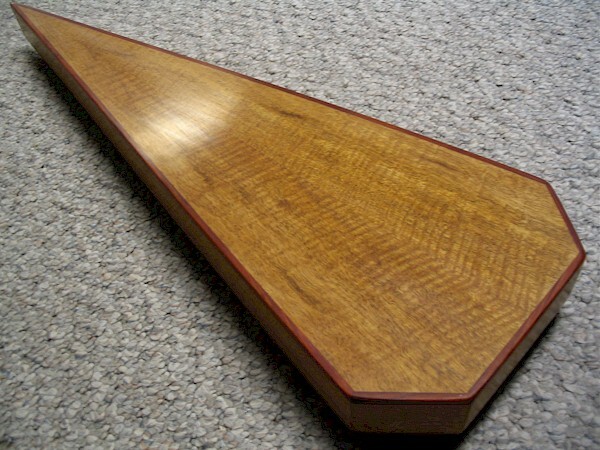 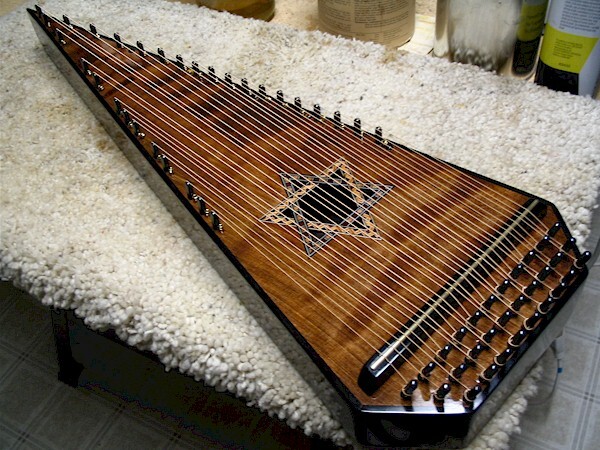 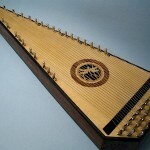 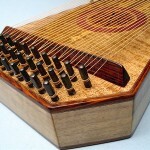 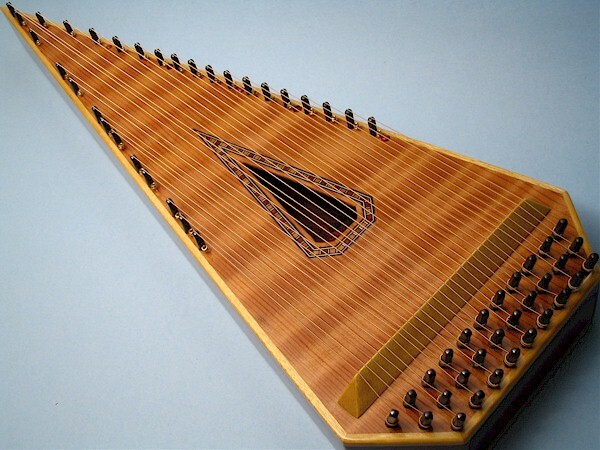 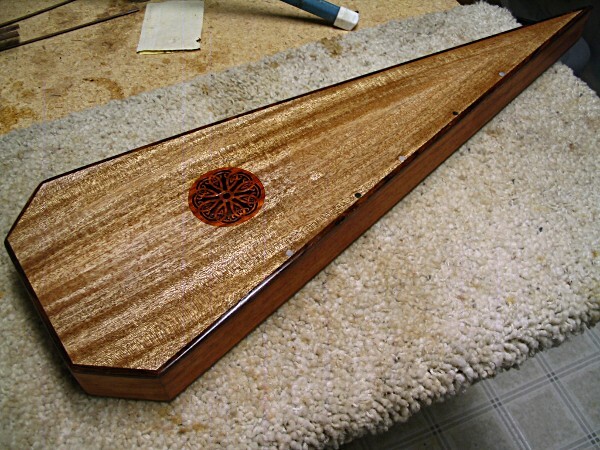 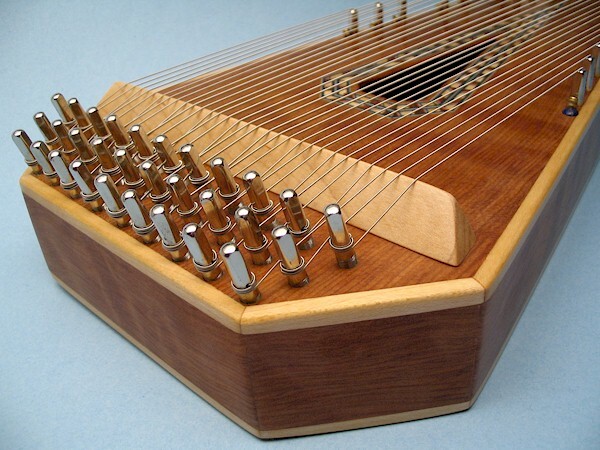 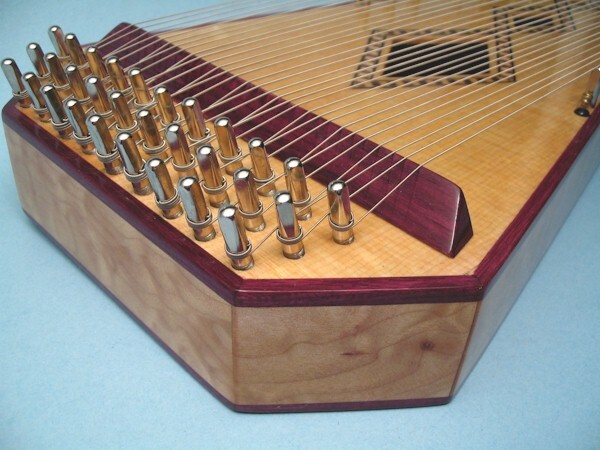 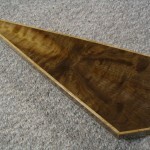 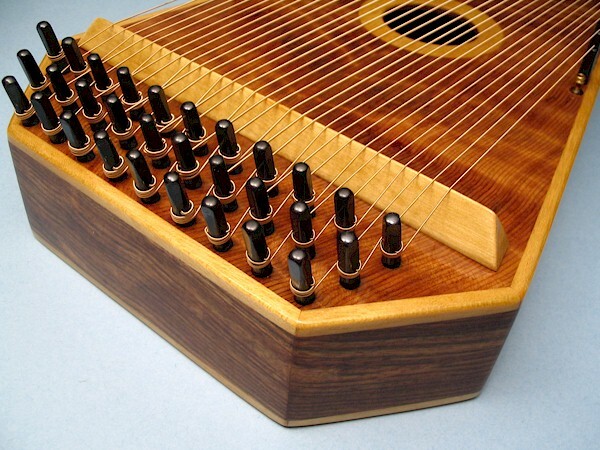 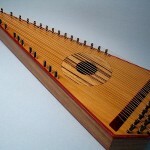 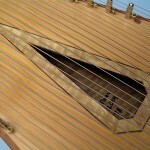 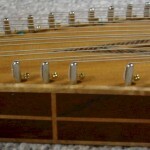 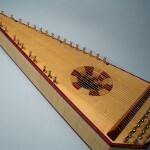 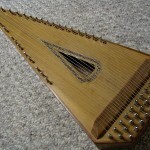 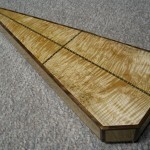 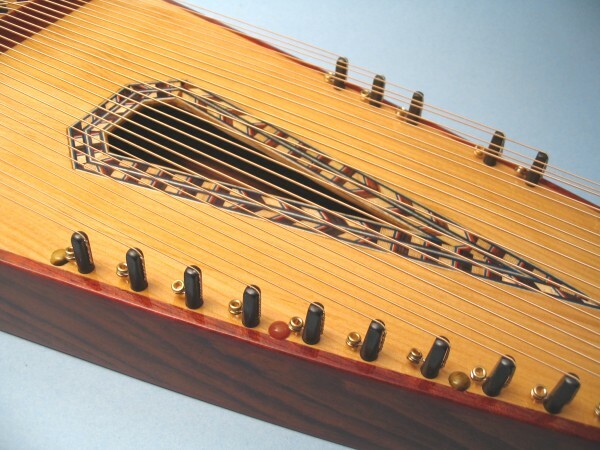 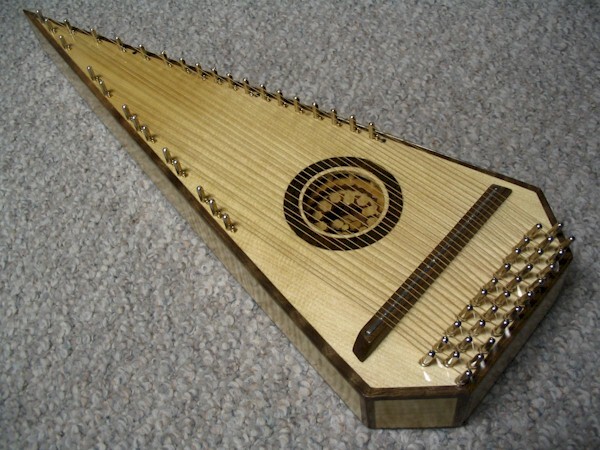 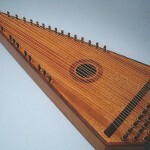 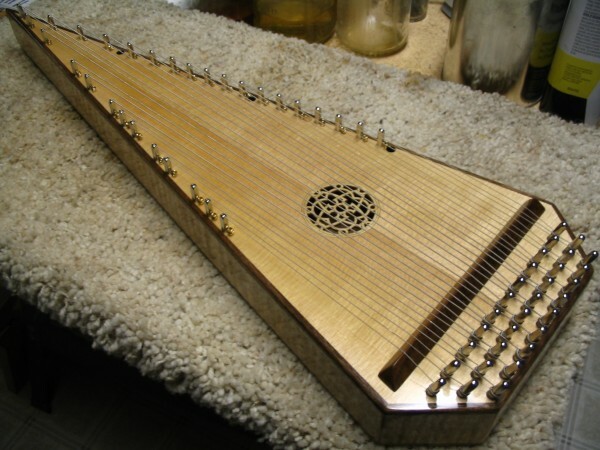 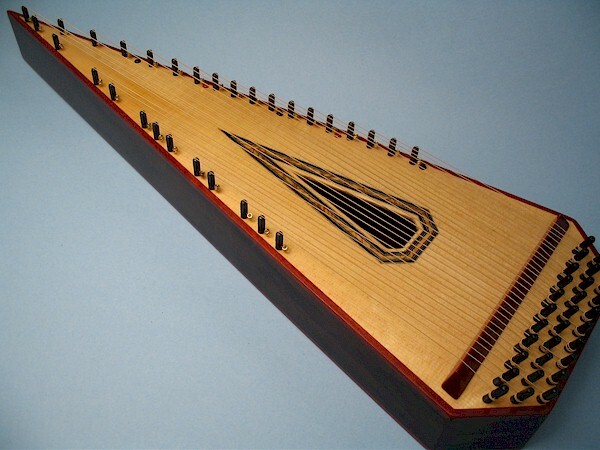 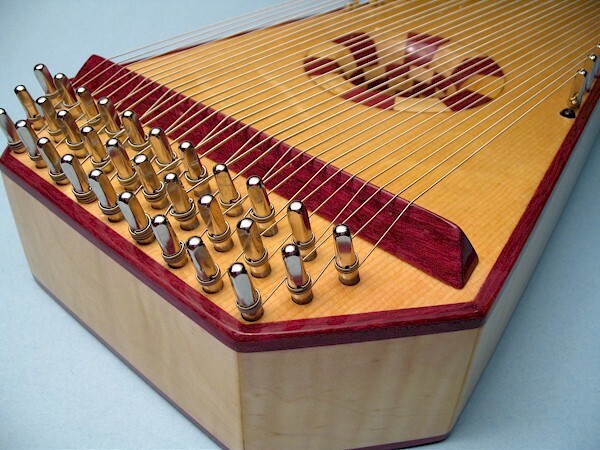 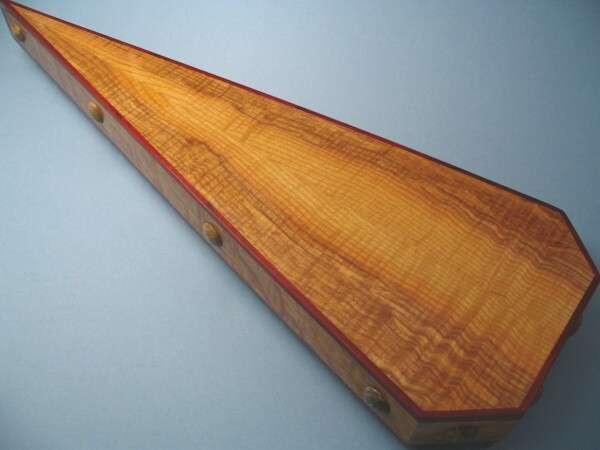 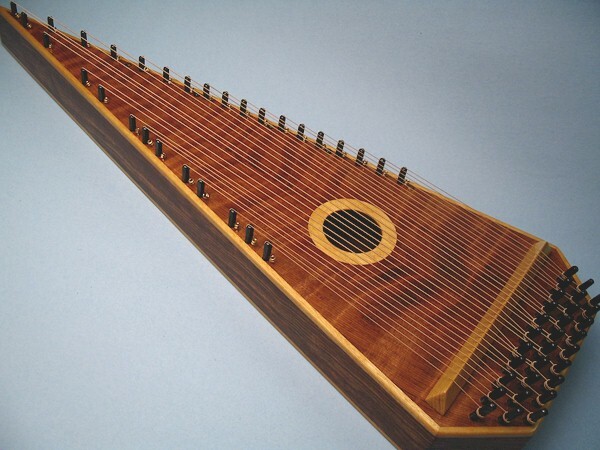 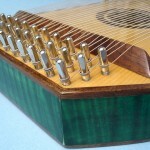 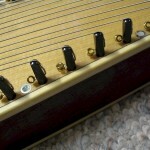 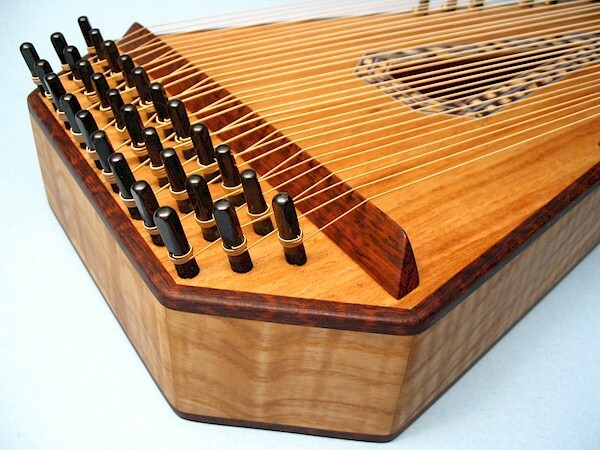 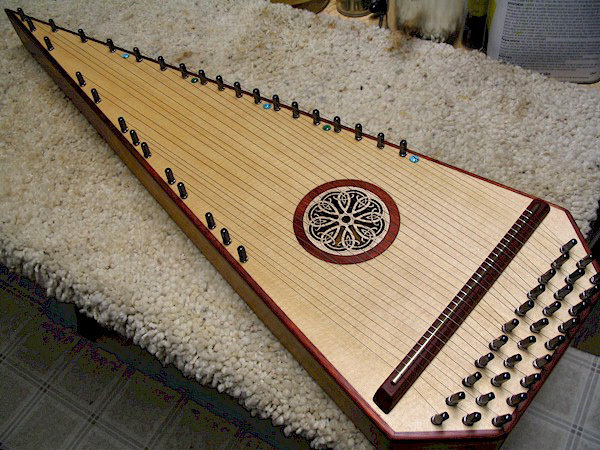 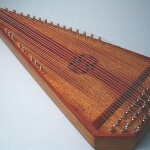 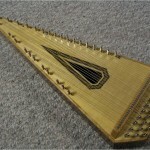 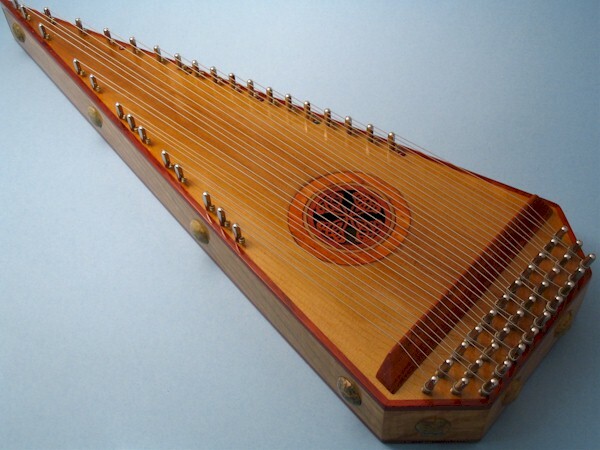 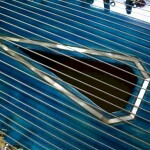 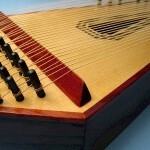 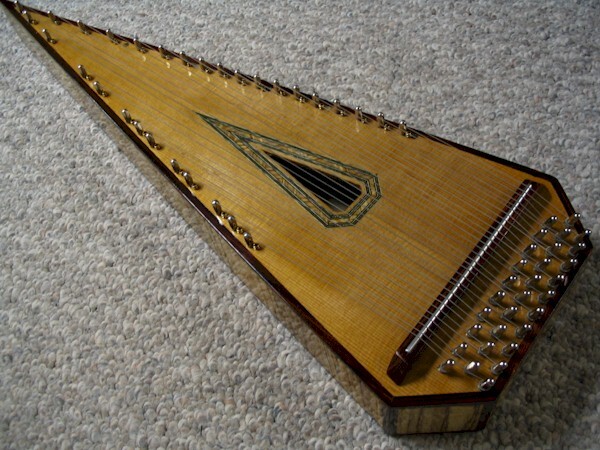 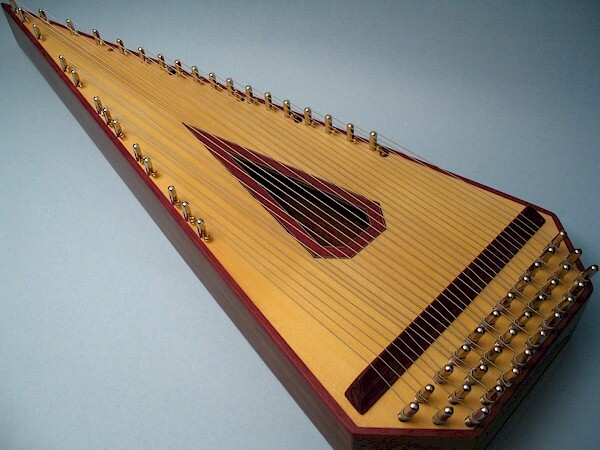 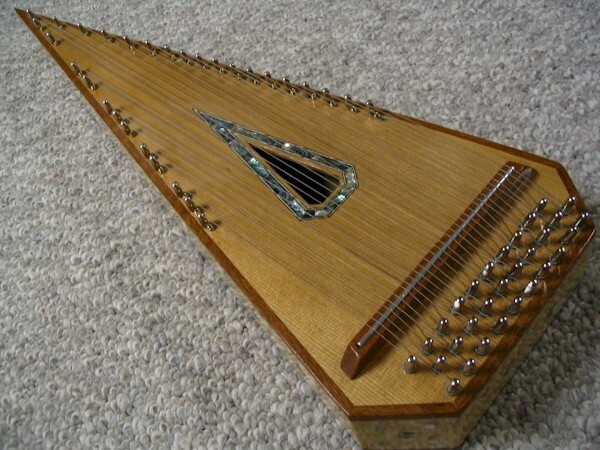 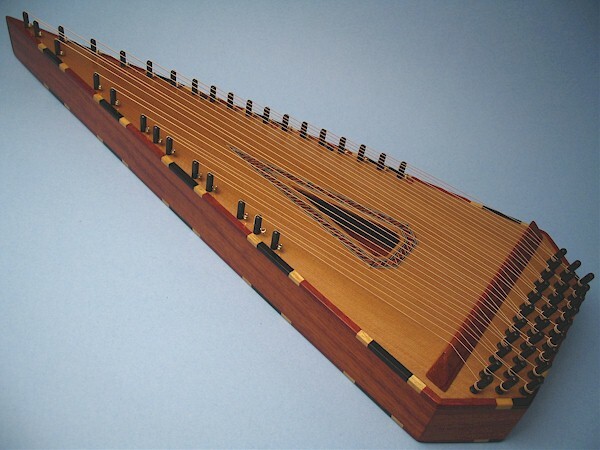 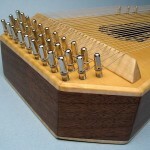 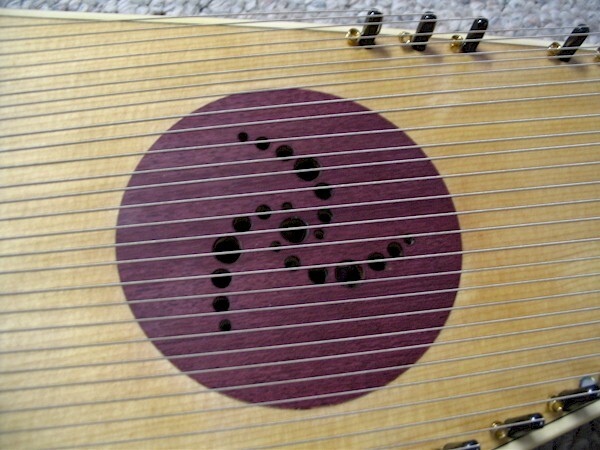 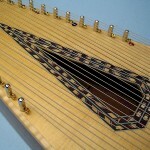 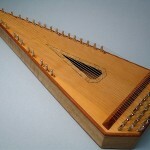 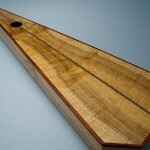 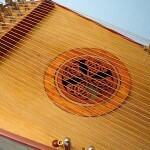 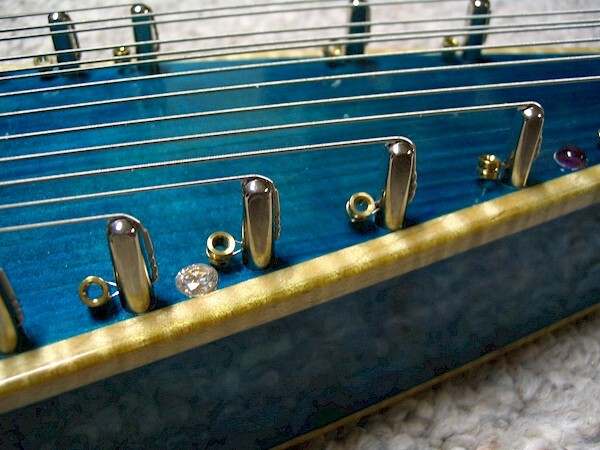 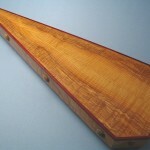 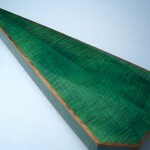 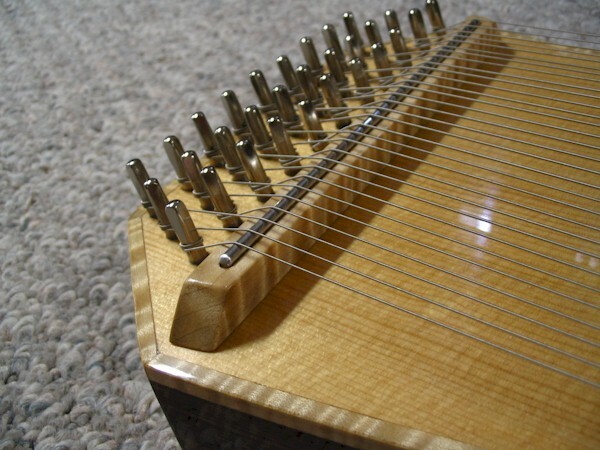 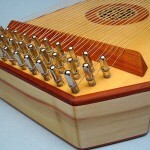 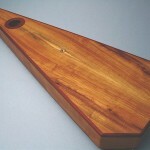 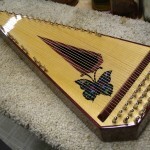 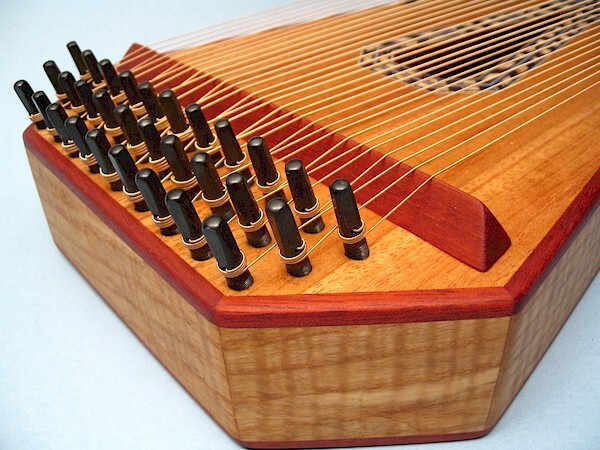 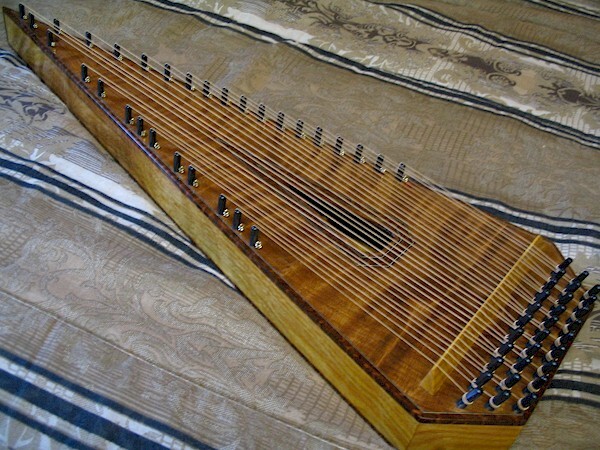 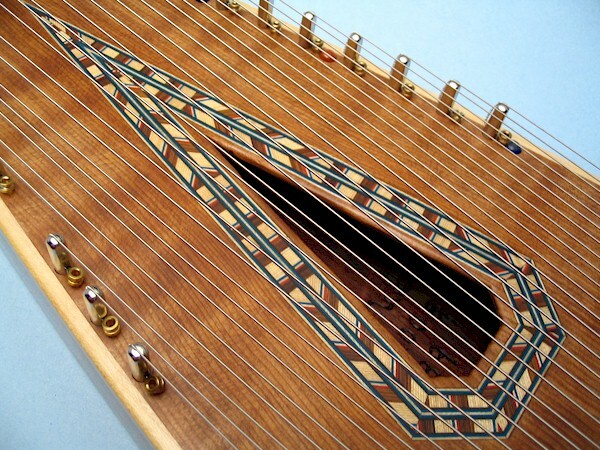 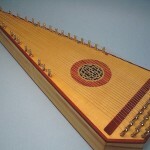 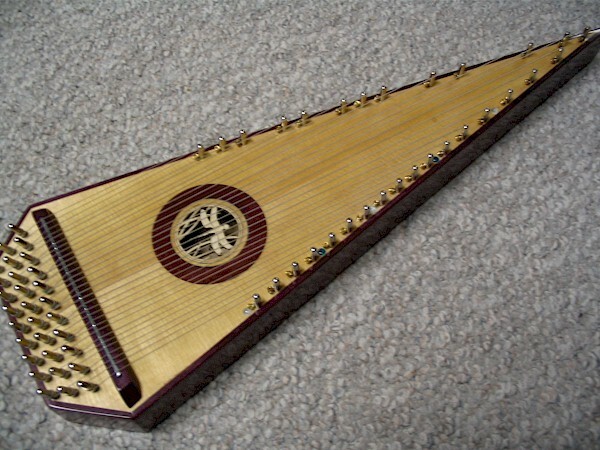 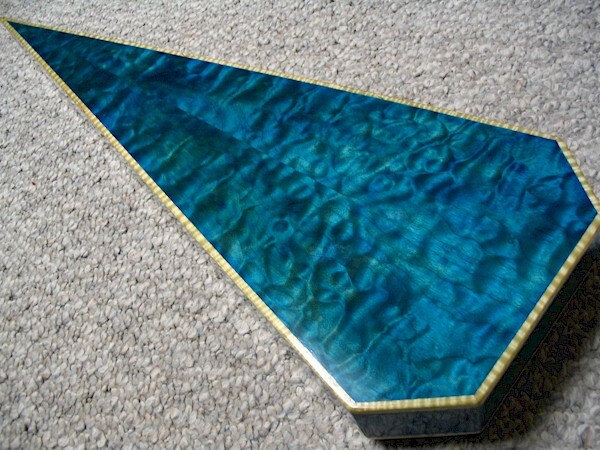 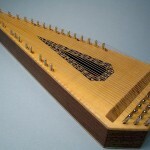 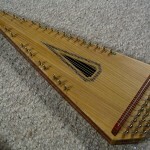 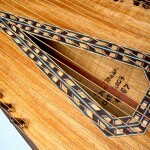 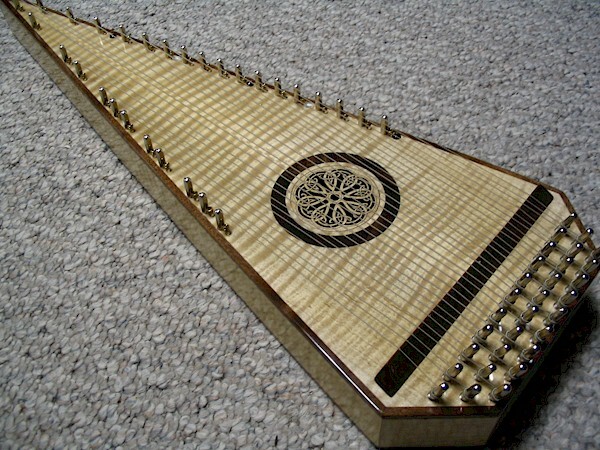 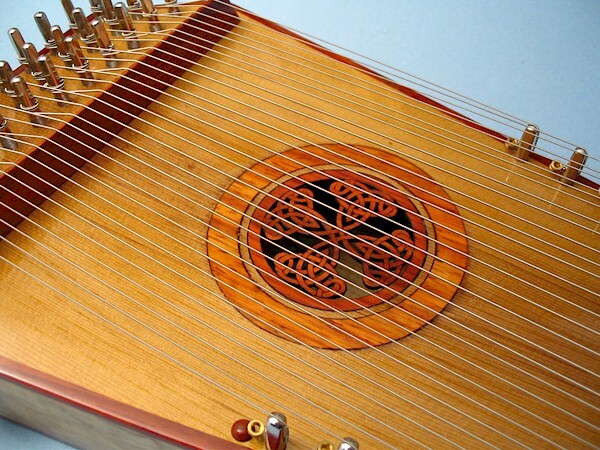 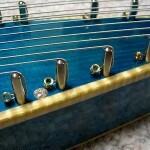 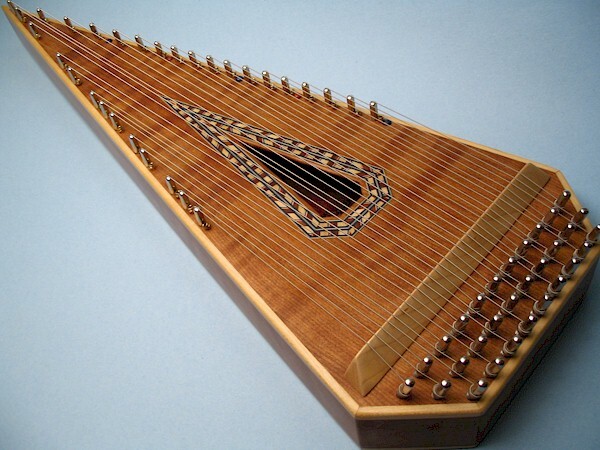 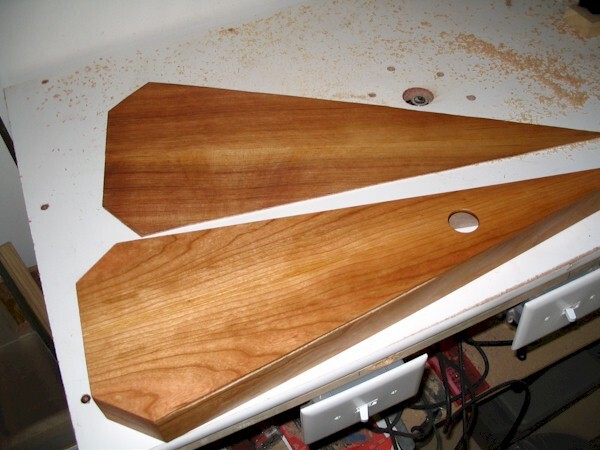 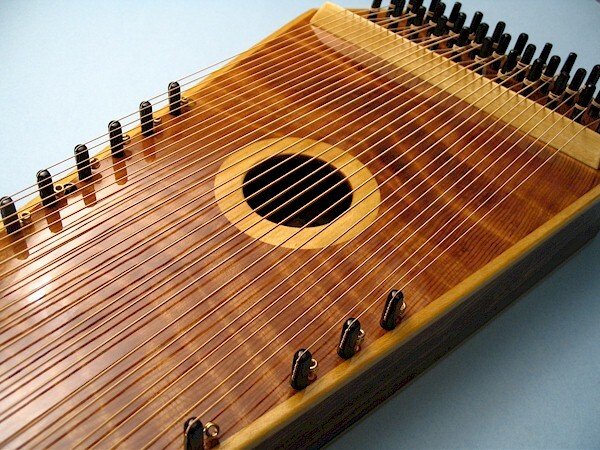 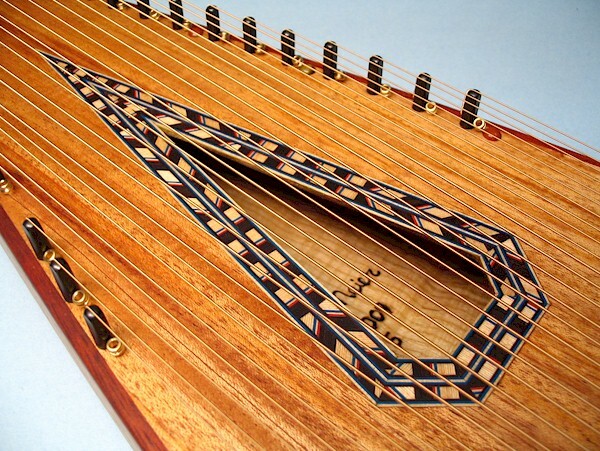 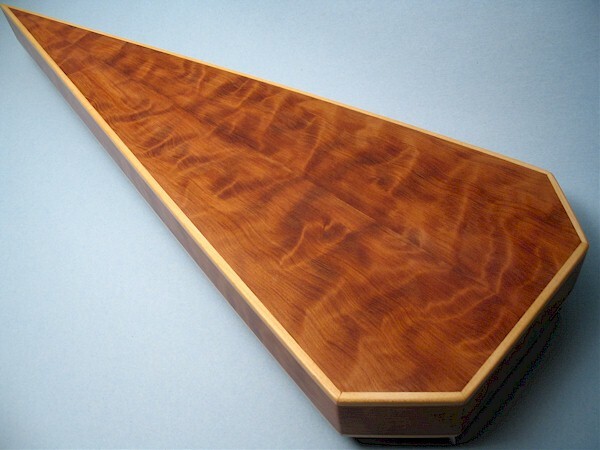 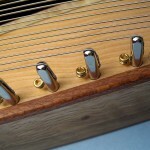 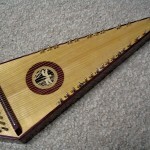 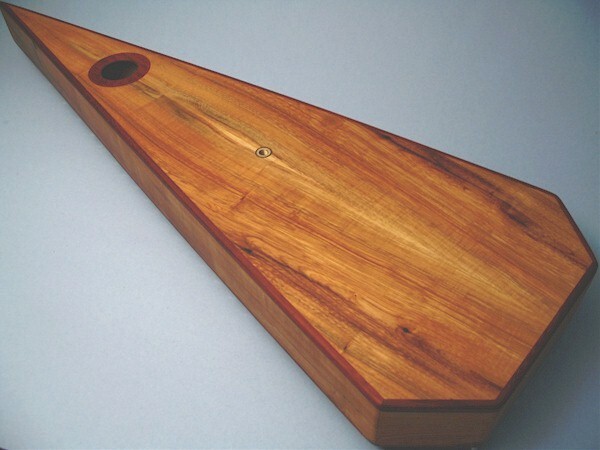 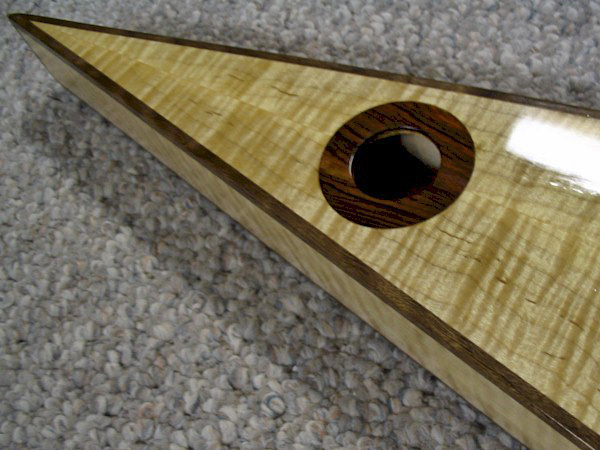 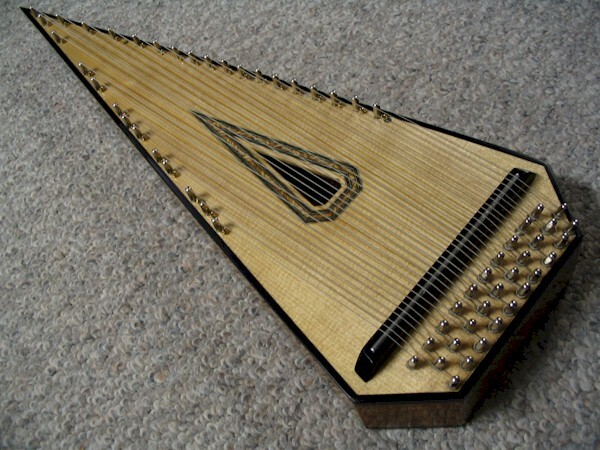 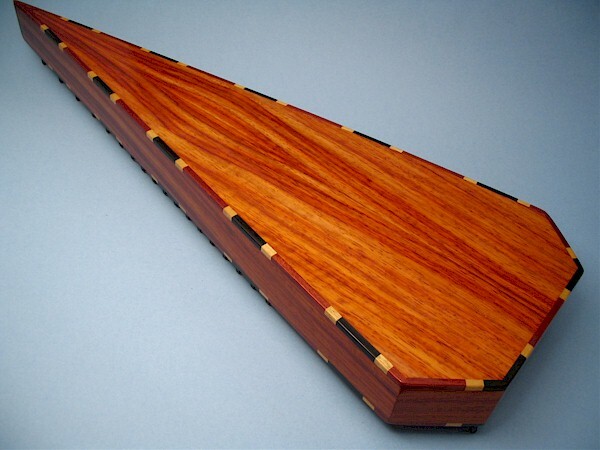 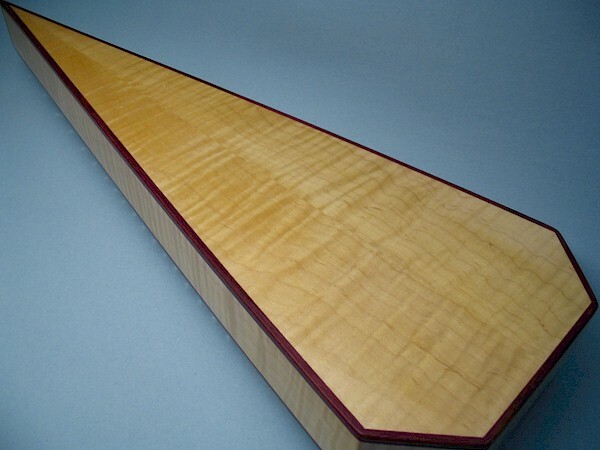 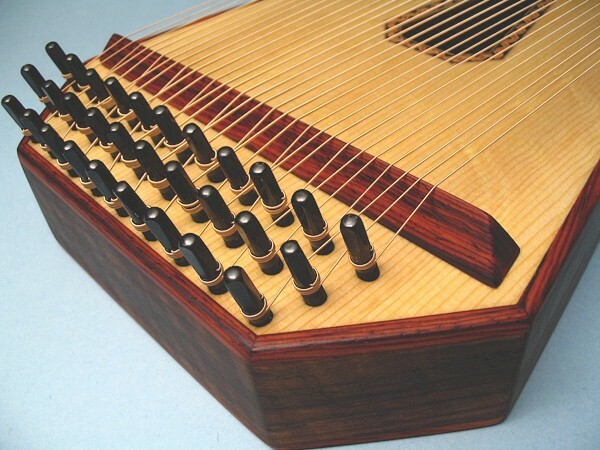 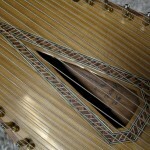 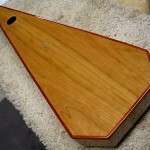 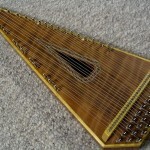 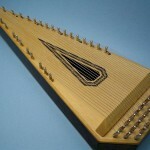 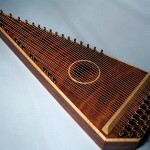 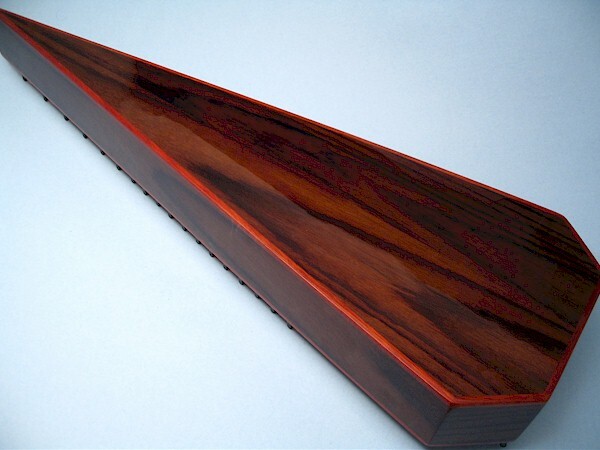 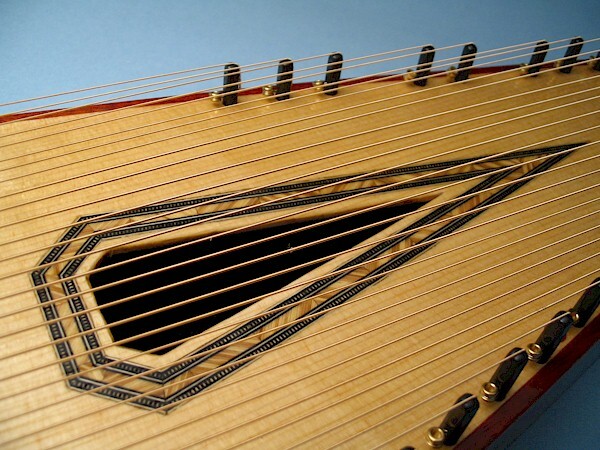 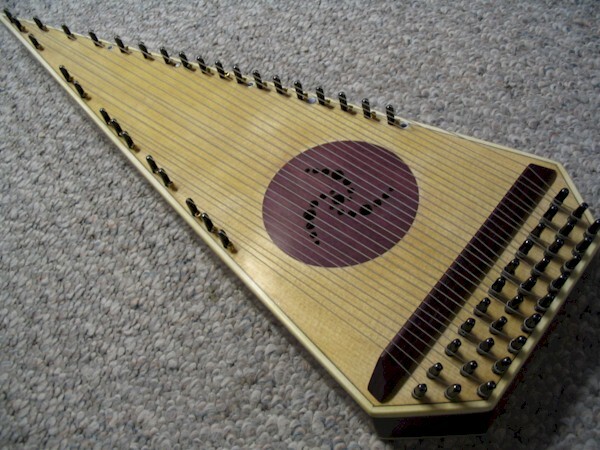 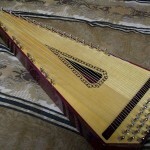 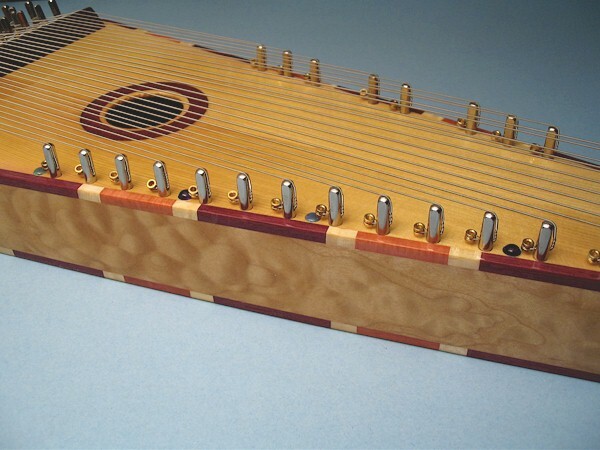 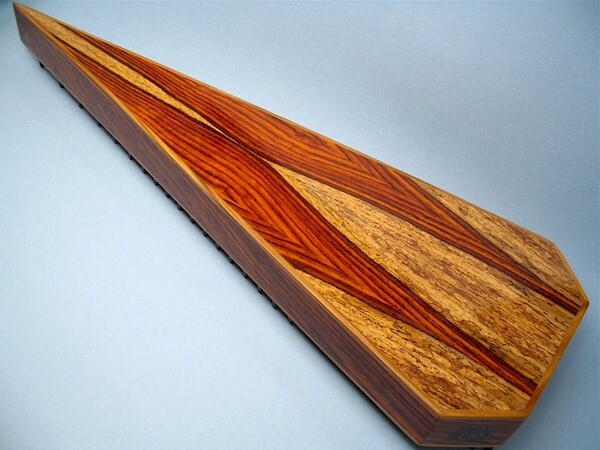 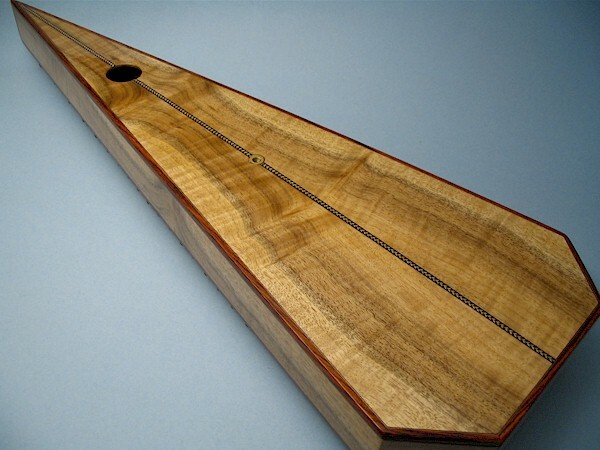 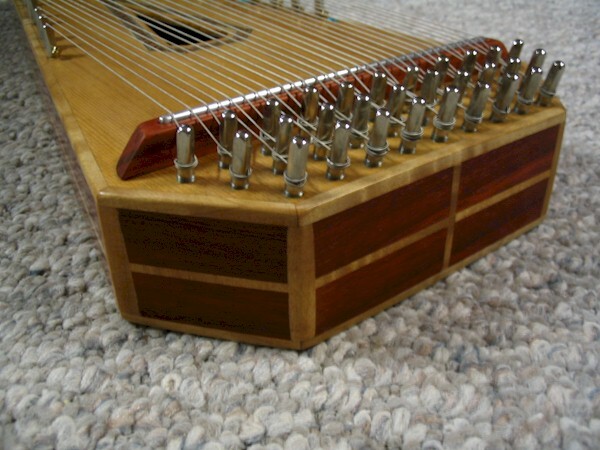 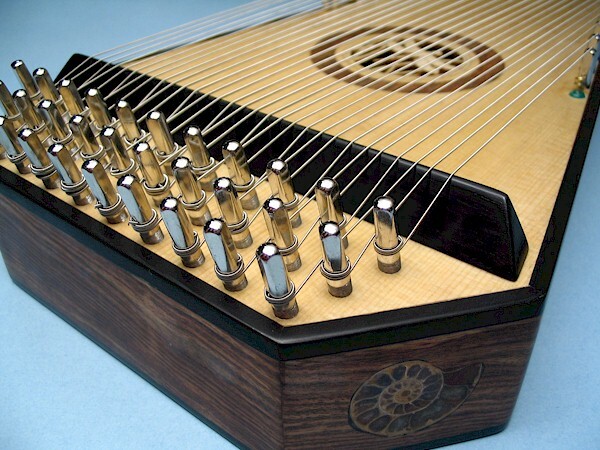 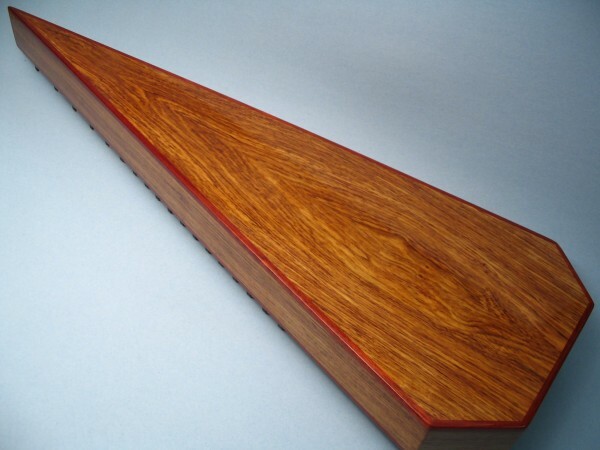 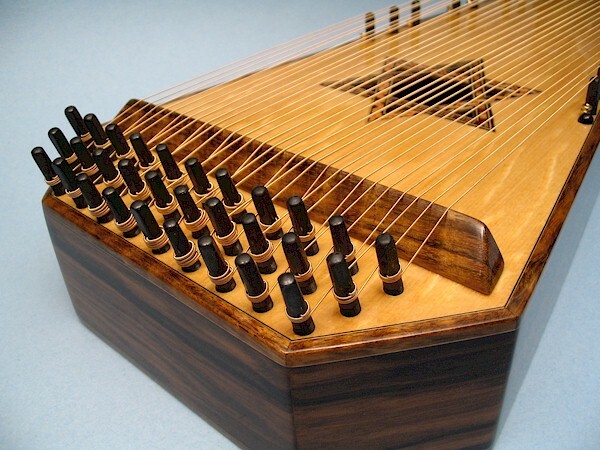 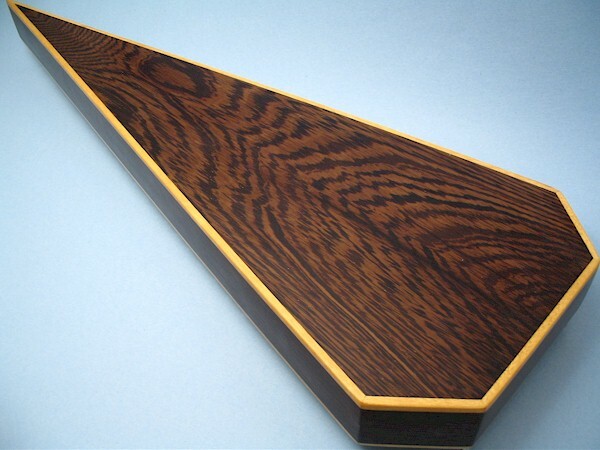 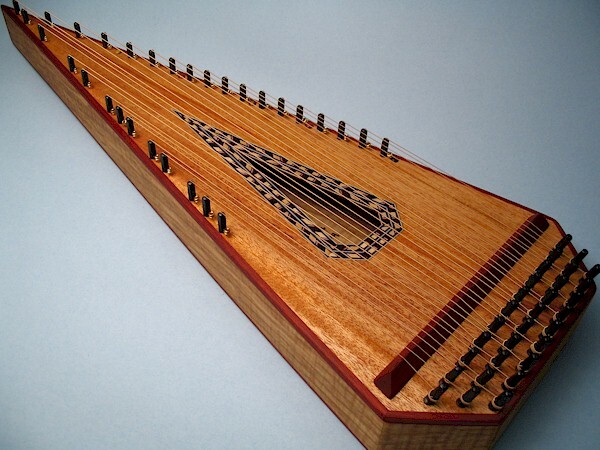 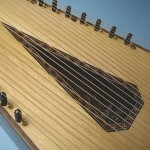 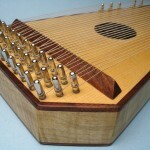 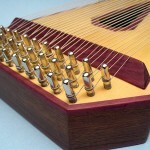 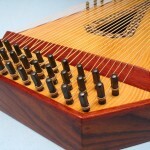 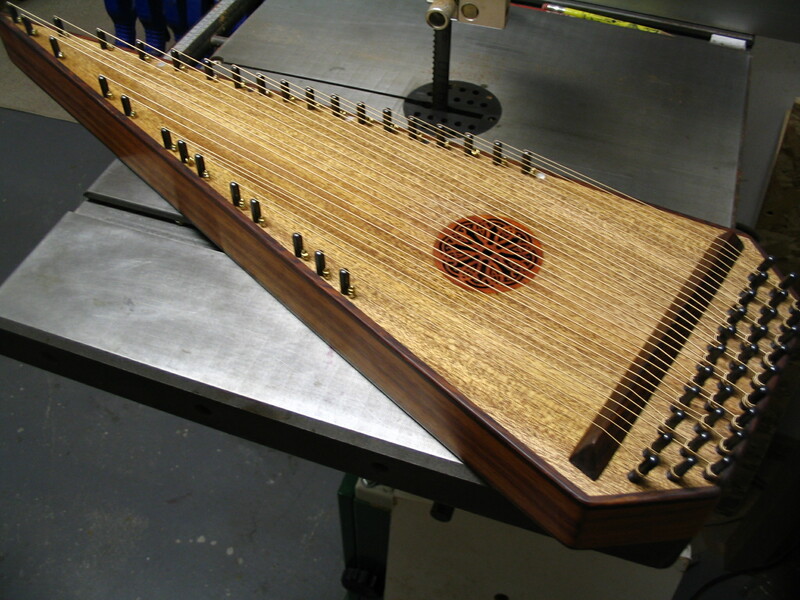 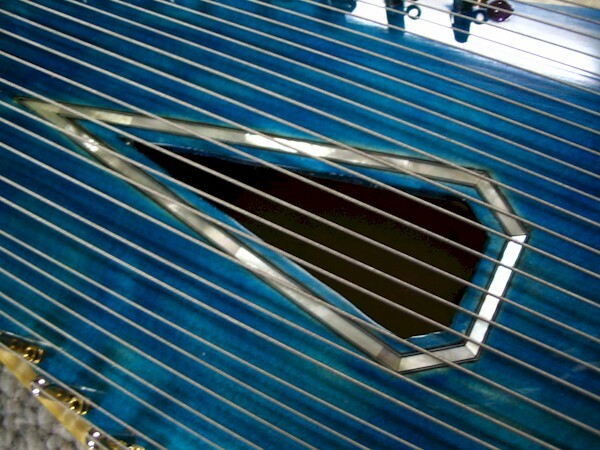 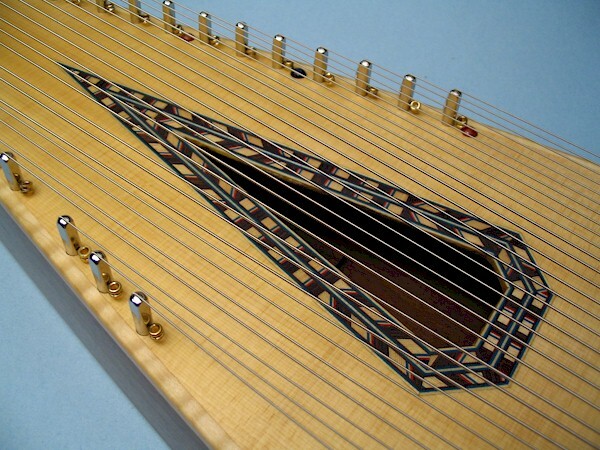 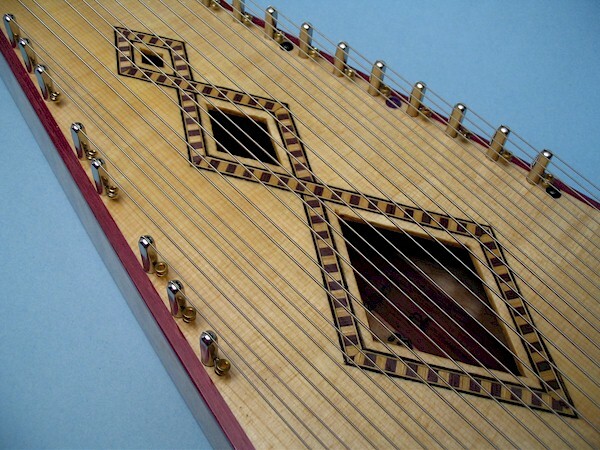 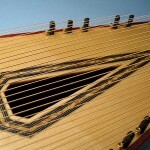 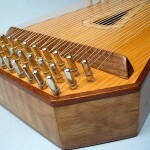 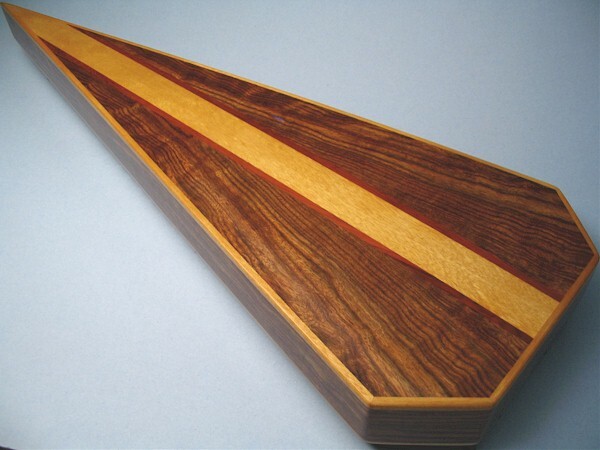 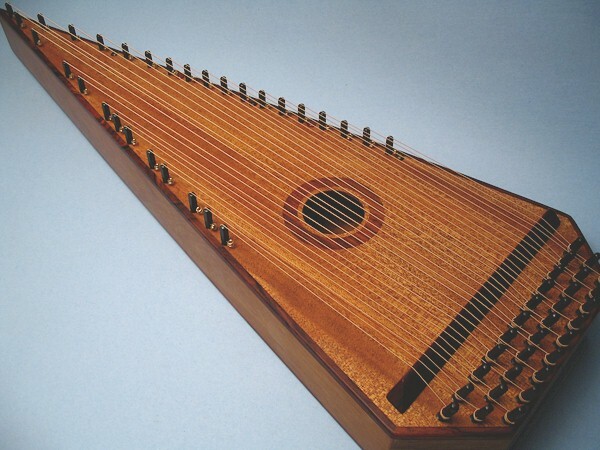 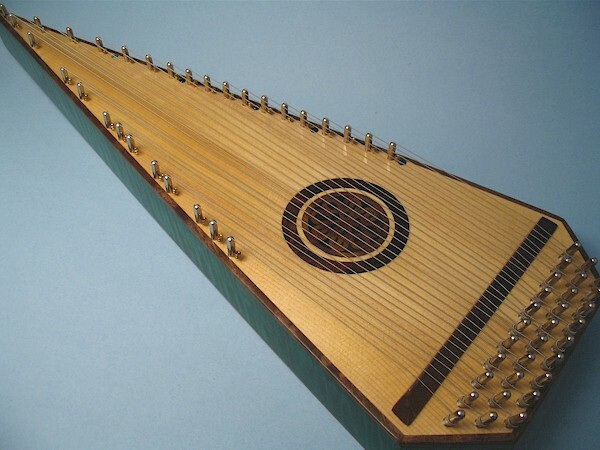 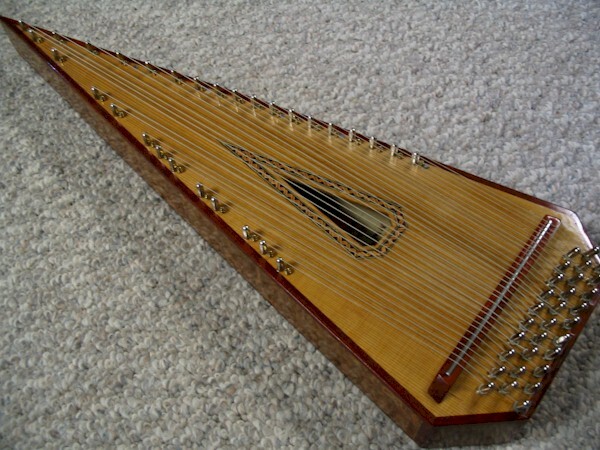 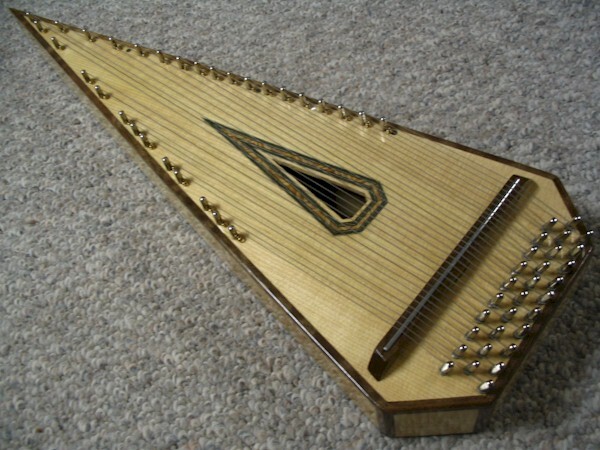 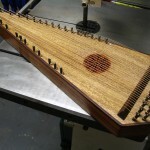 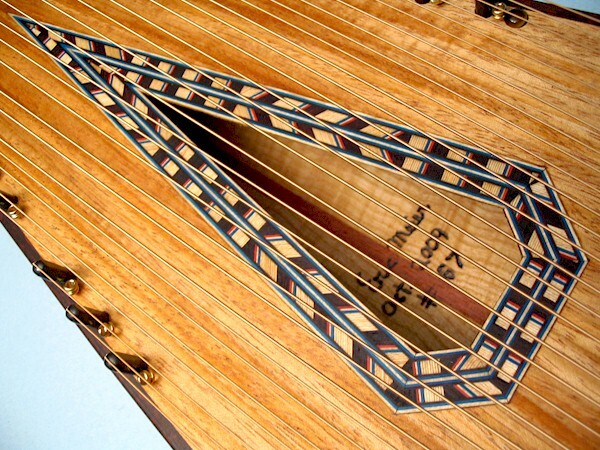 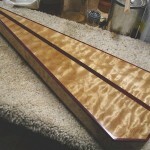 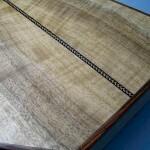 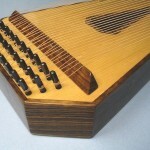 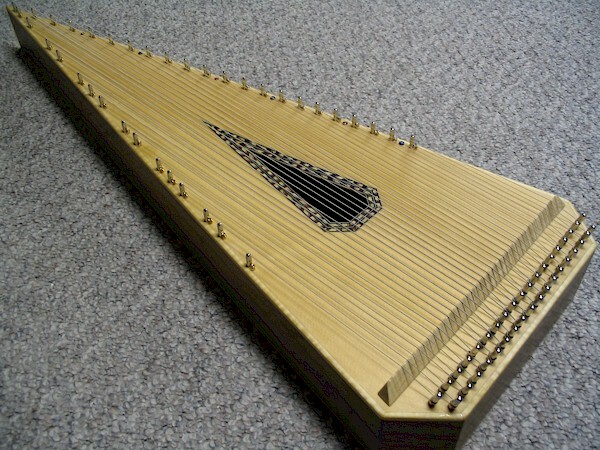 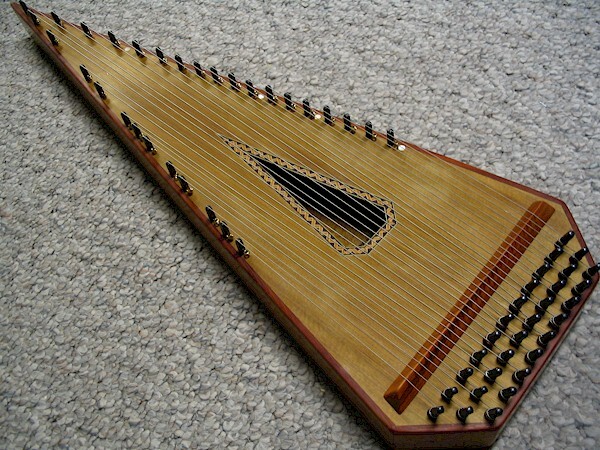 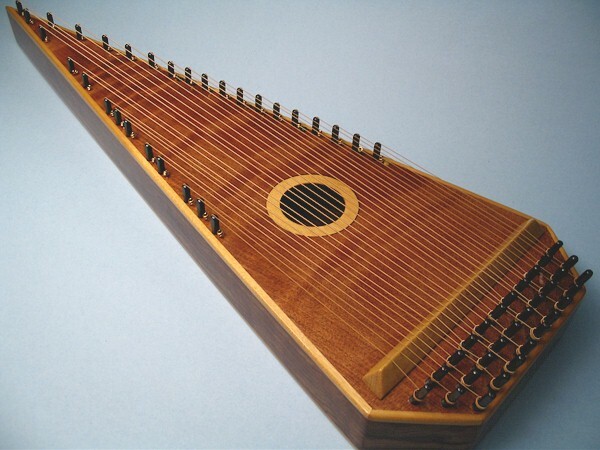 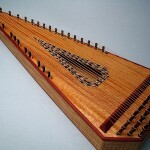 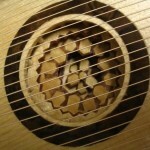 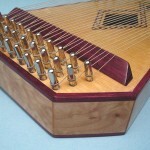 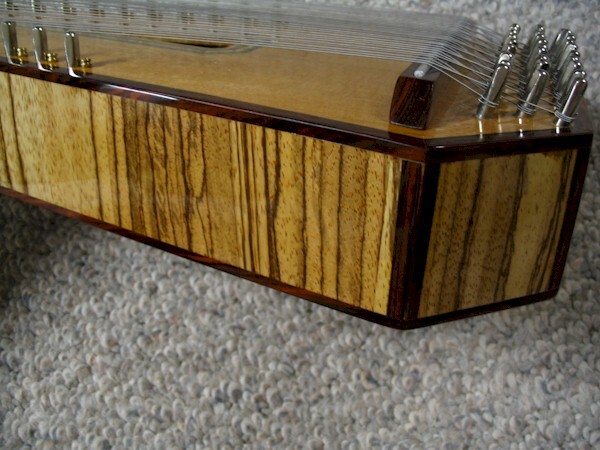 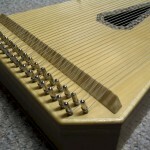 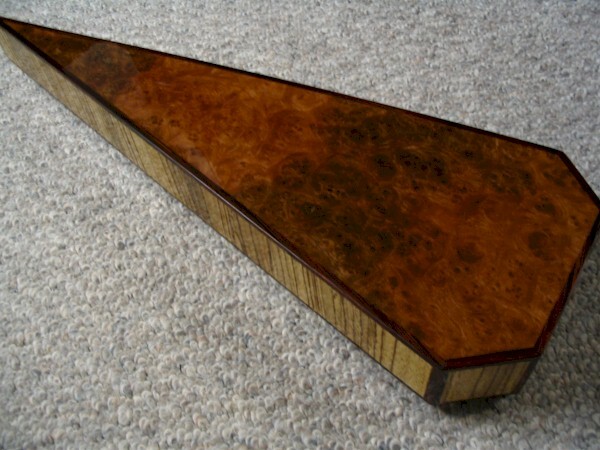 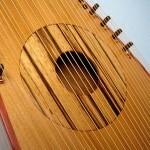 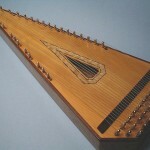 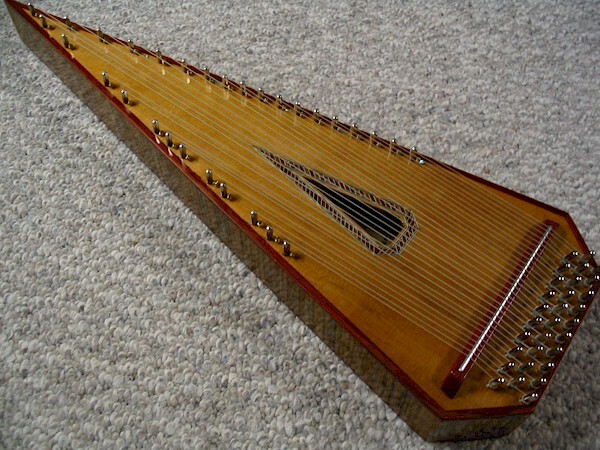 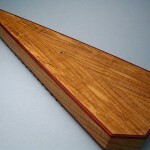 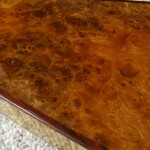 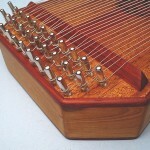 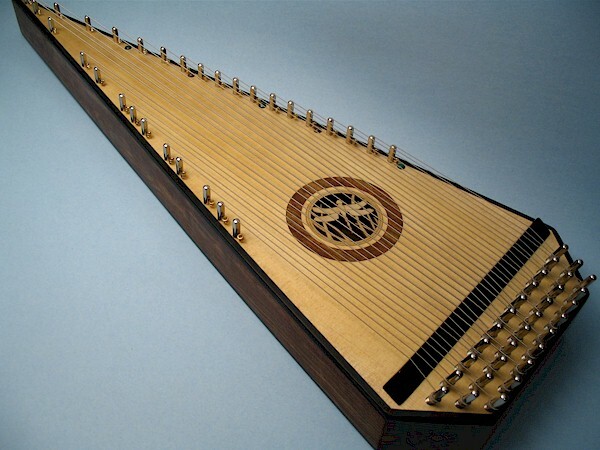 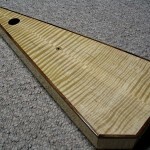 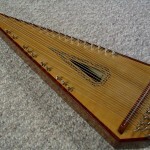 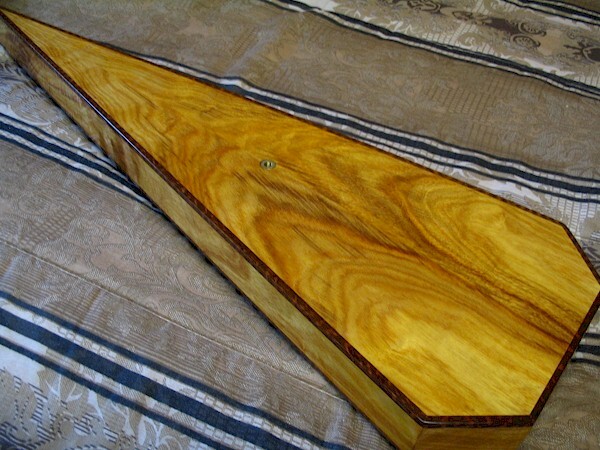 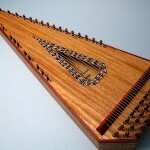 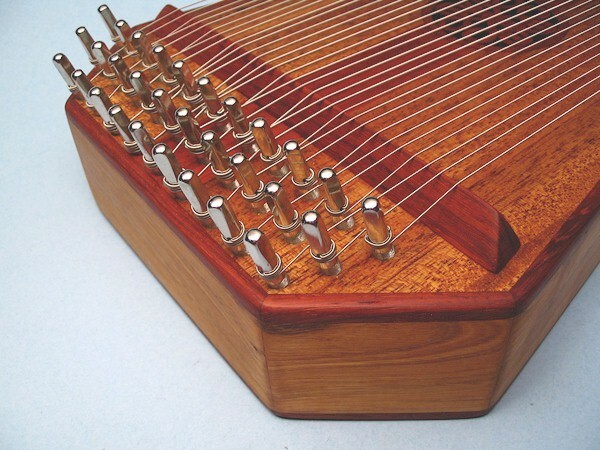 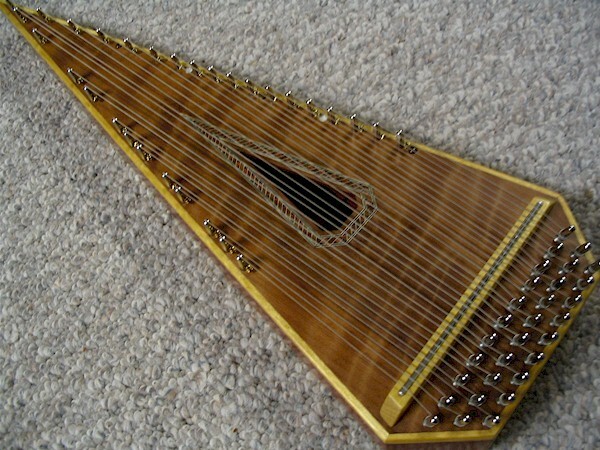 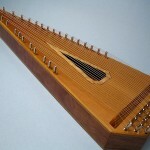 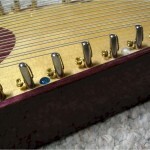 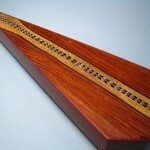 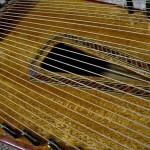 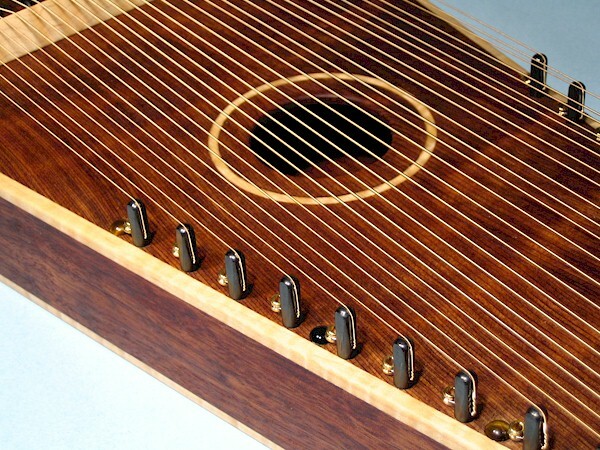 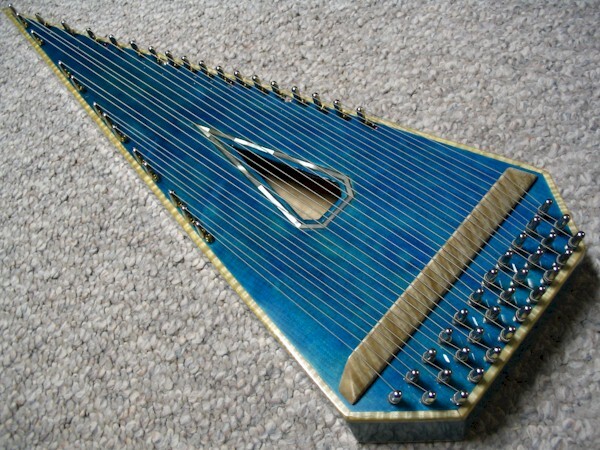 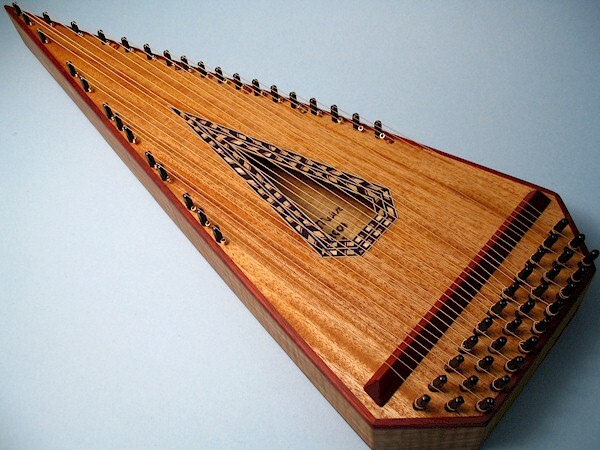 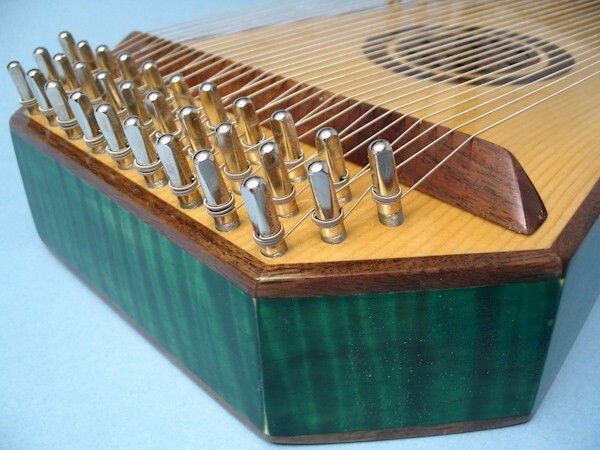 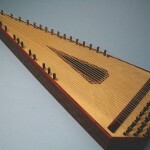 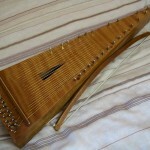 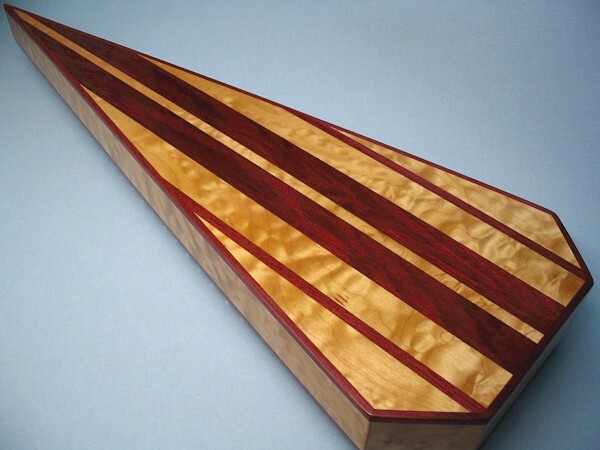 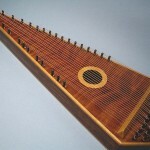 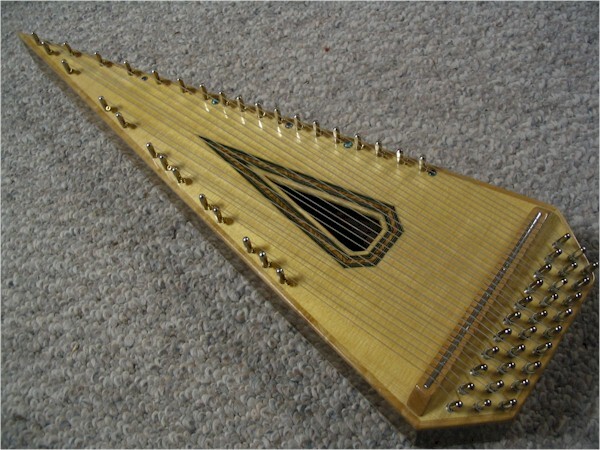 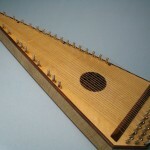 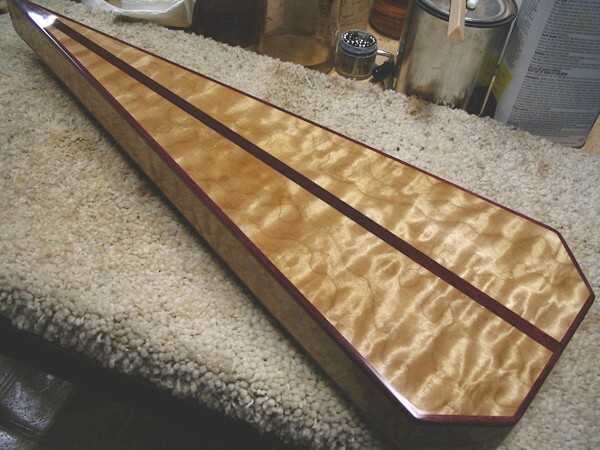 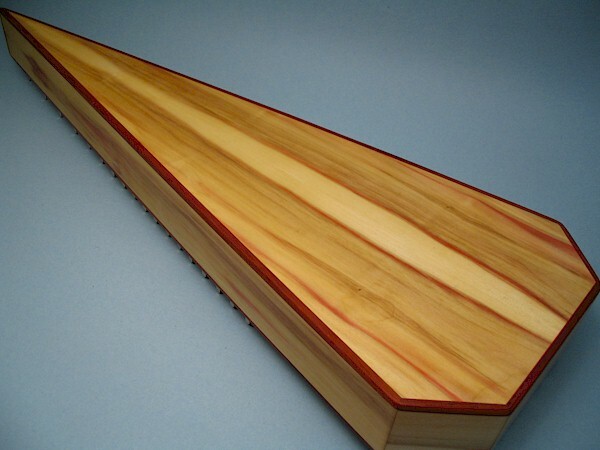 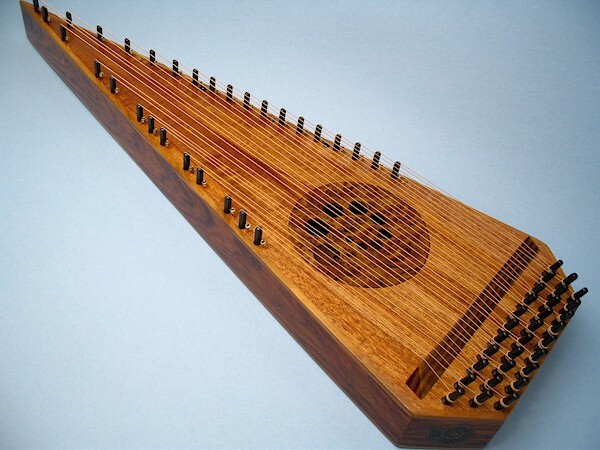 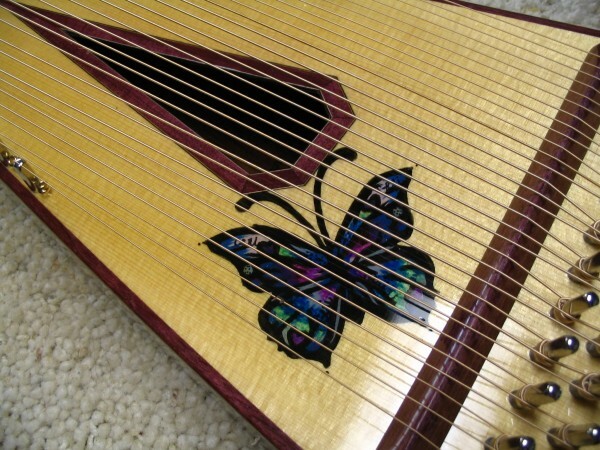 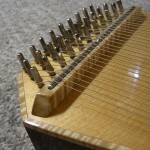 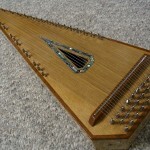 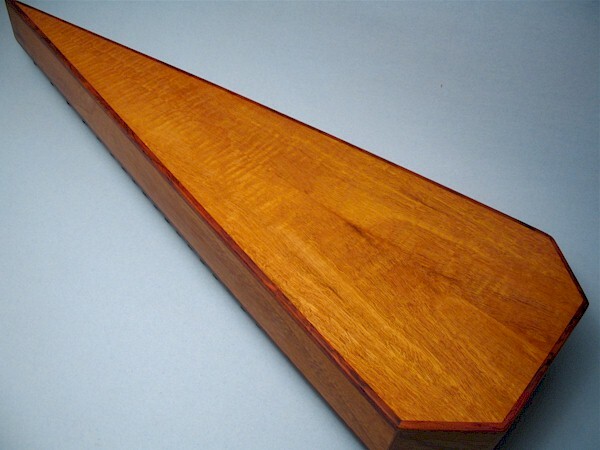 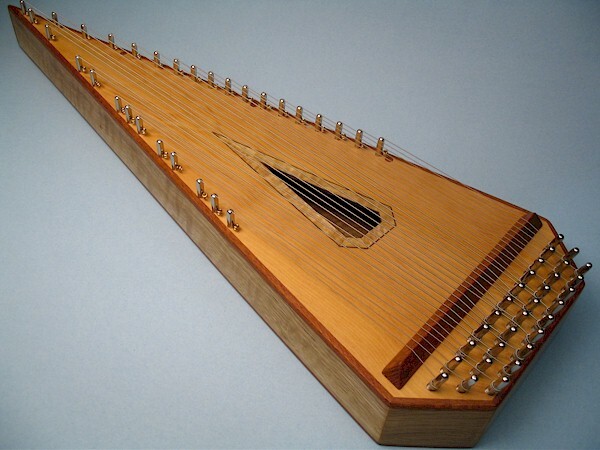 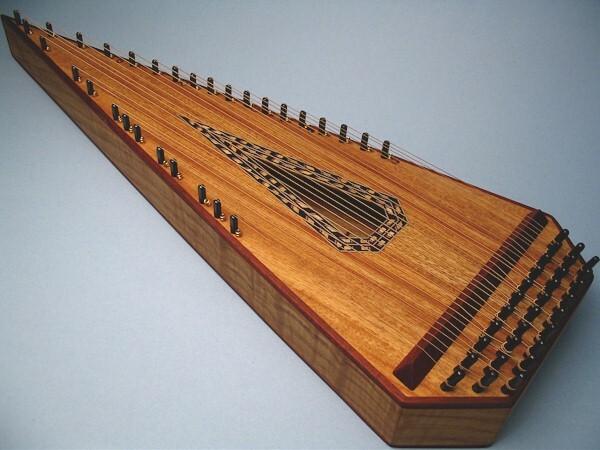 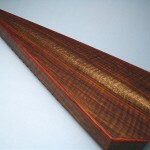 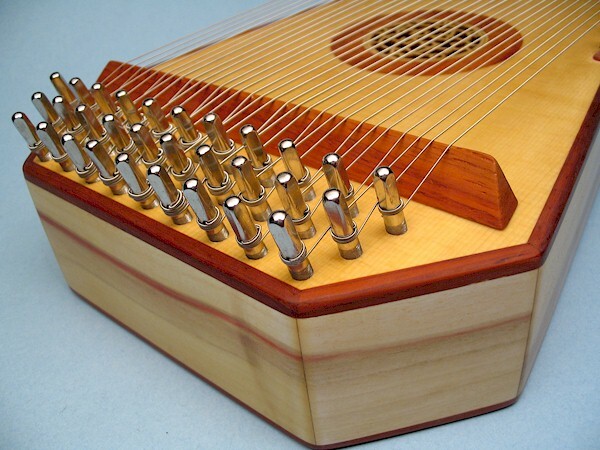 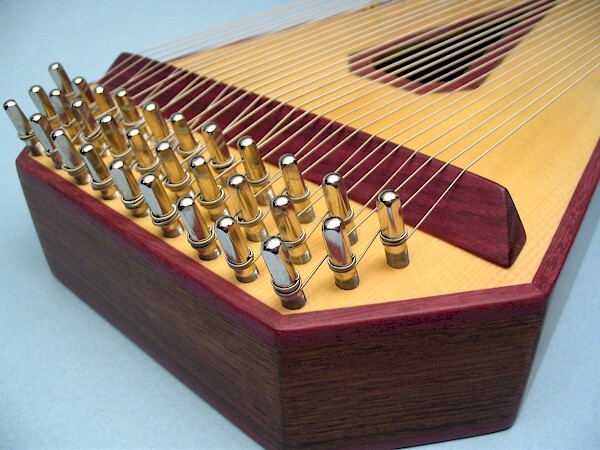 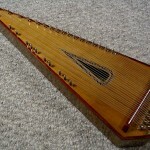 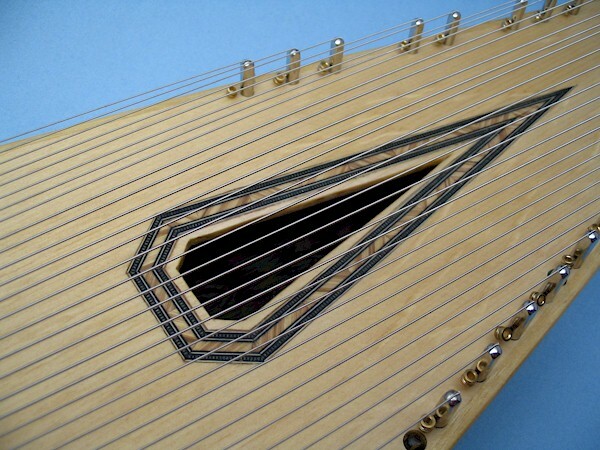 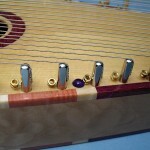 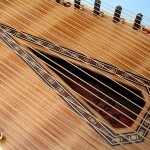 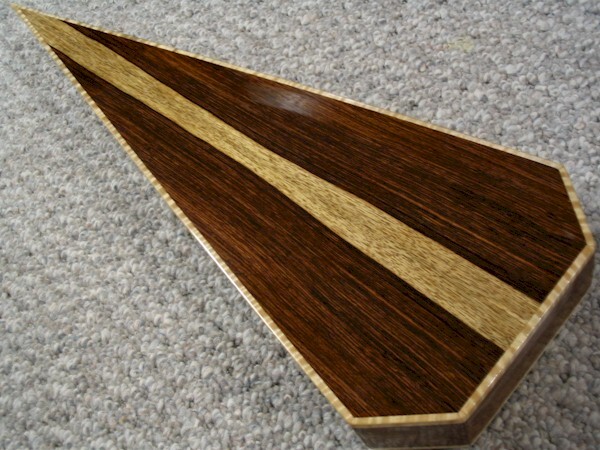 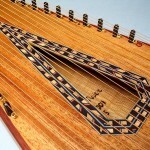 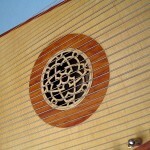 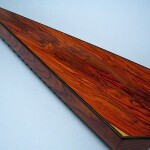 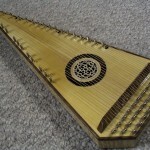 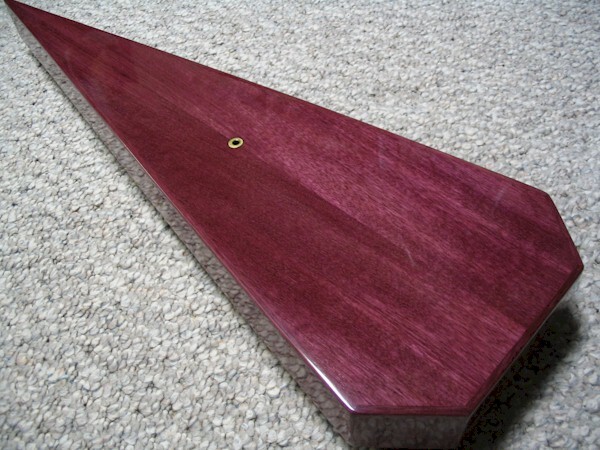 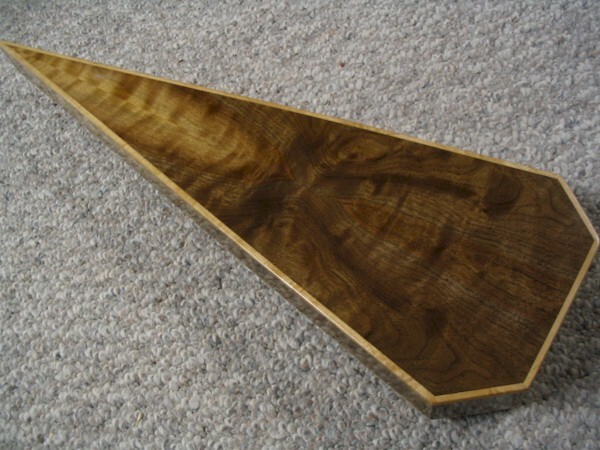 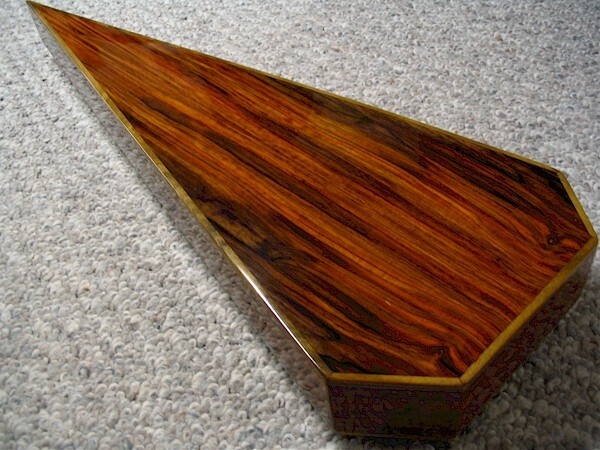 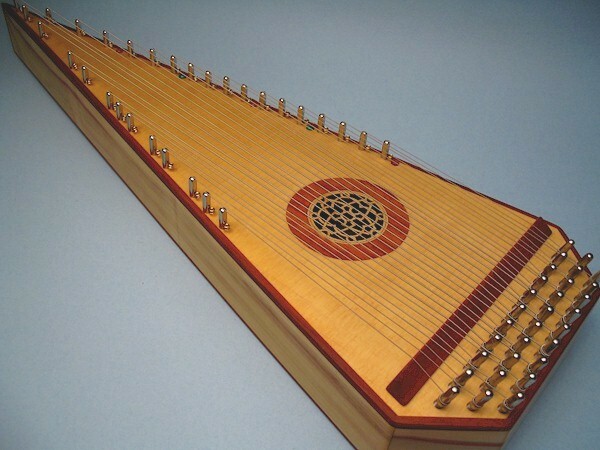 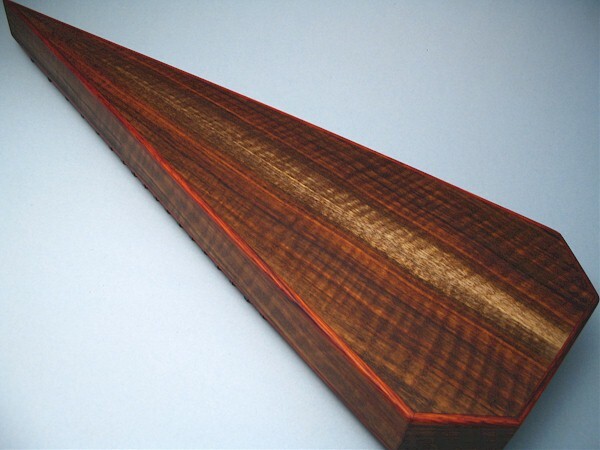 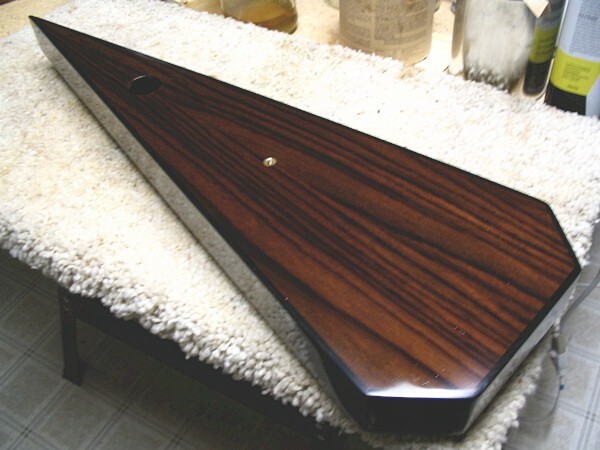 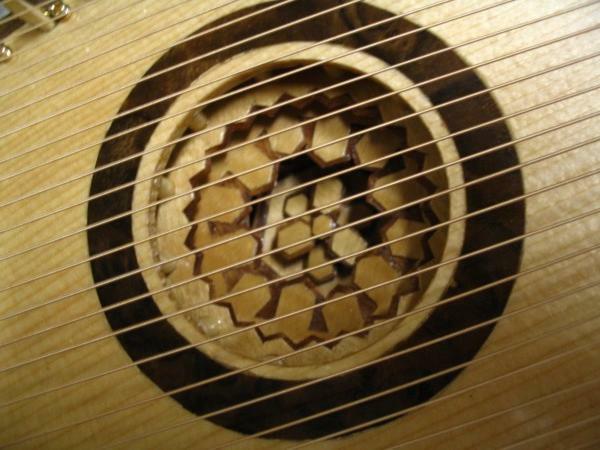 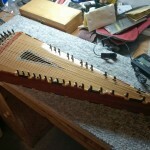 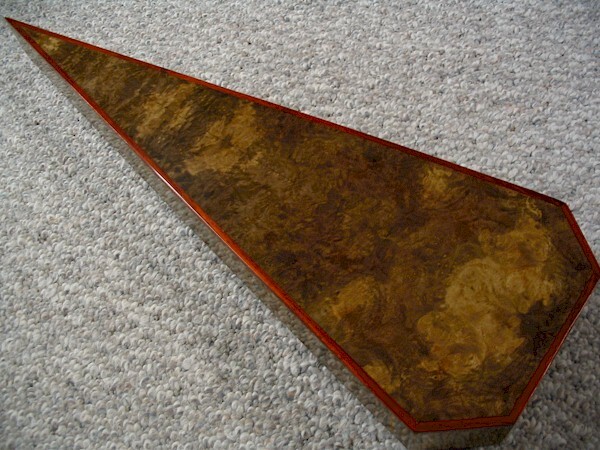 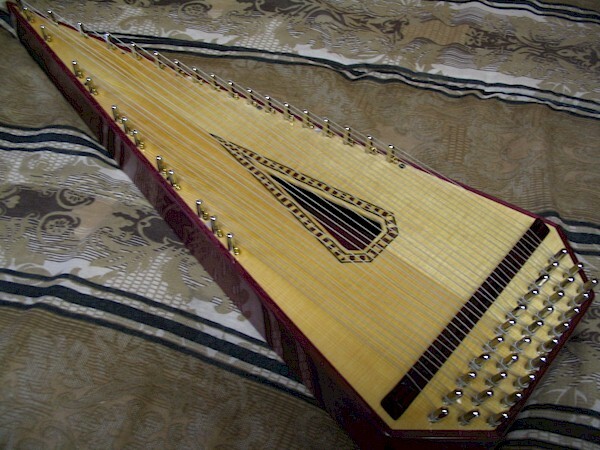 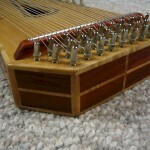 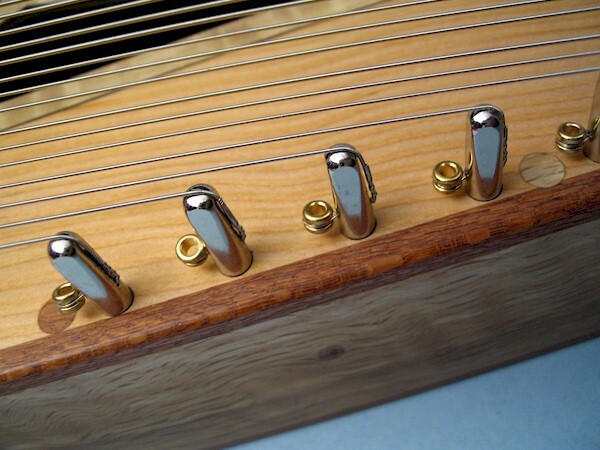 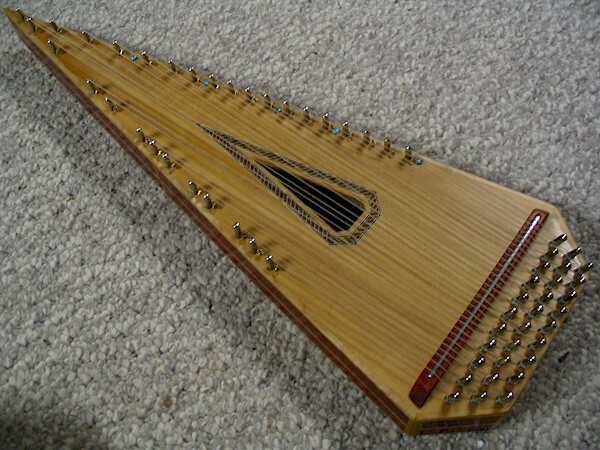 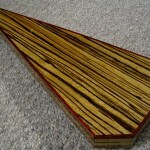 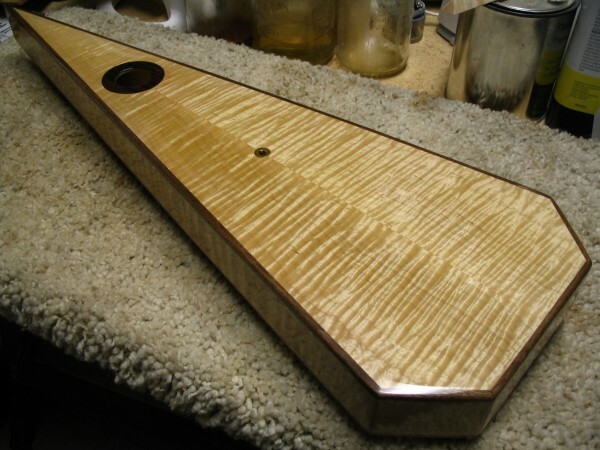 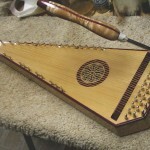 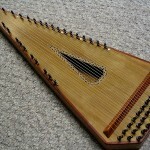 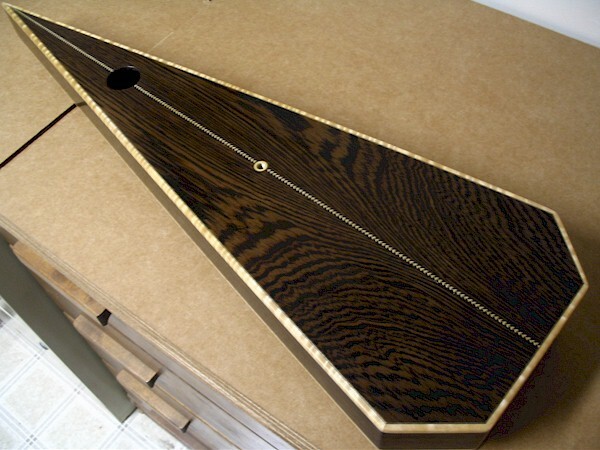 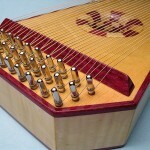 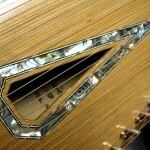 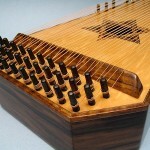 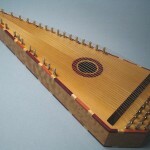 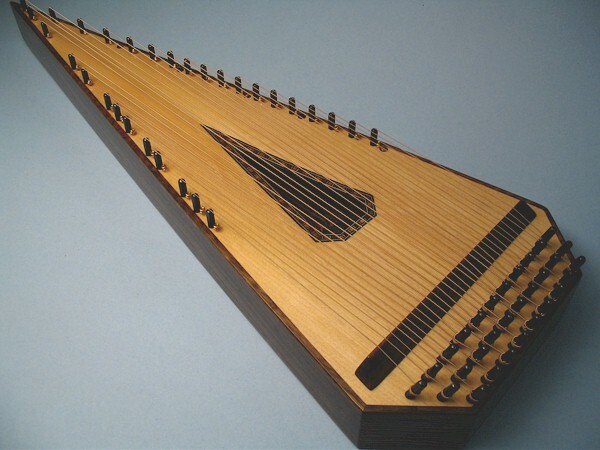 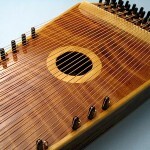 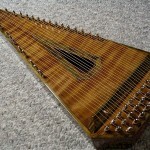 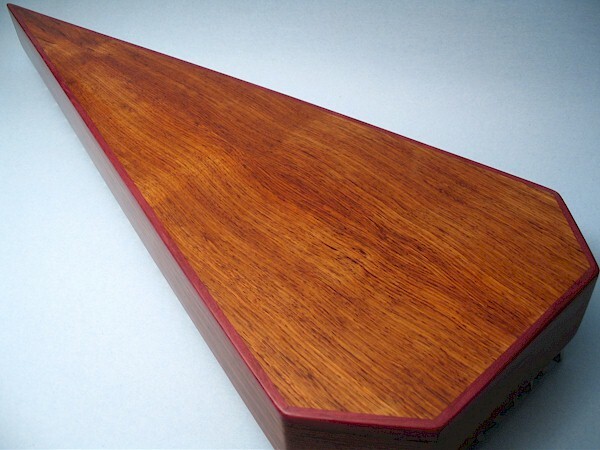 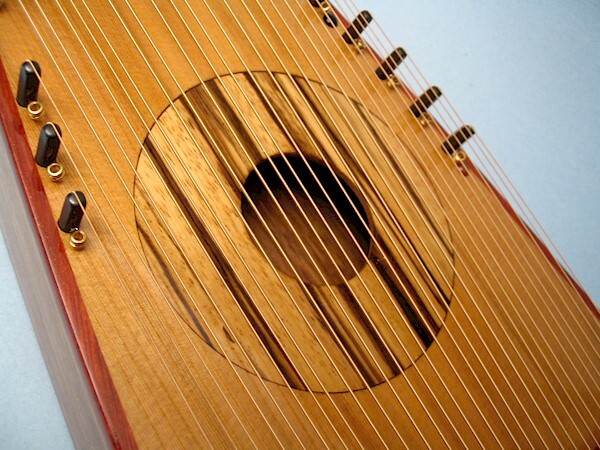 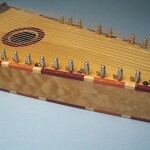 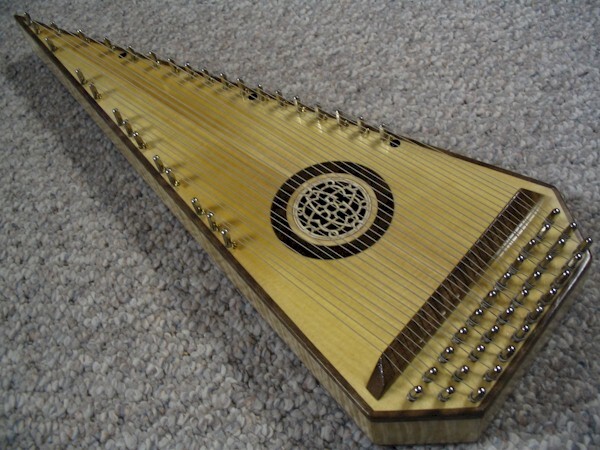 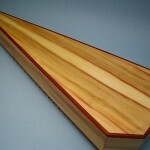 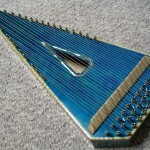 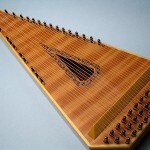 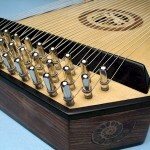 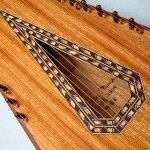 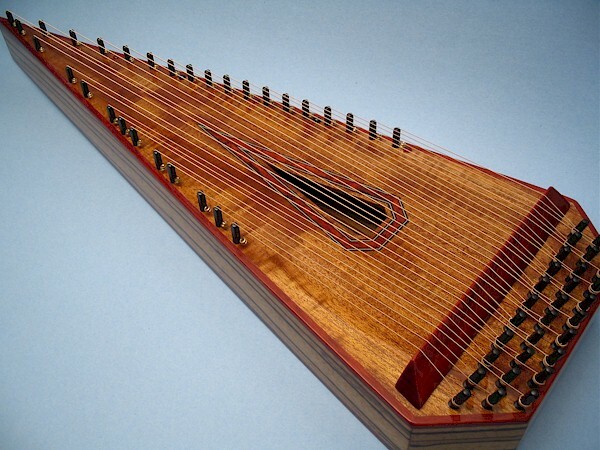 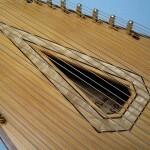 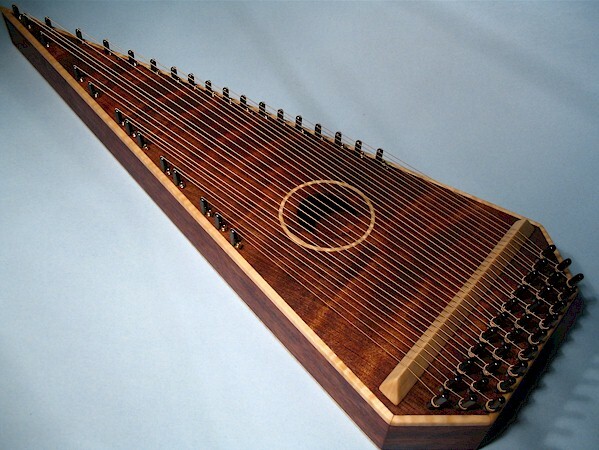 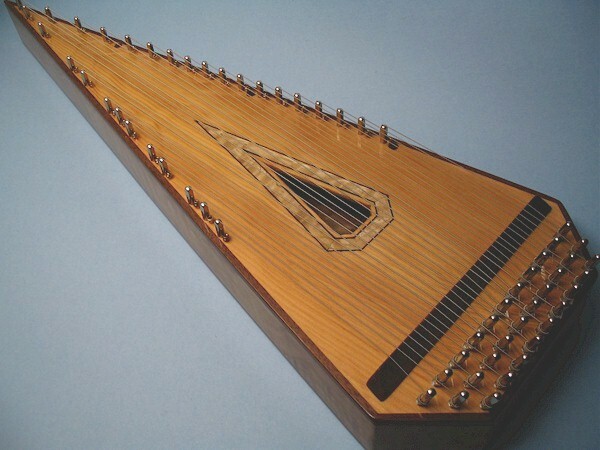 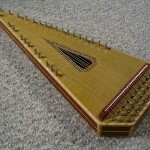 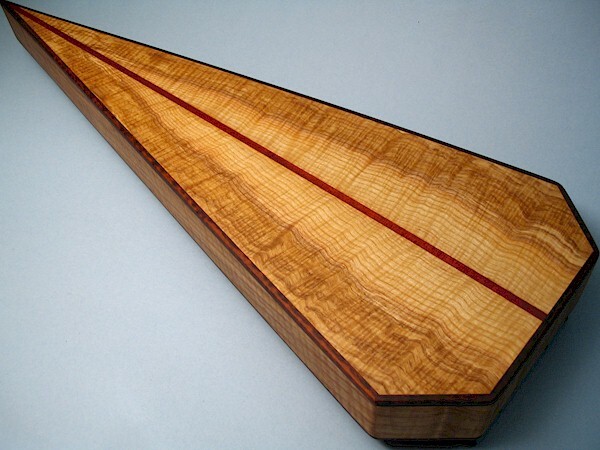 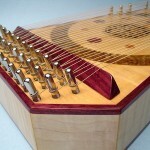 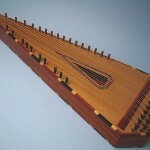 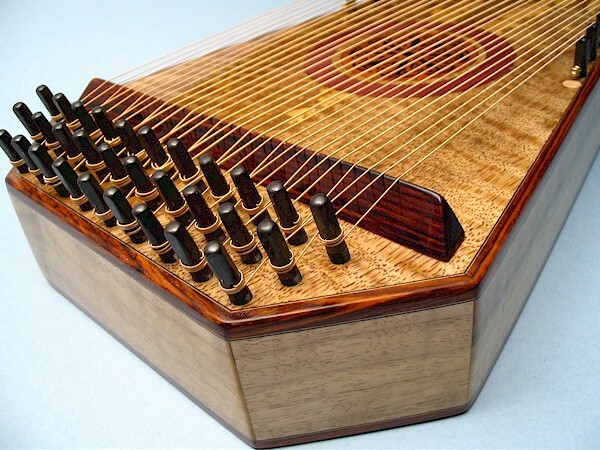 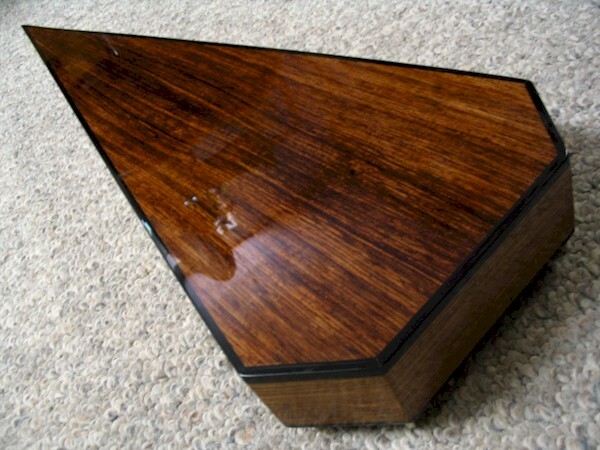 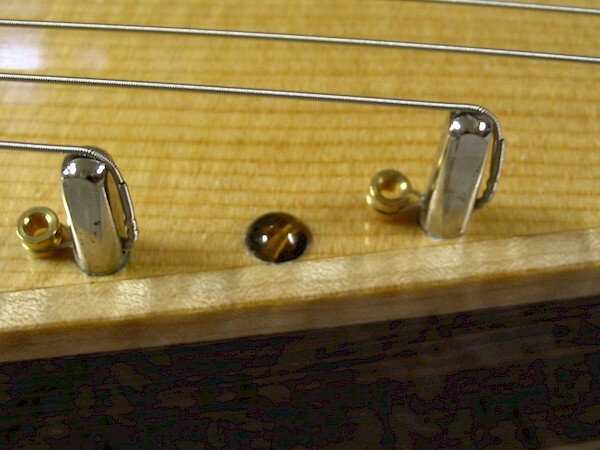 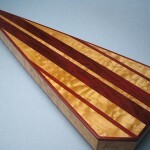 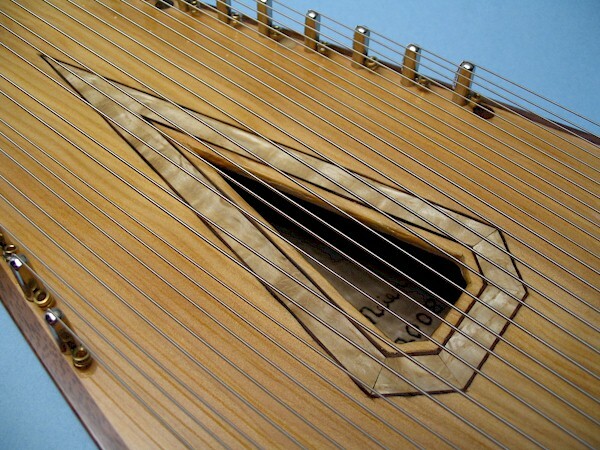 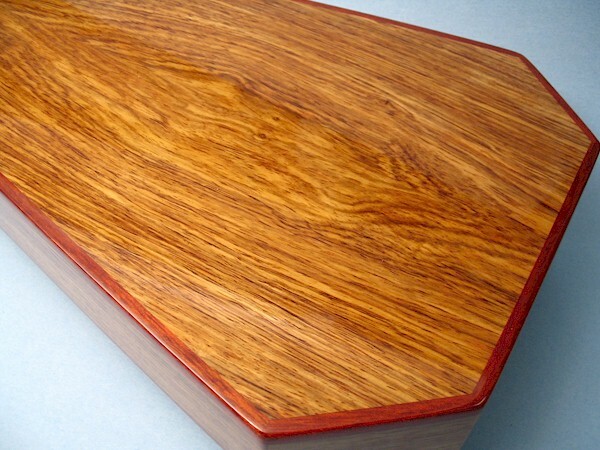 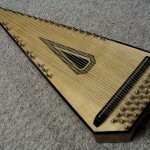 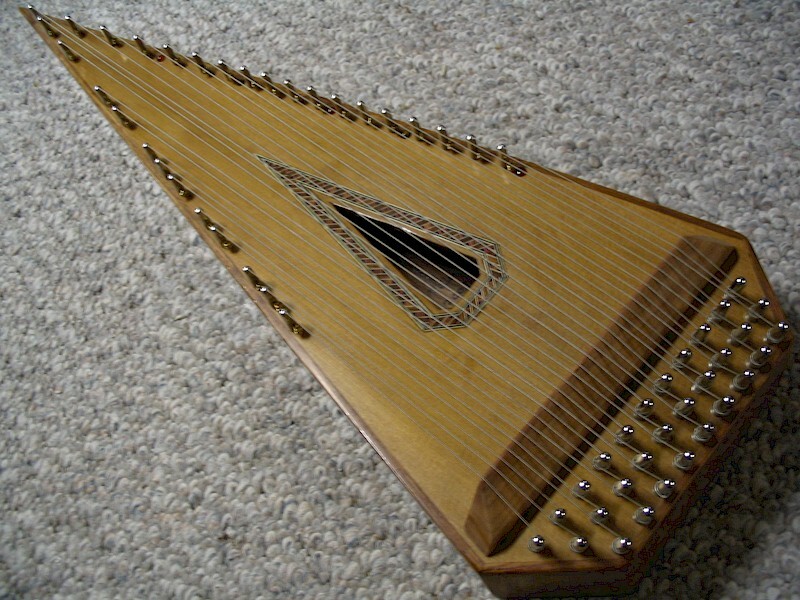 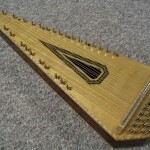 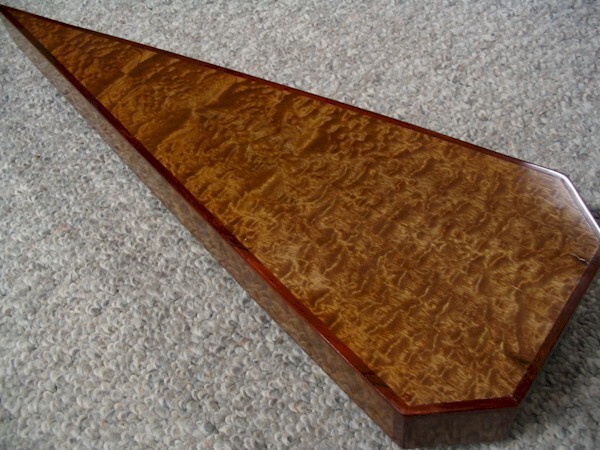 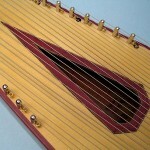 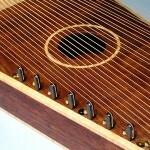 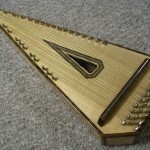 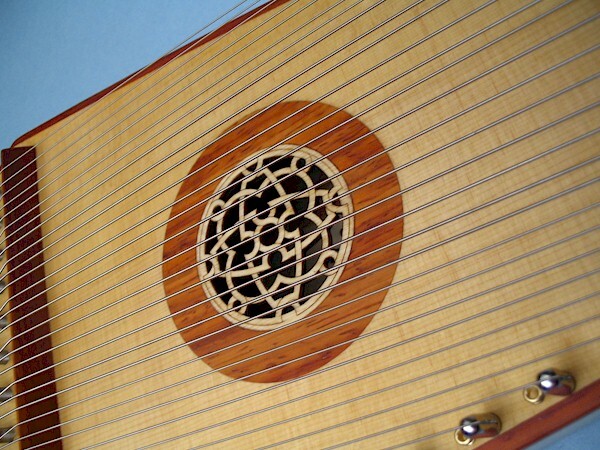 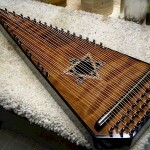 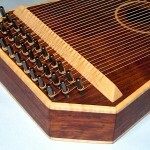 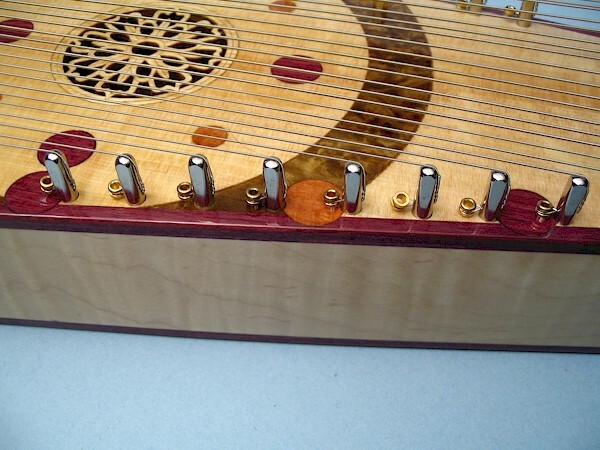 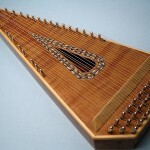 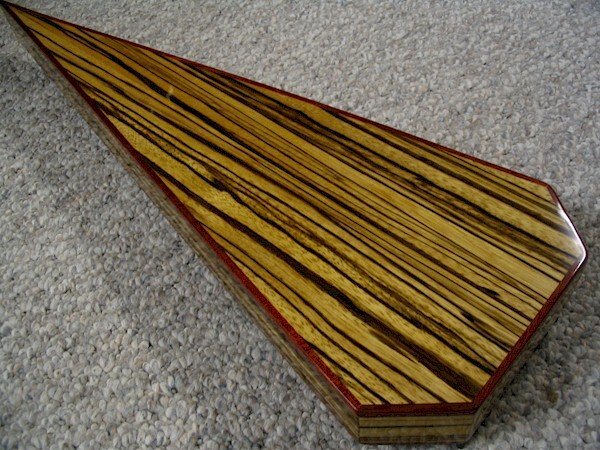 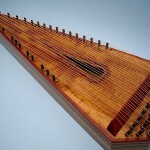 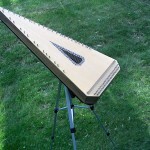 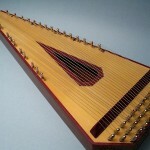 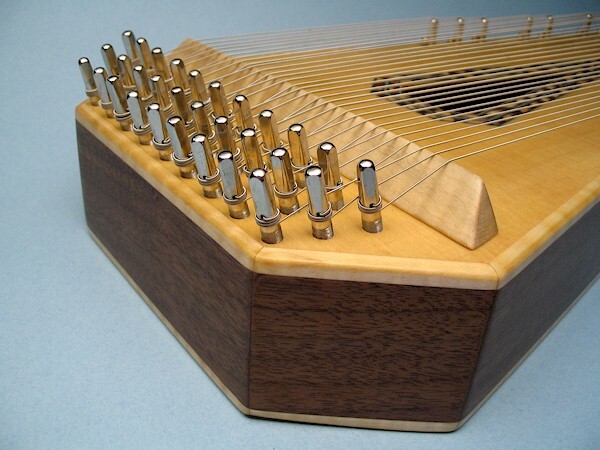 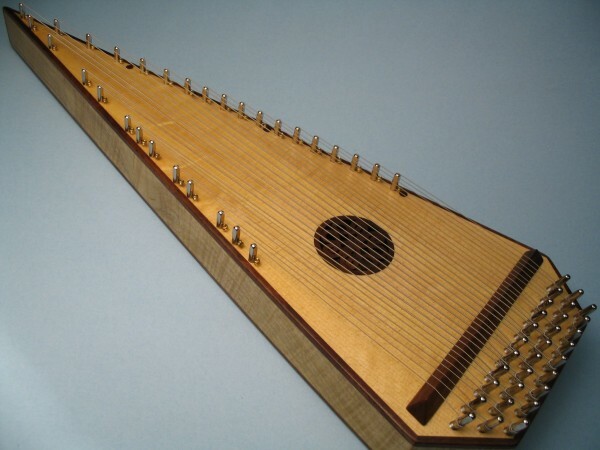 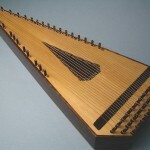 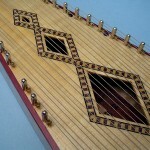 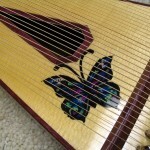 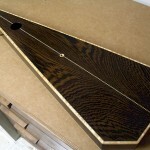 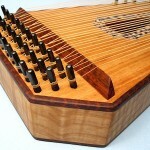 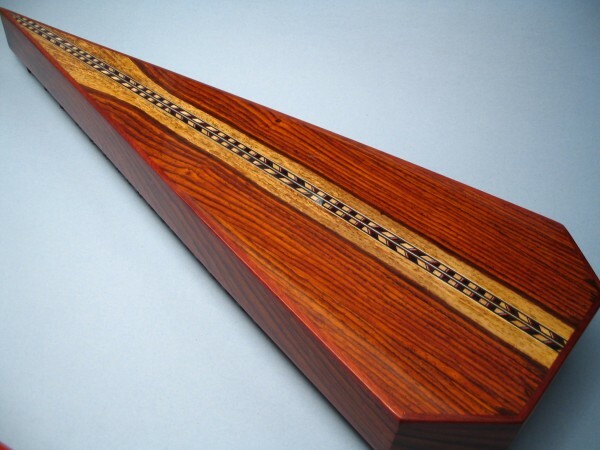 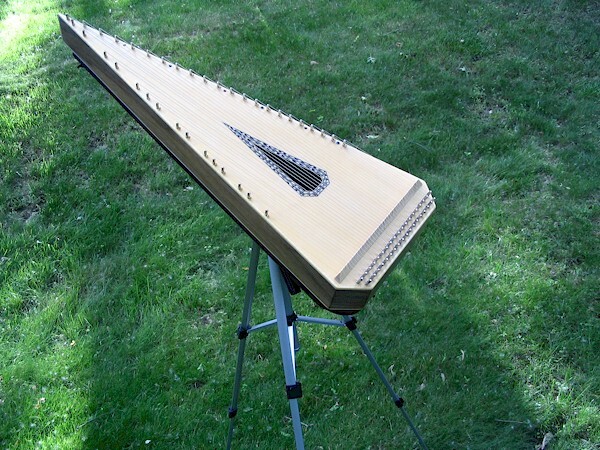 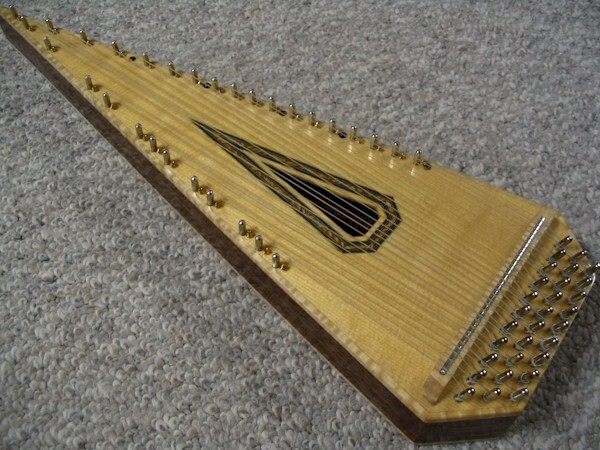 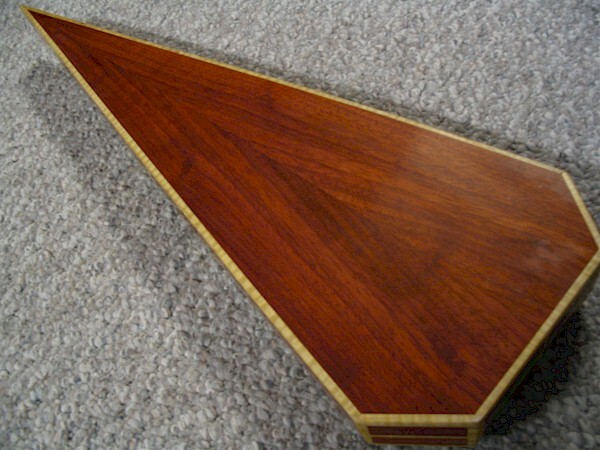 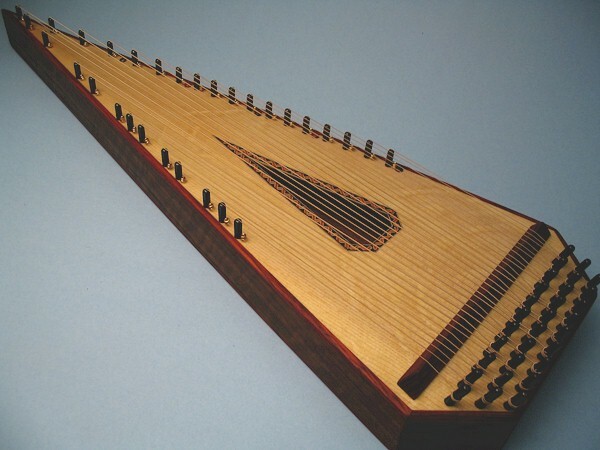 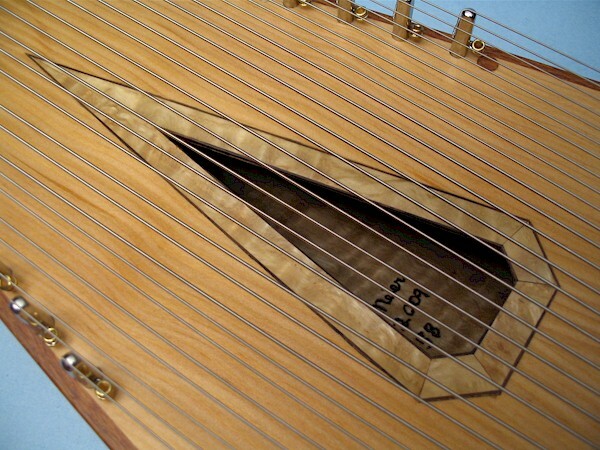 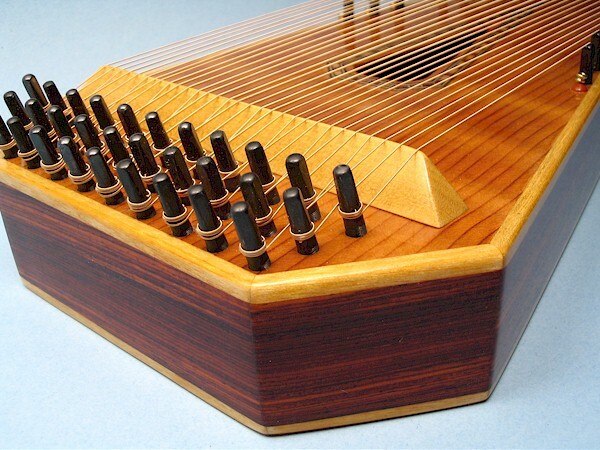 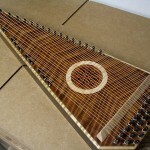 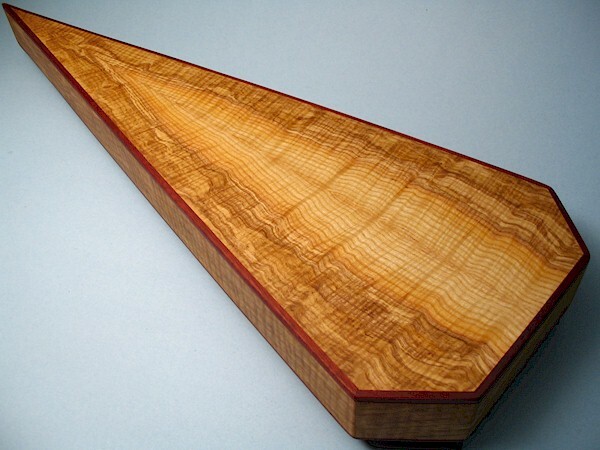 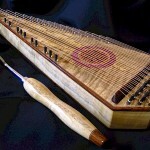 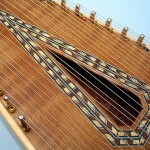 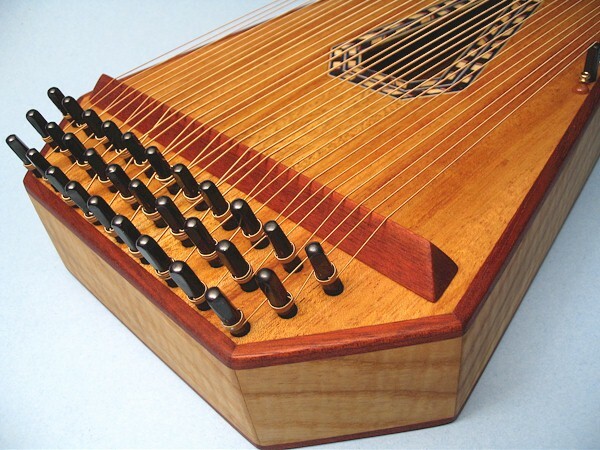 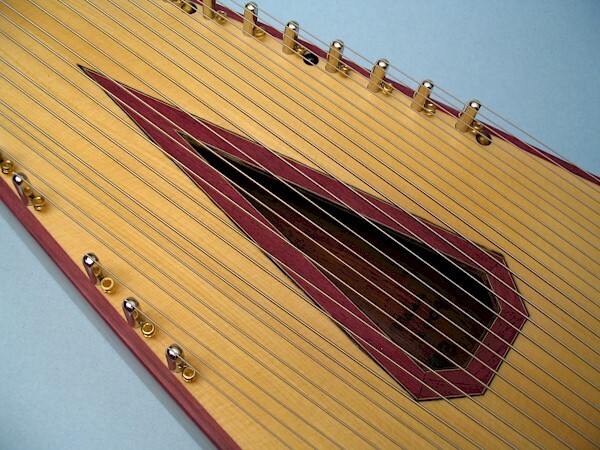 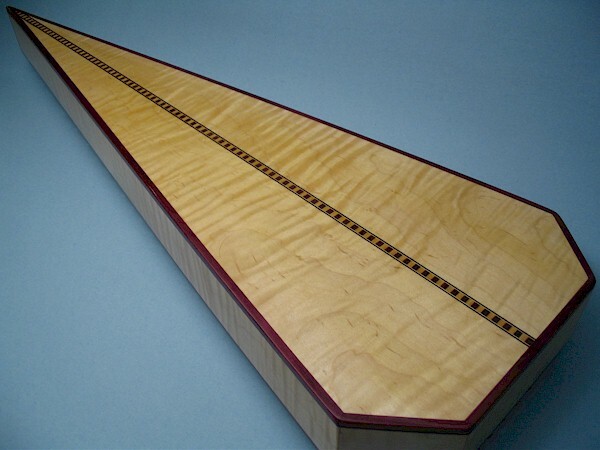 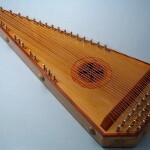 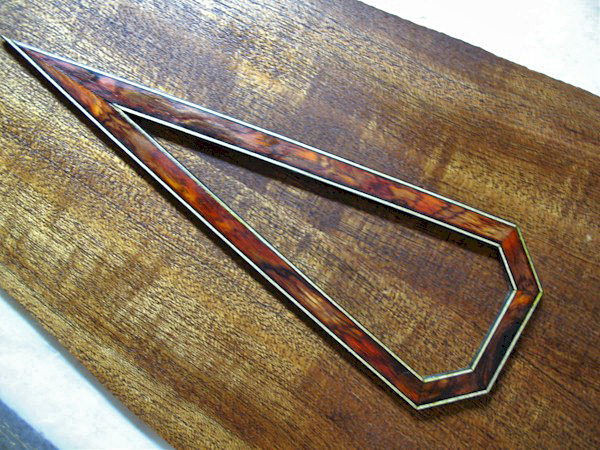 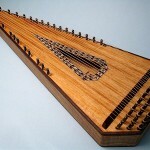 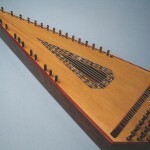 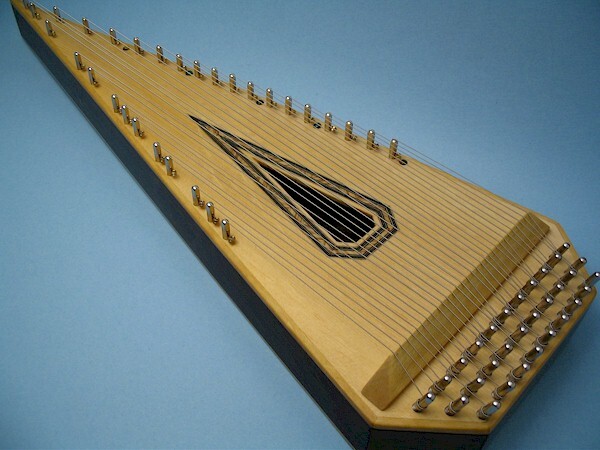 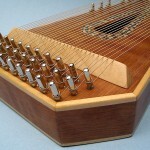 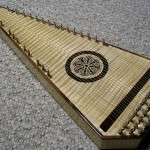 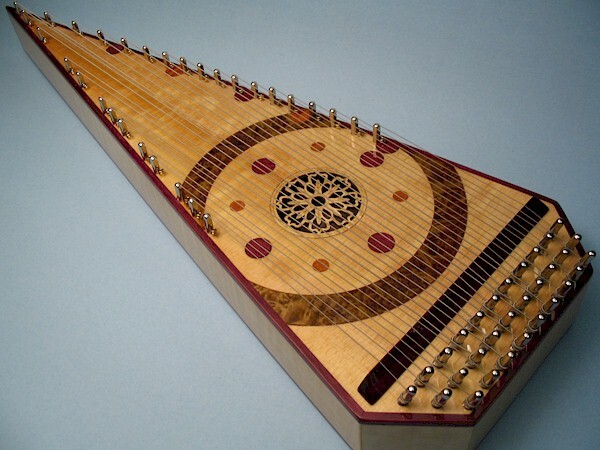 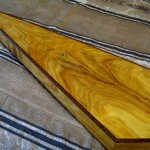 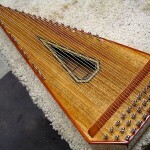 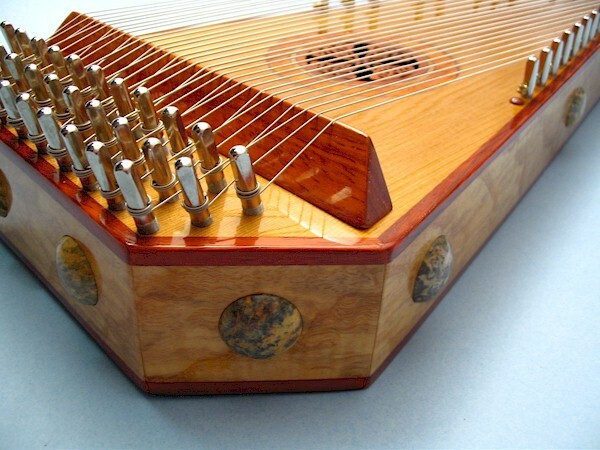 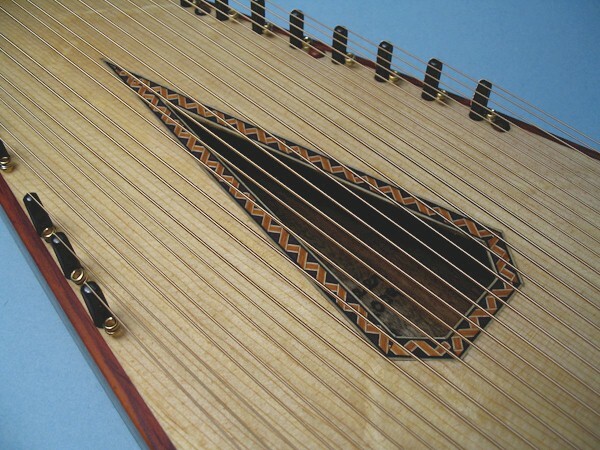 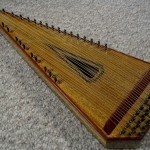 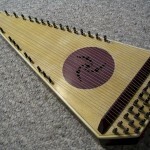 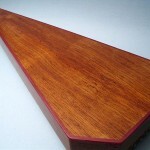 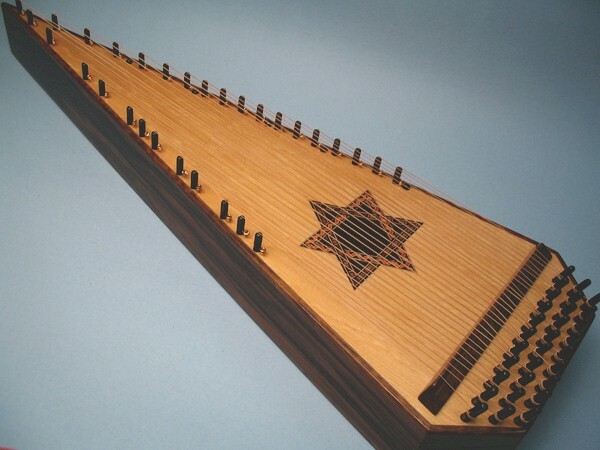 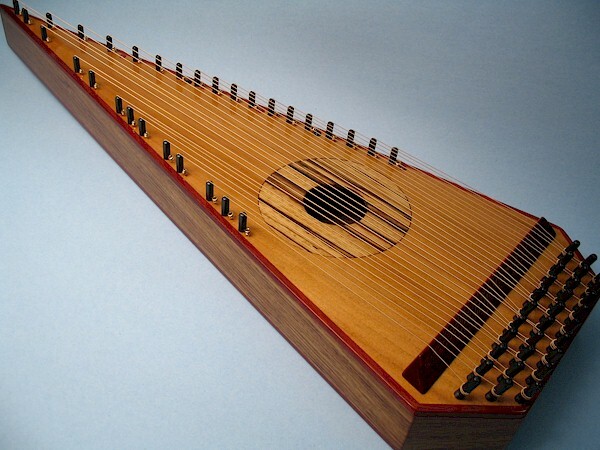 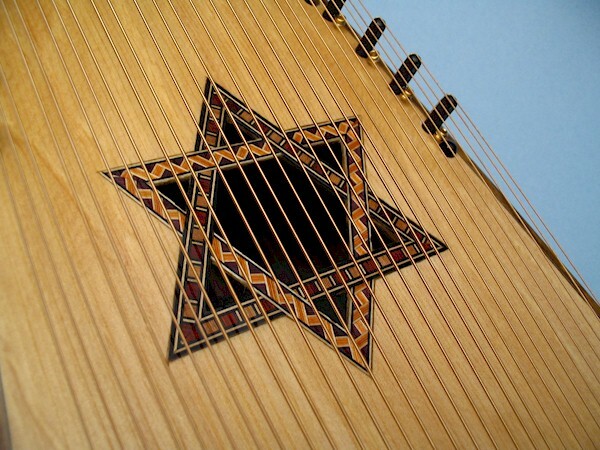 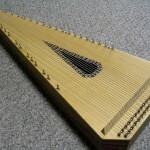 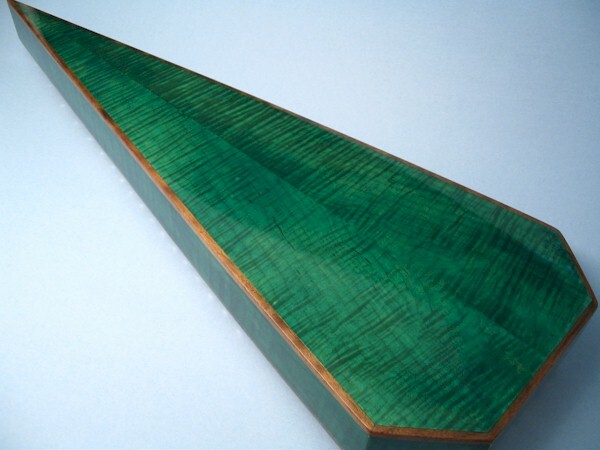 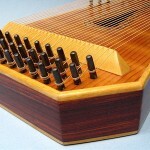 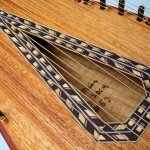 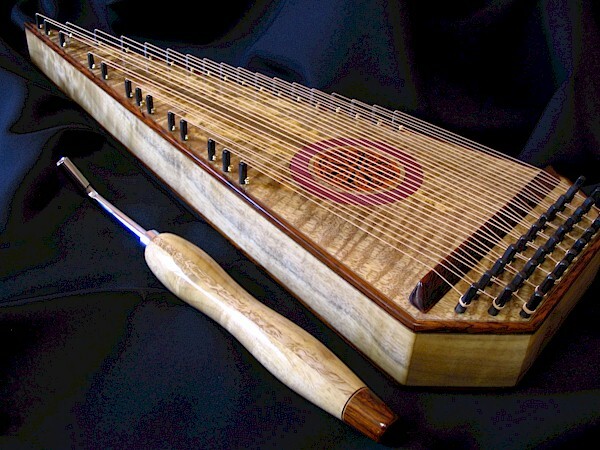 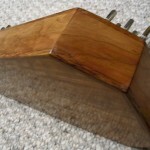 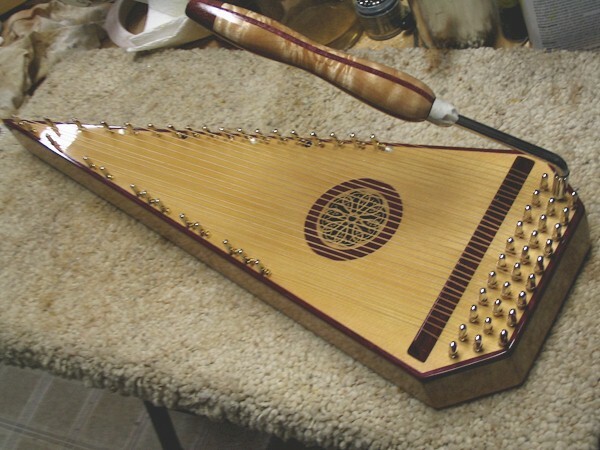 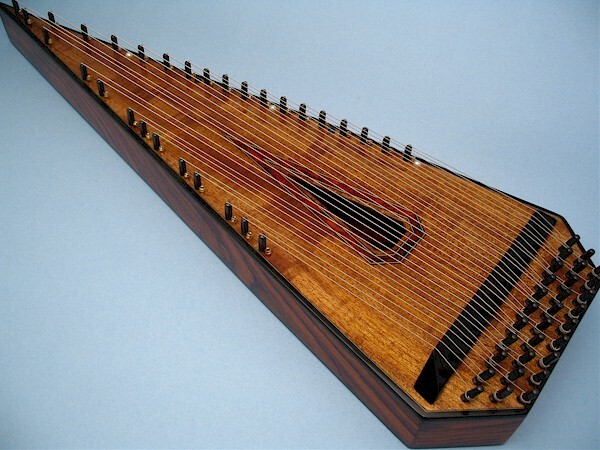 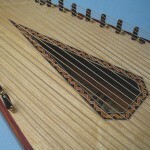 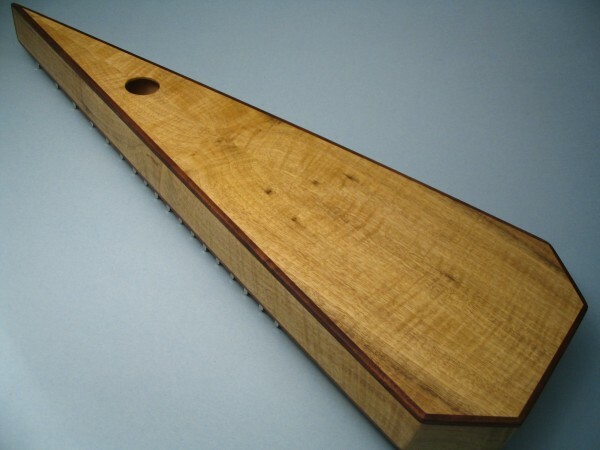 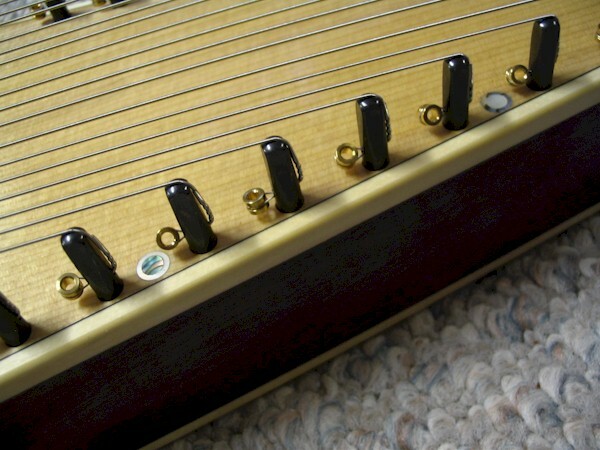 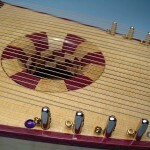 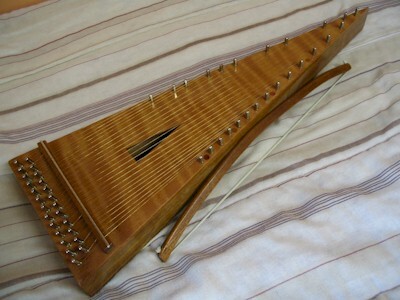 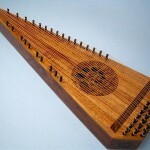 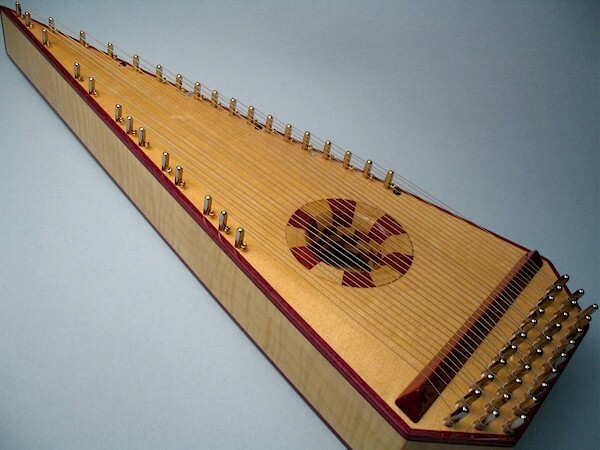 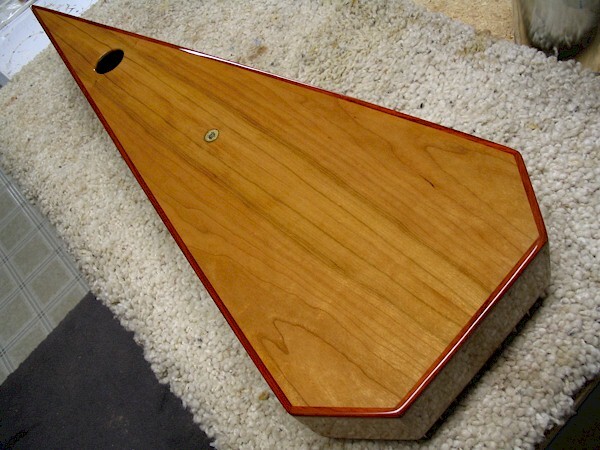 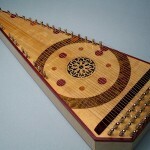 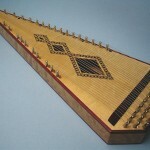 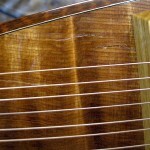 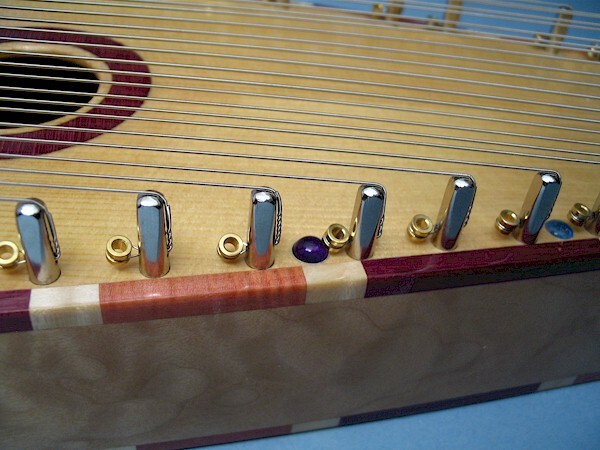 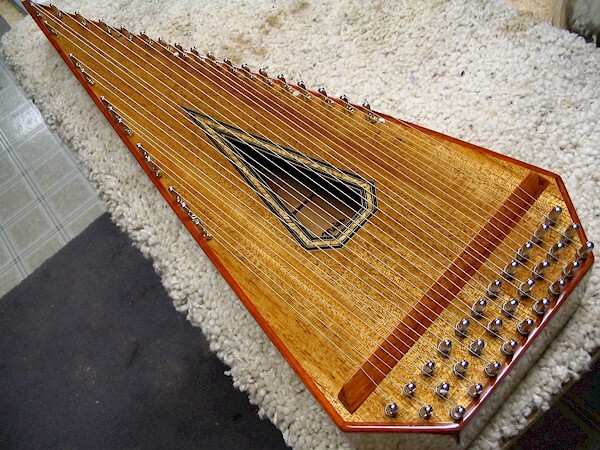 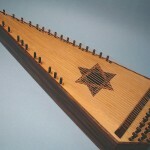 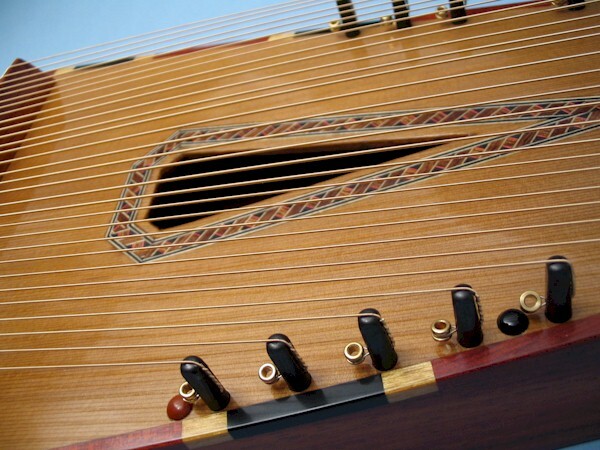 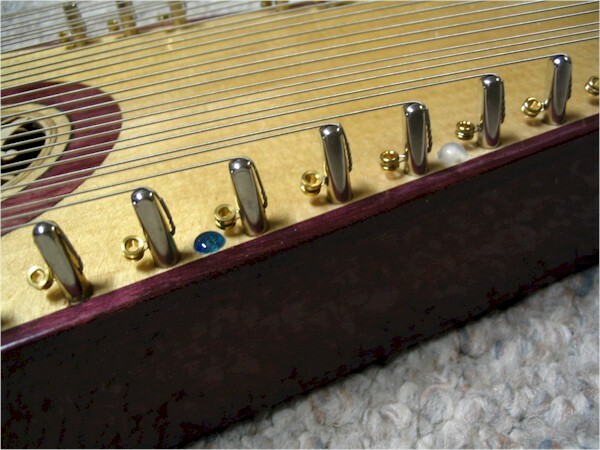 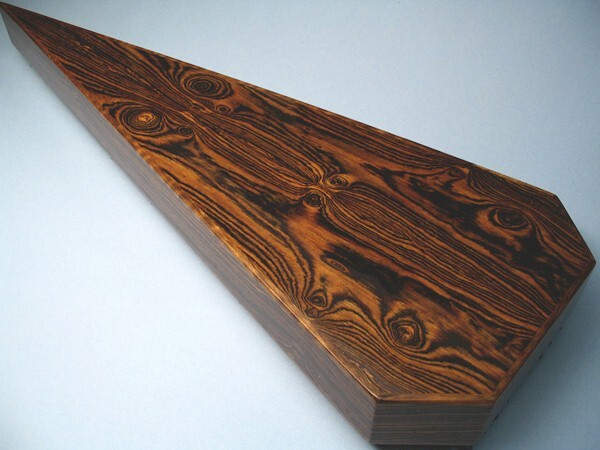 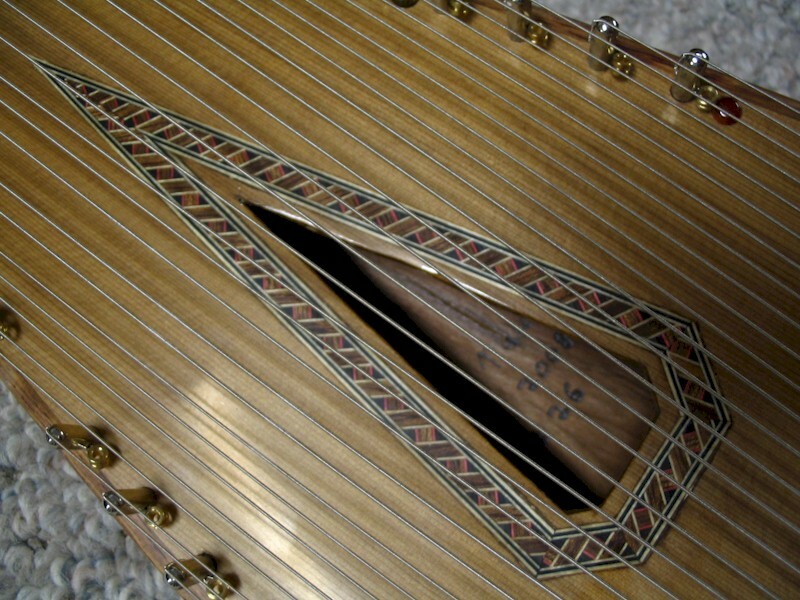 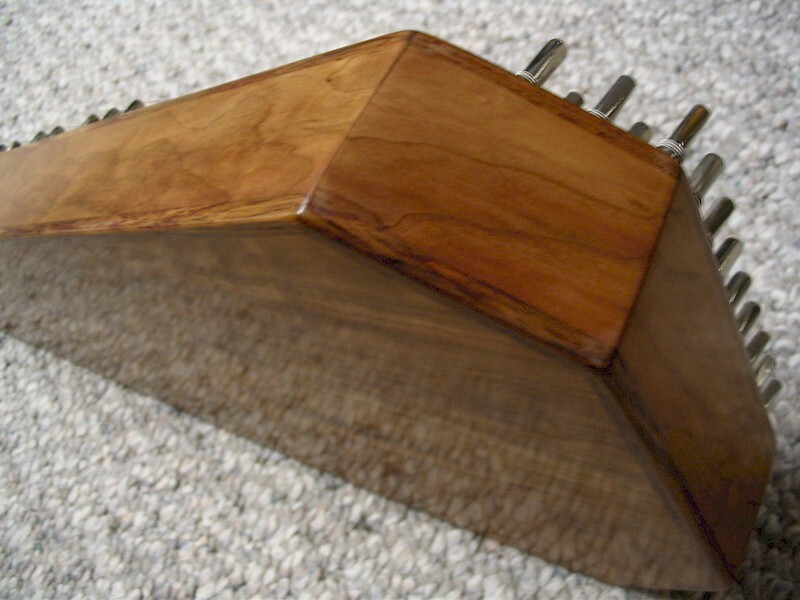 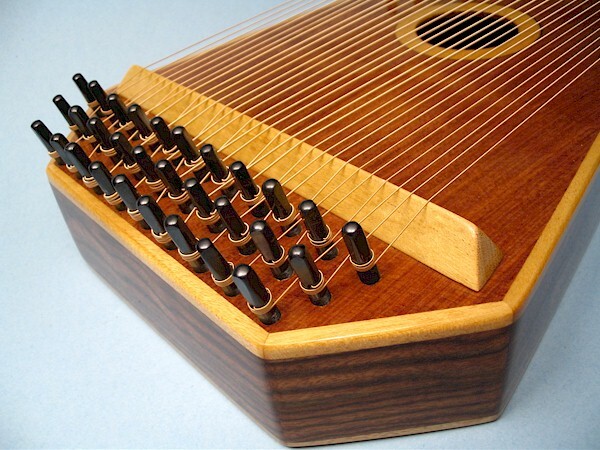 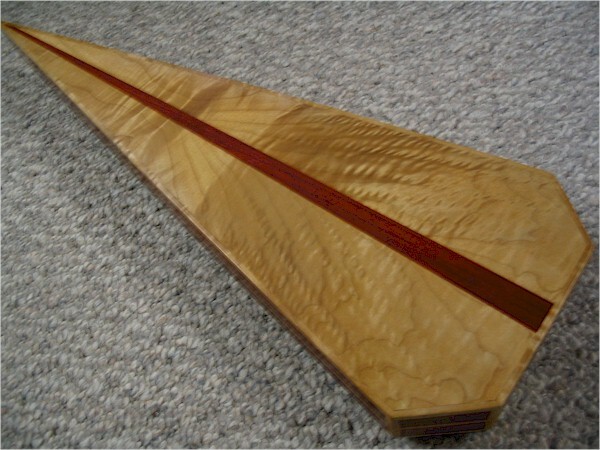 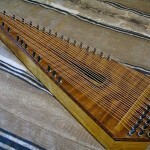 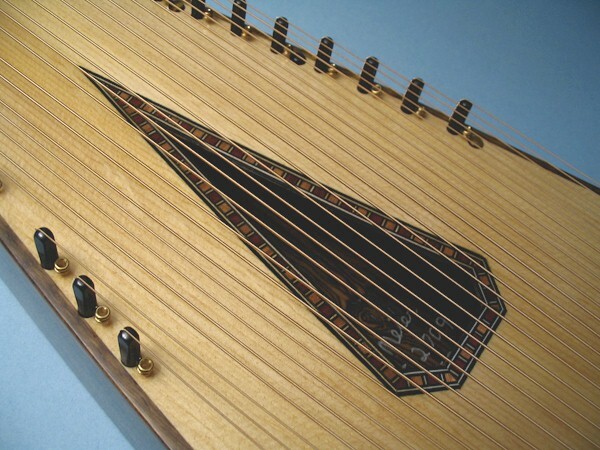 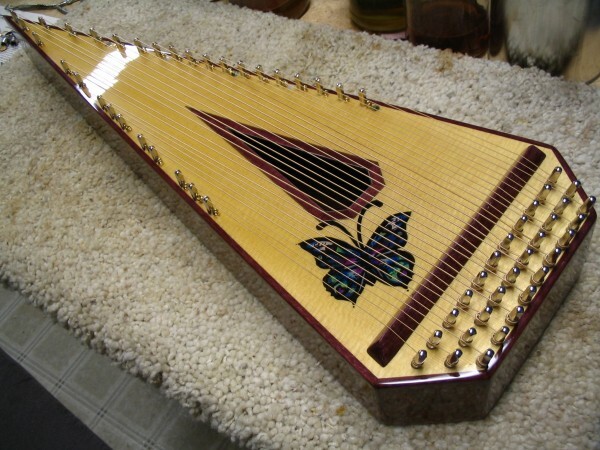 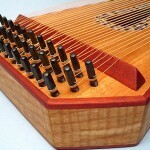 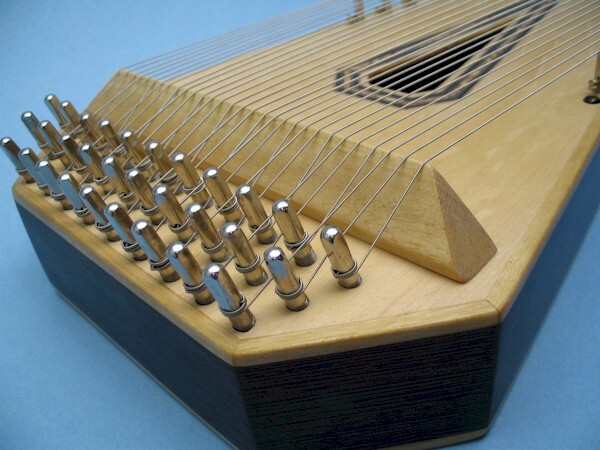 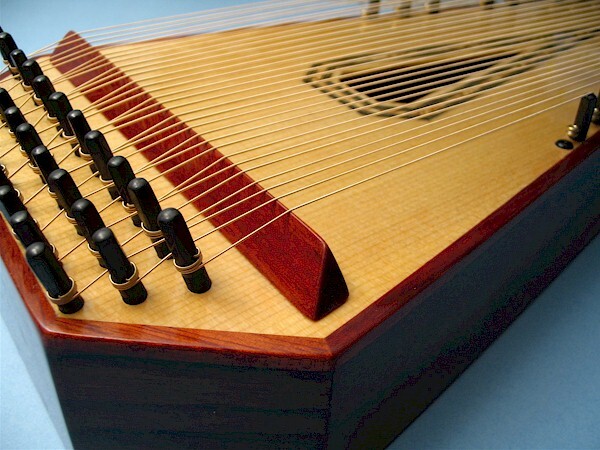 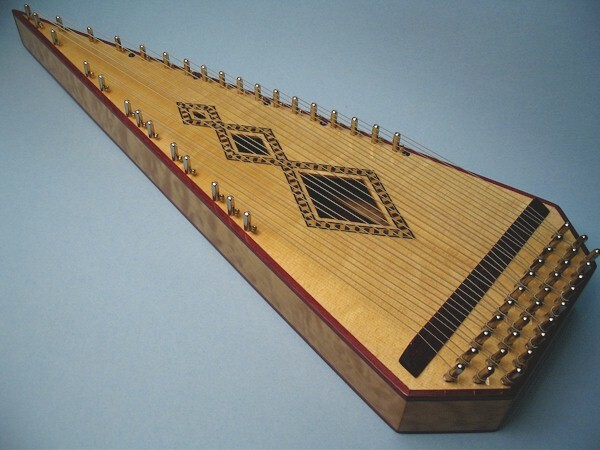 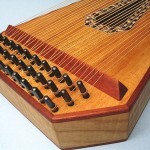 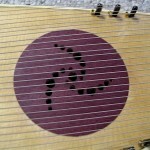 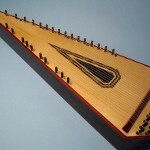 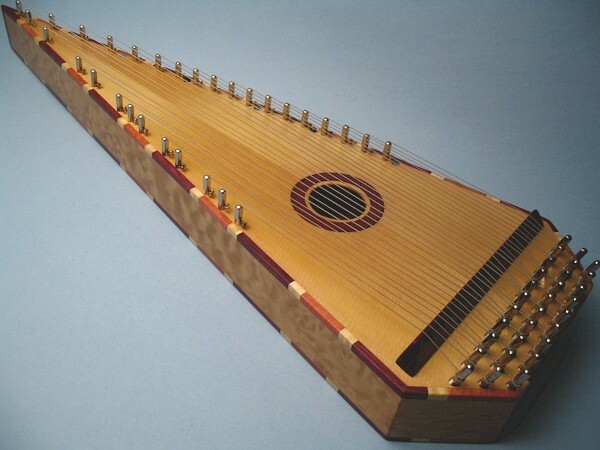 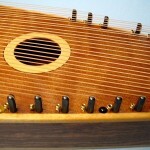 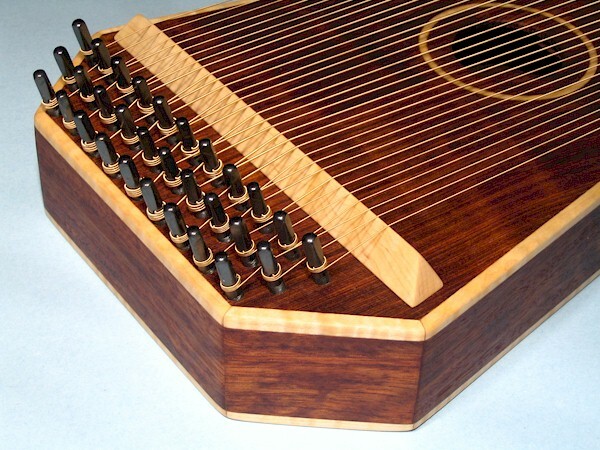 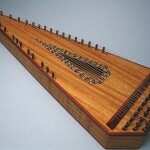 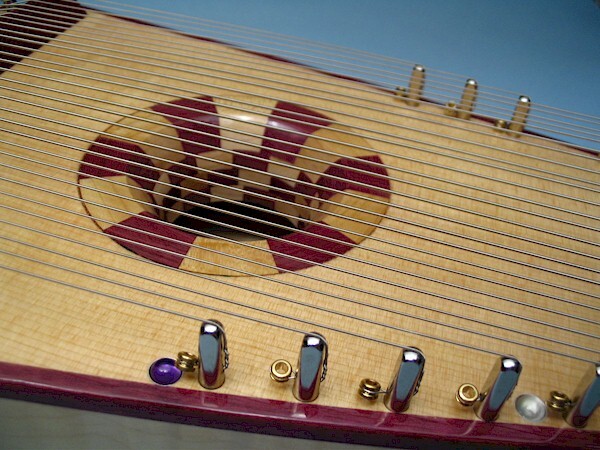 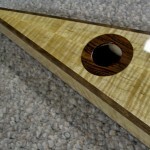 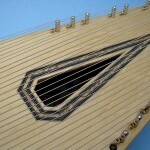 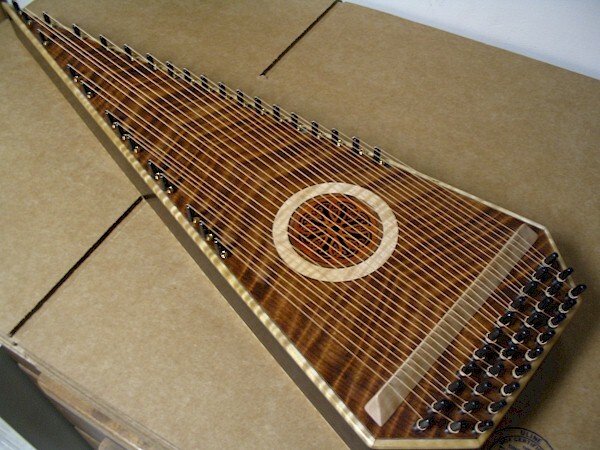 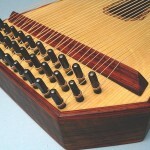 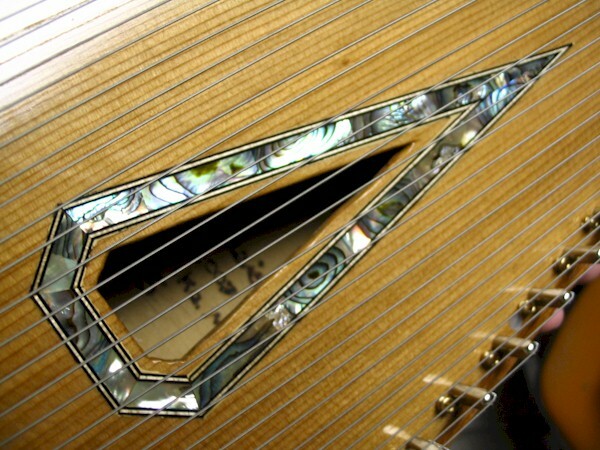 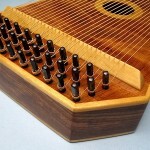 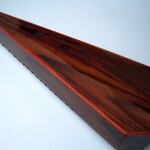 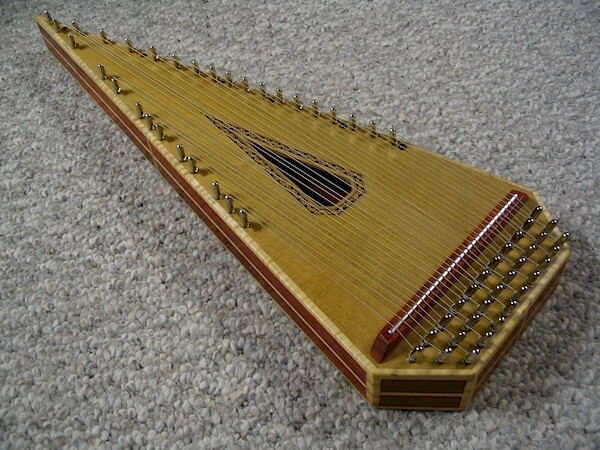 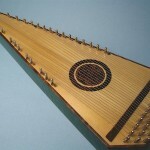 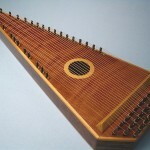 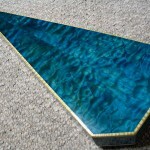 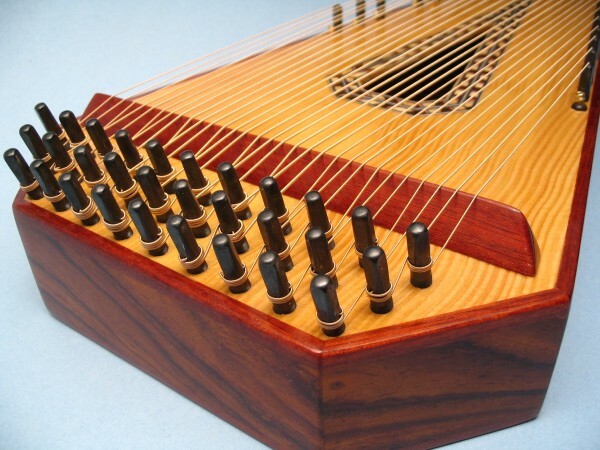 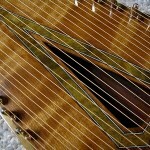 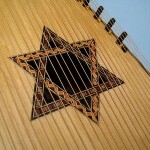 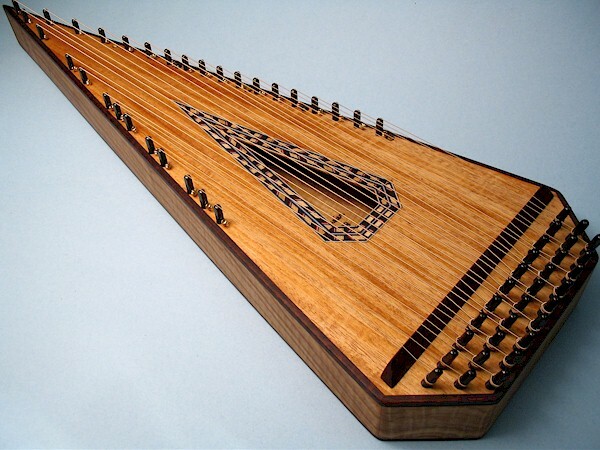 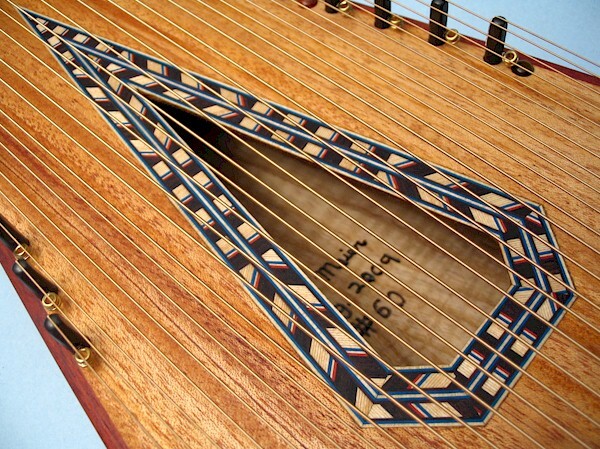 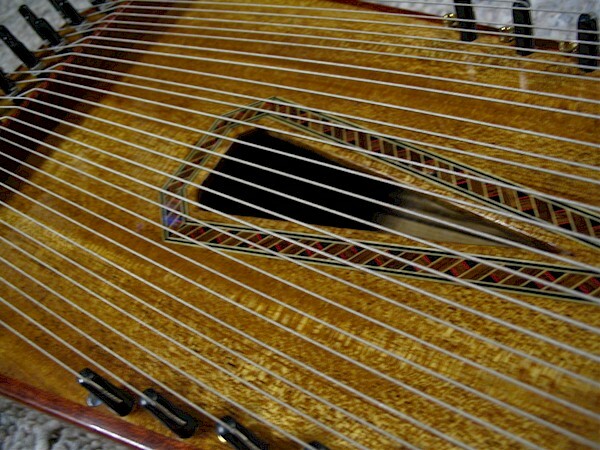 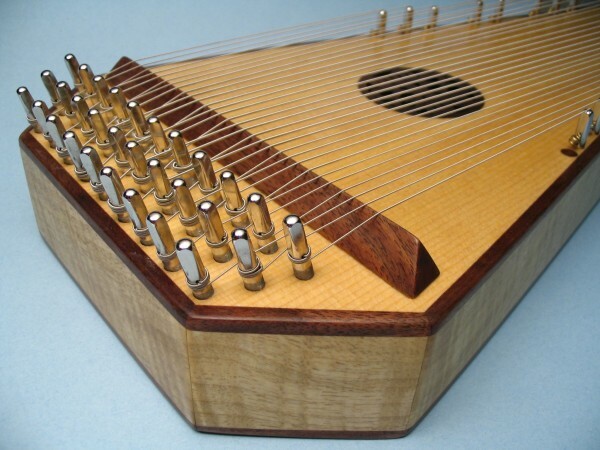 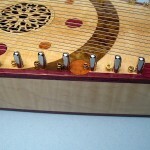 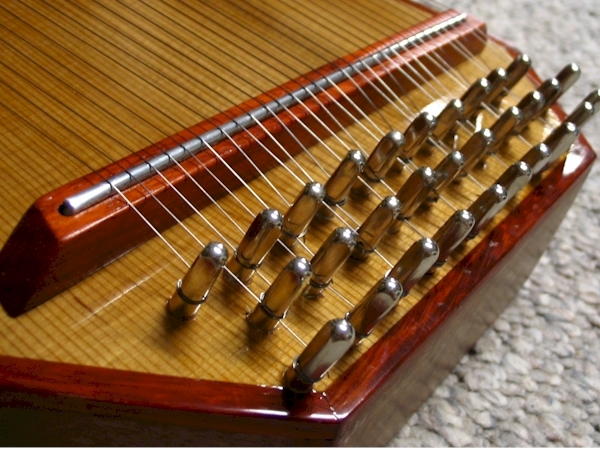 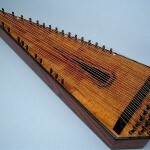 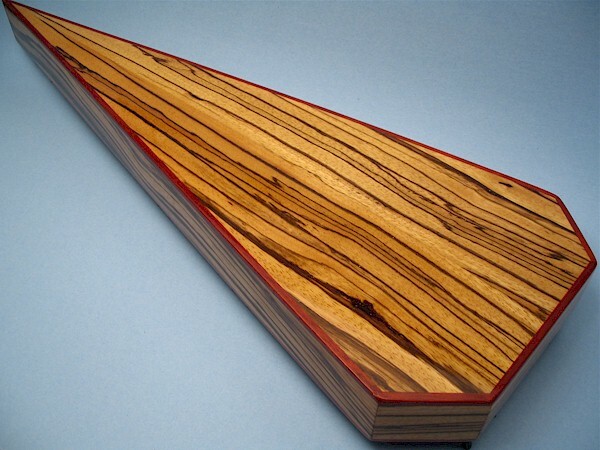 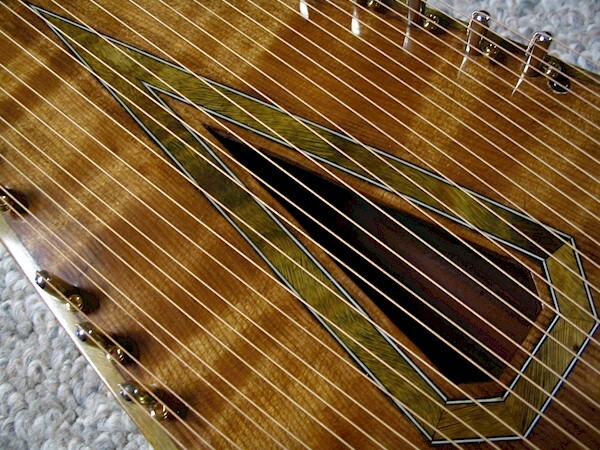 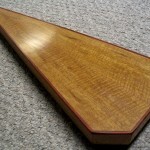 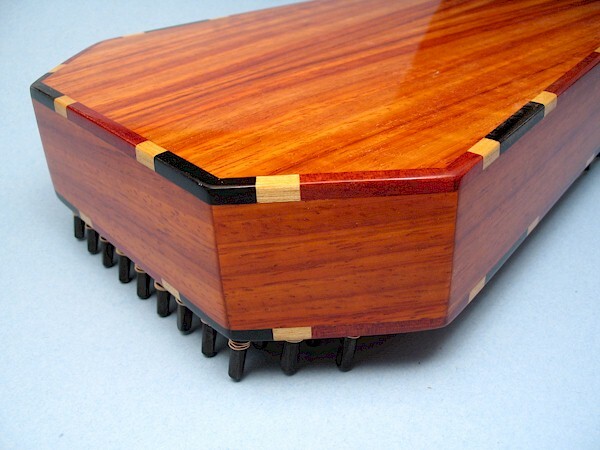 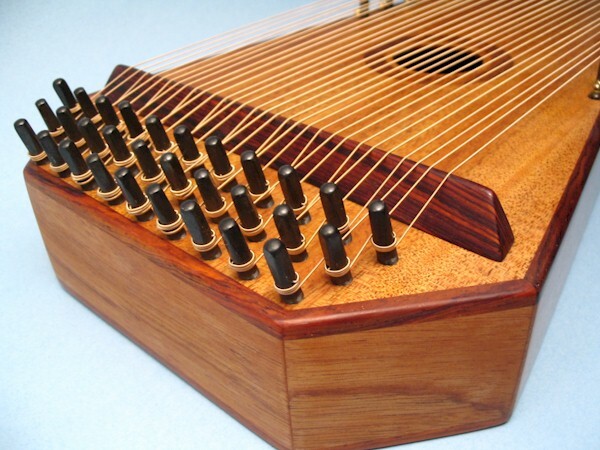 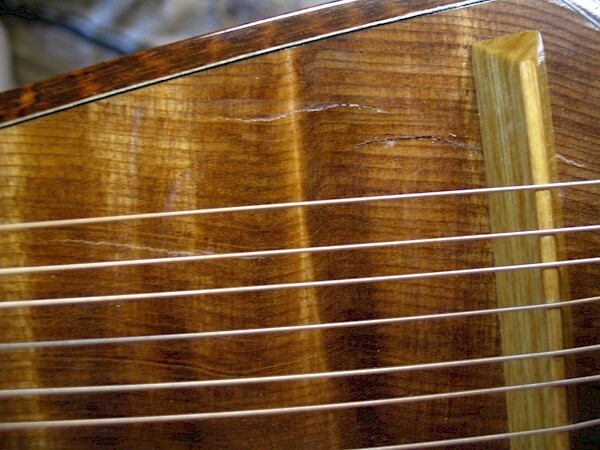 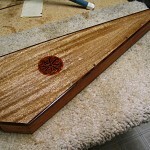 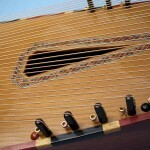 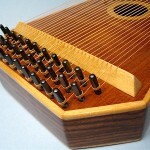 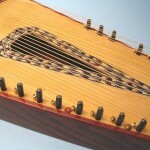 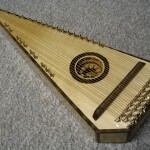 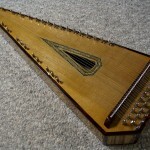 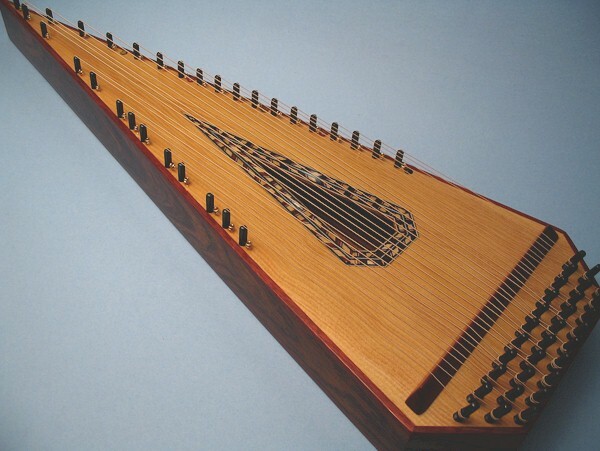 004: An experimental glass-topped psaltery for which I have no pictures. 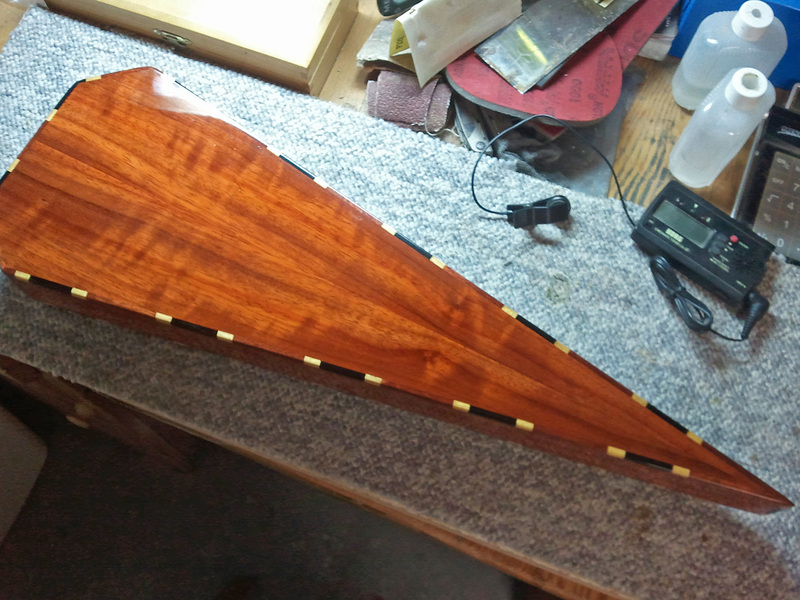 044: Built as replacement for # 022; no pictures available.